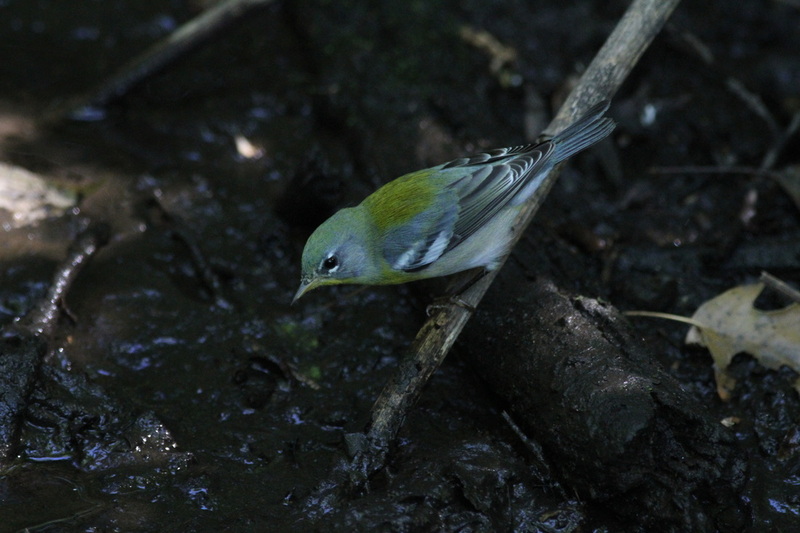 Magnolia Warbler -immature 10/17 Central Park. 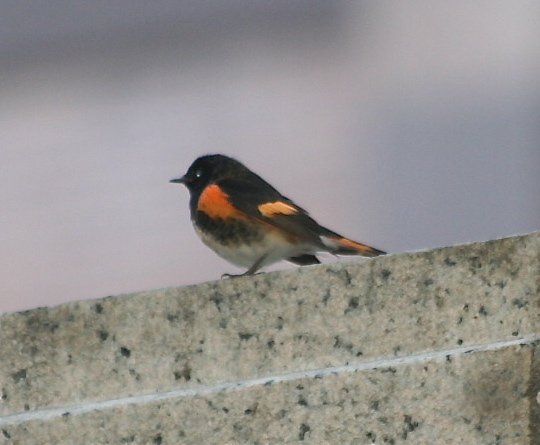 Look for the black stripe on the tail and the marking on its belly. 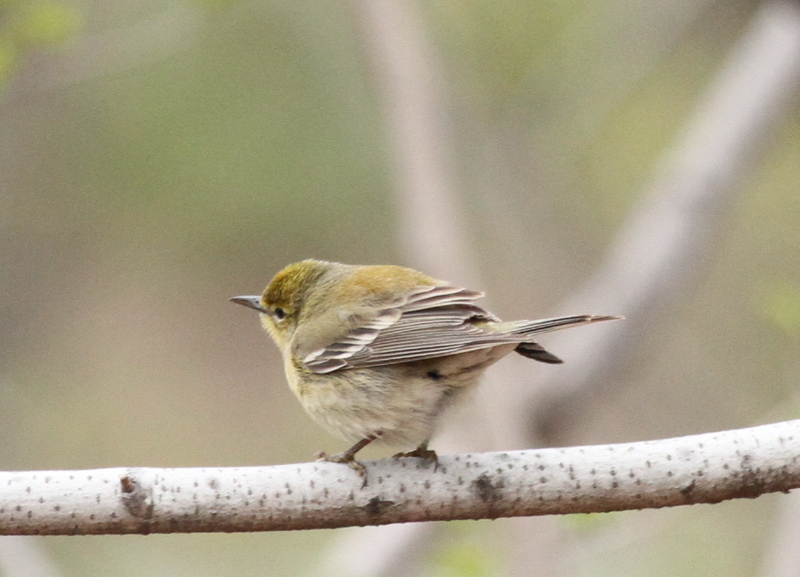 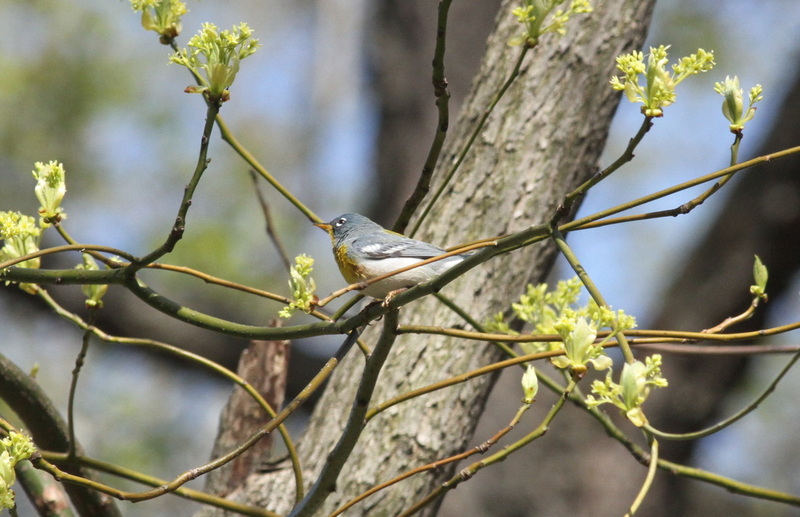 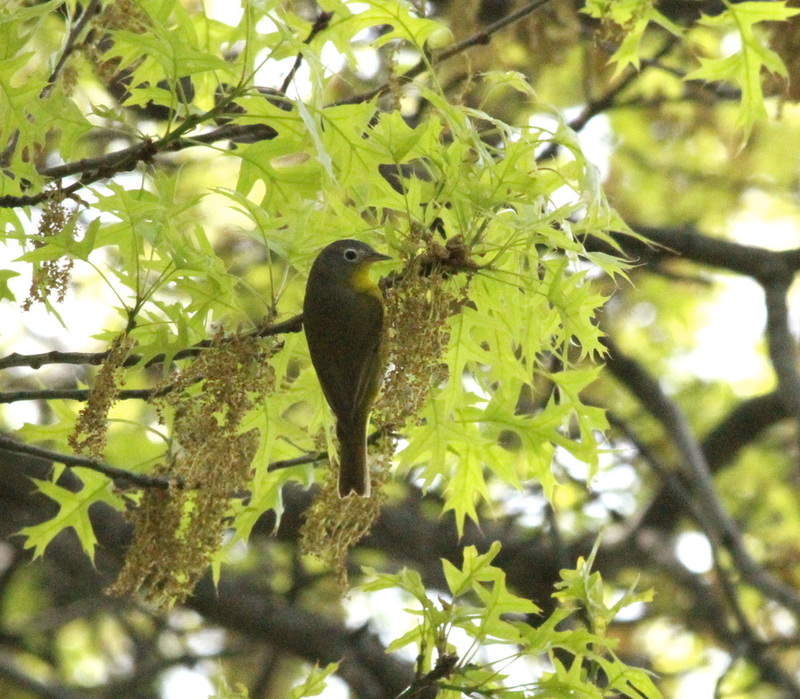 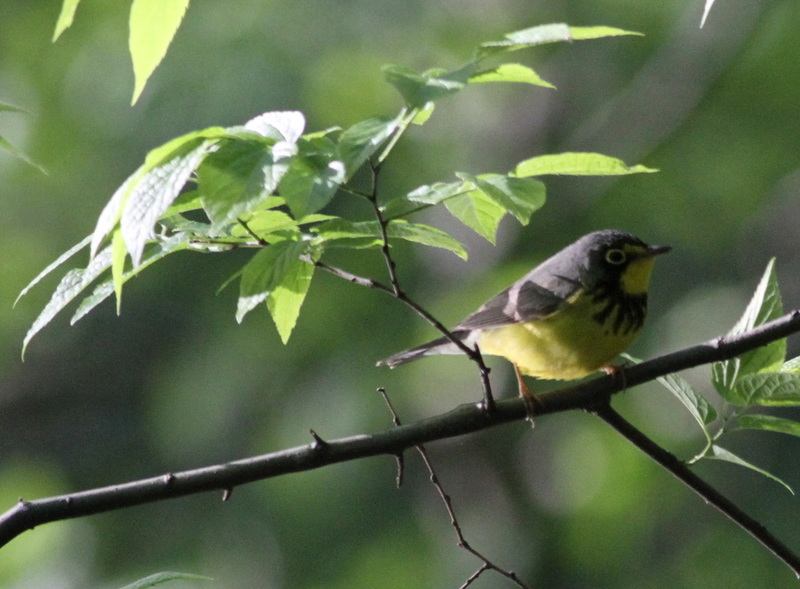 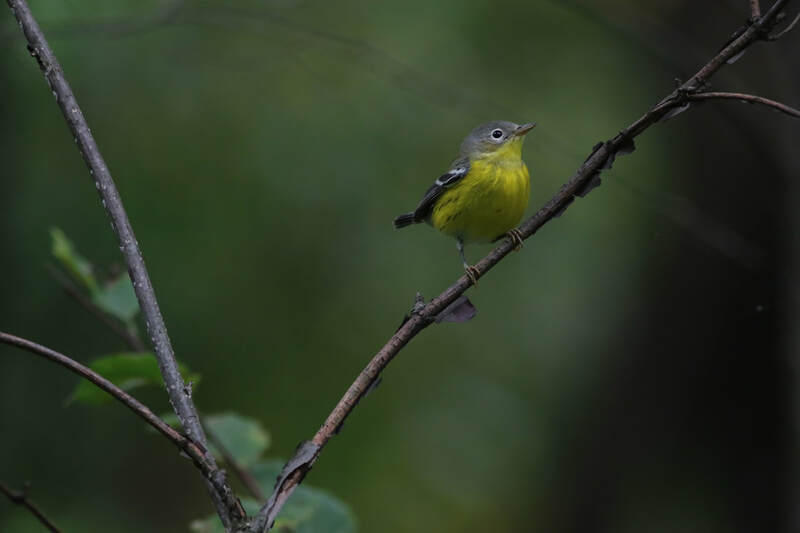 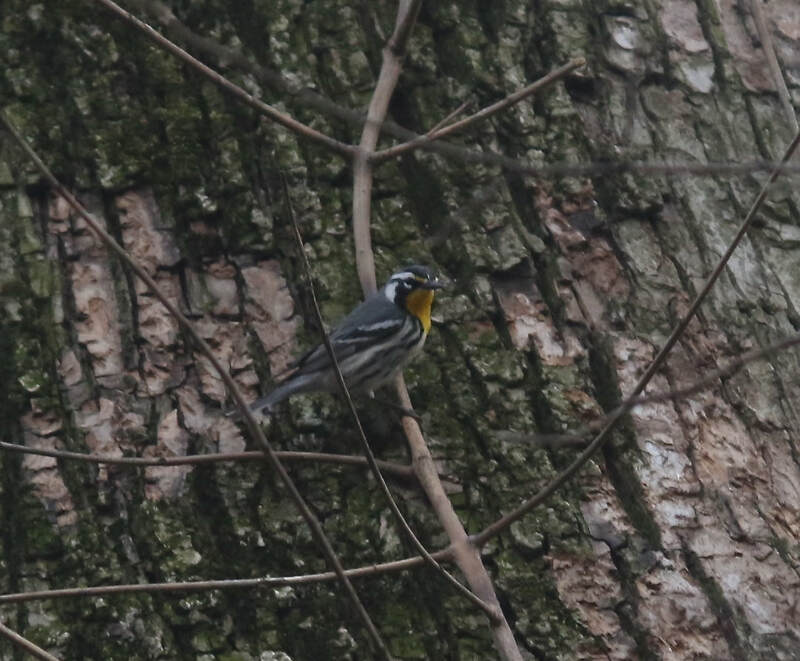 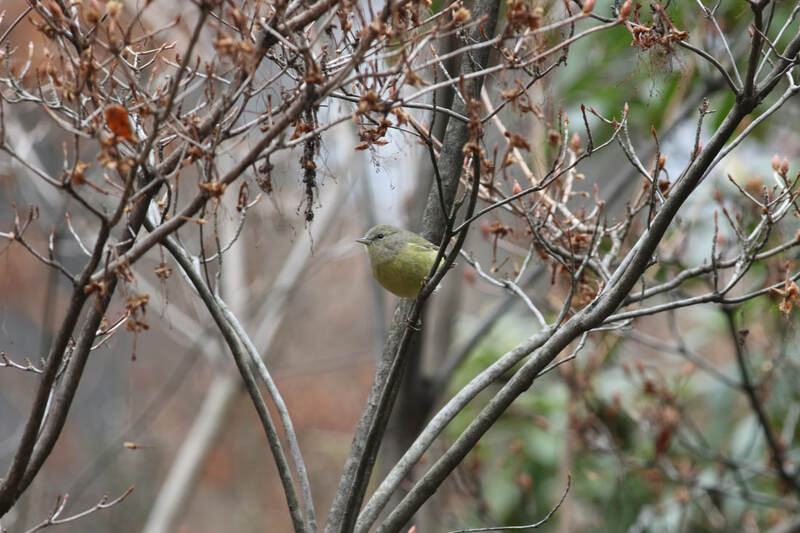 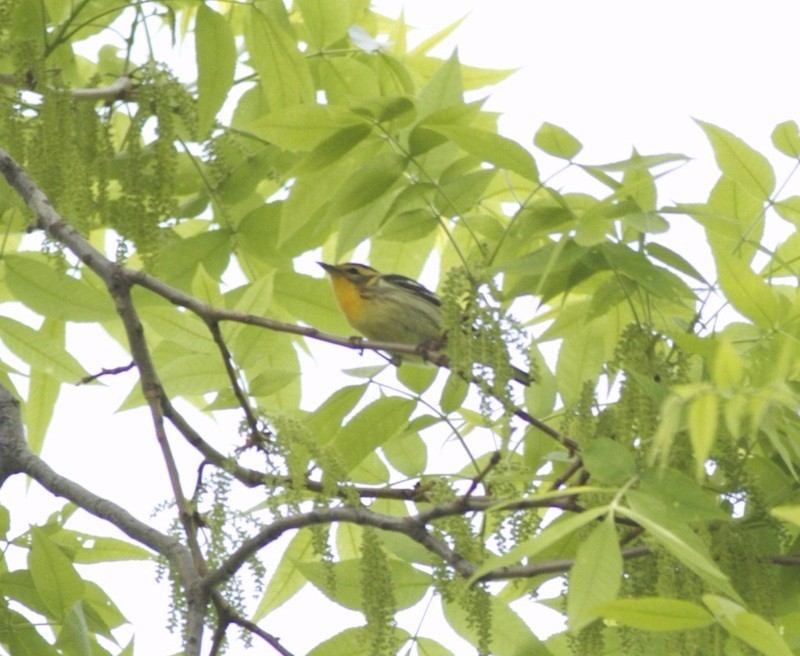 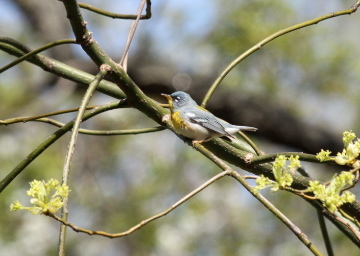 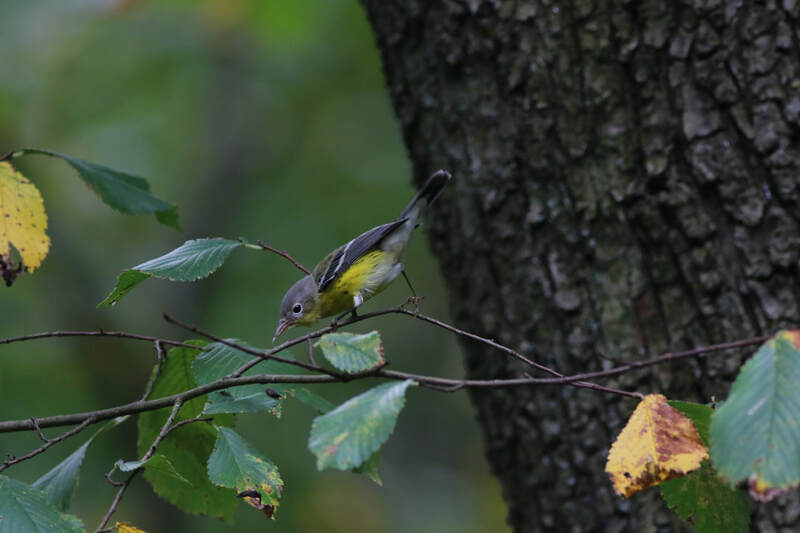 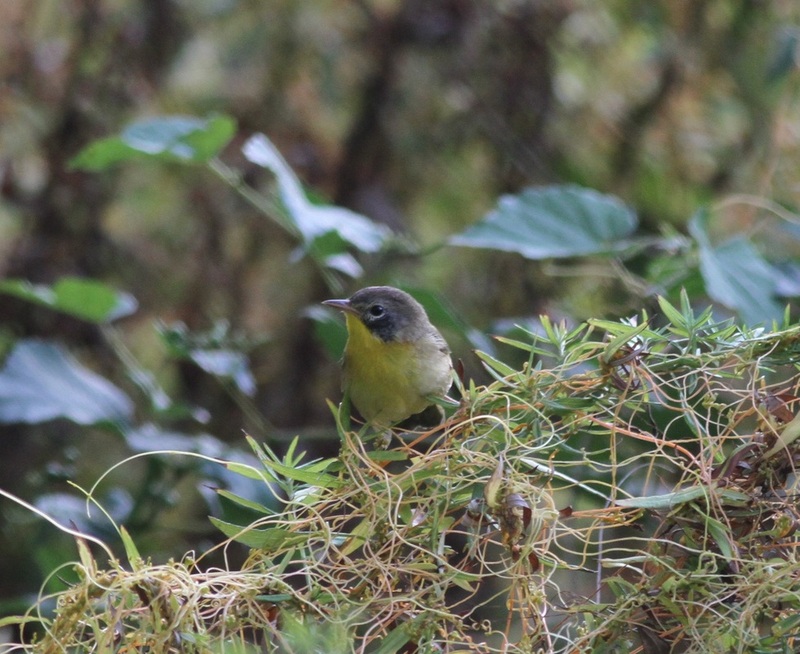 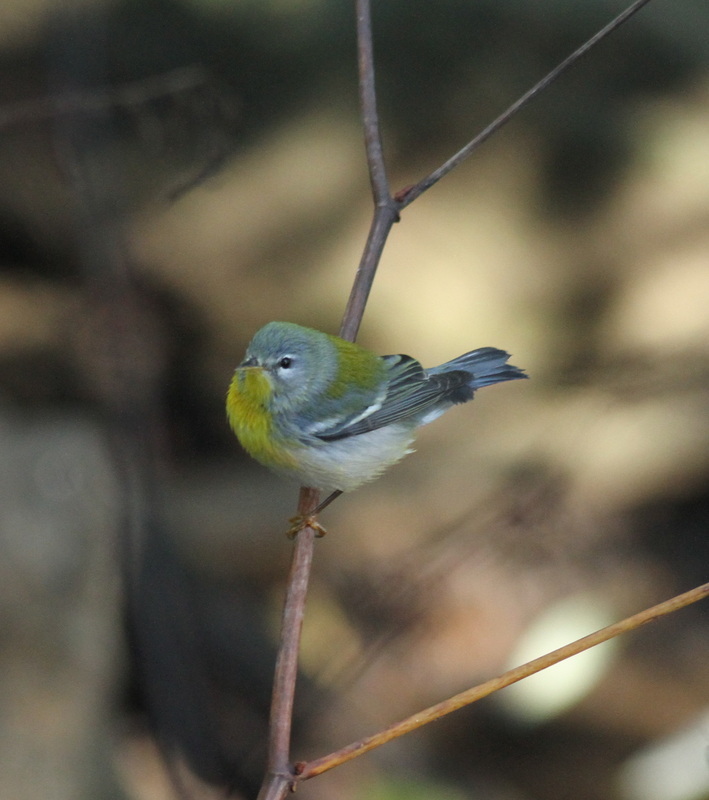 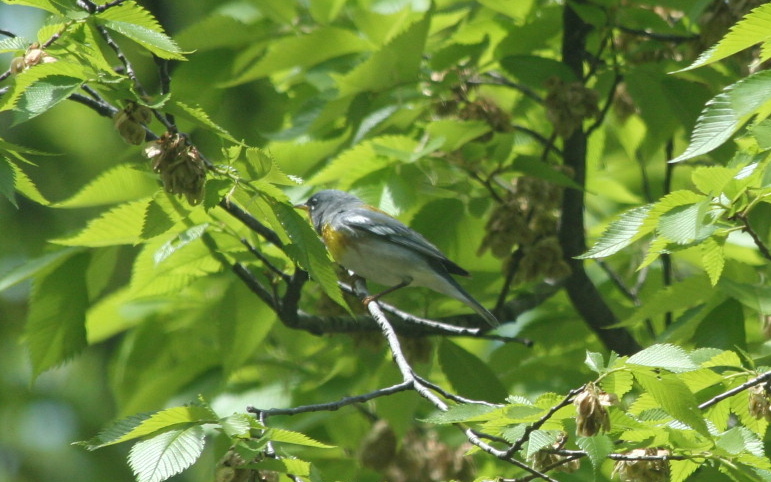 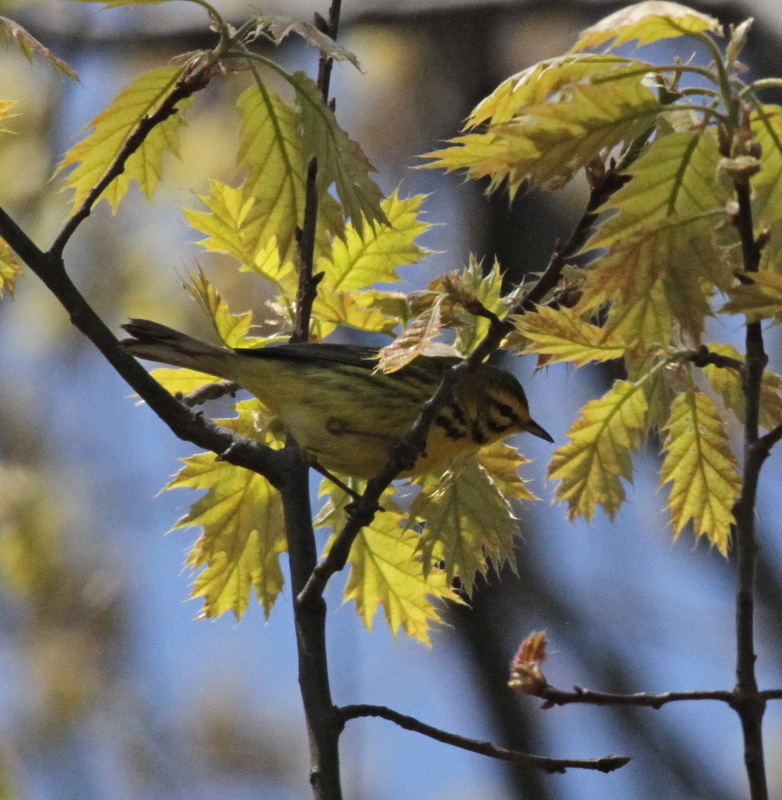 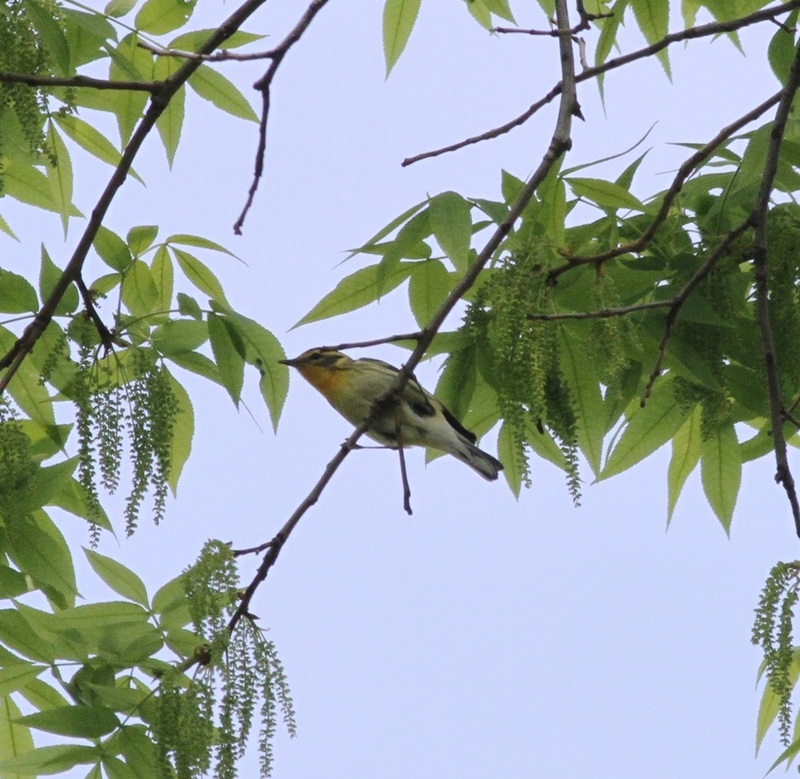 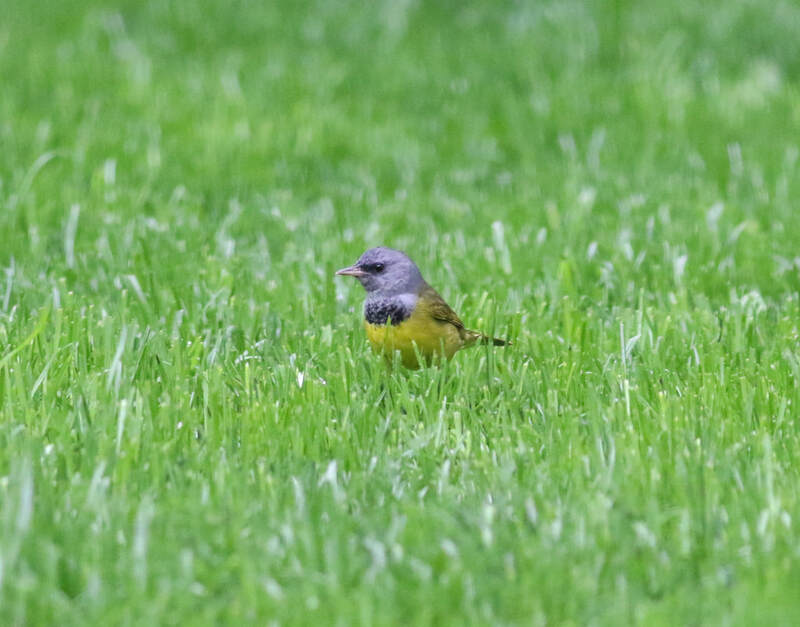 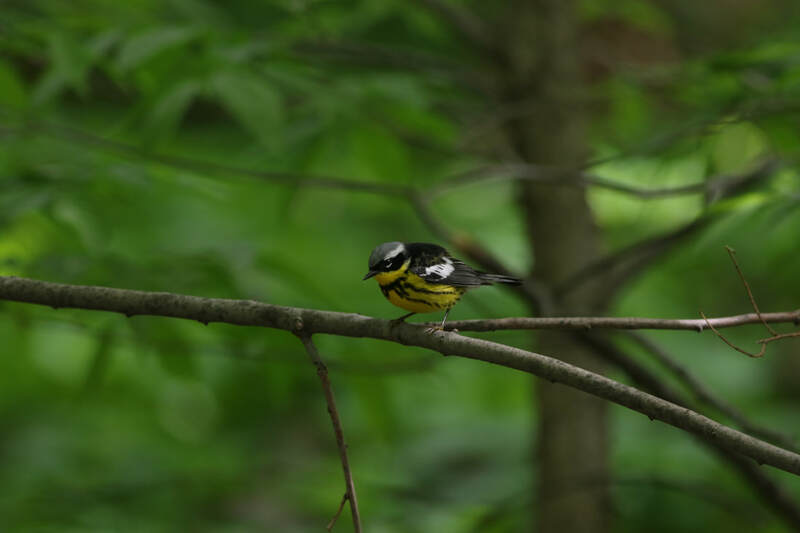 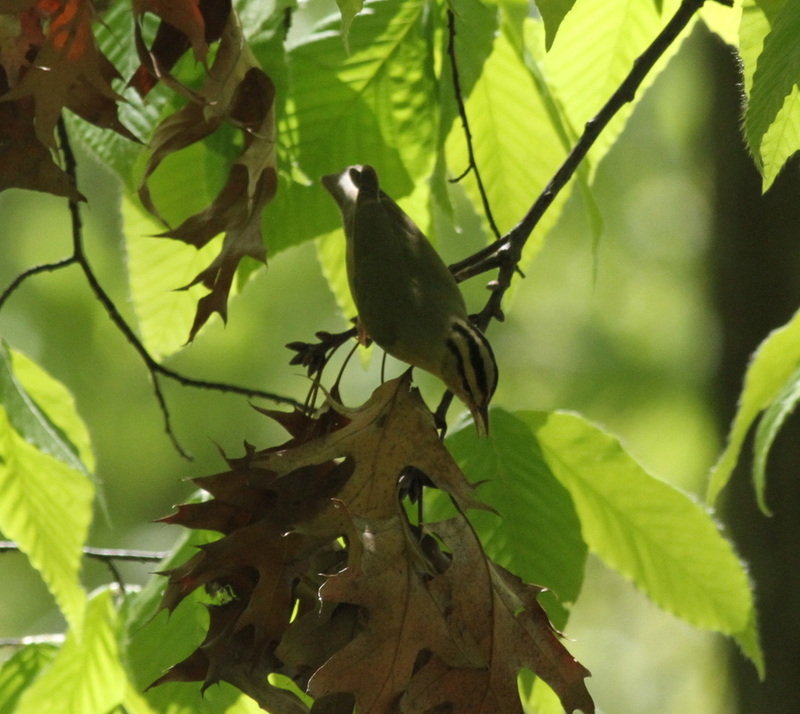 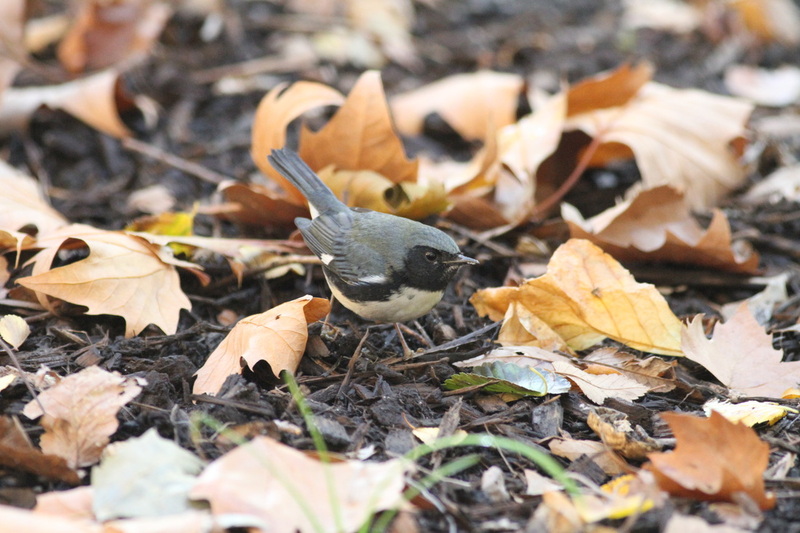 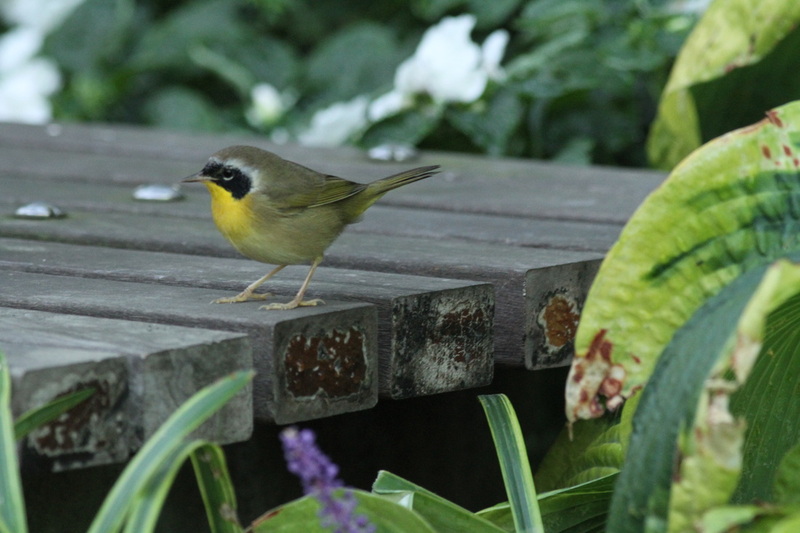 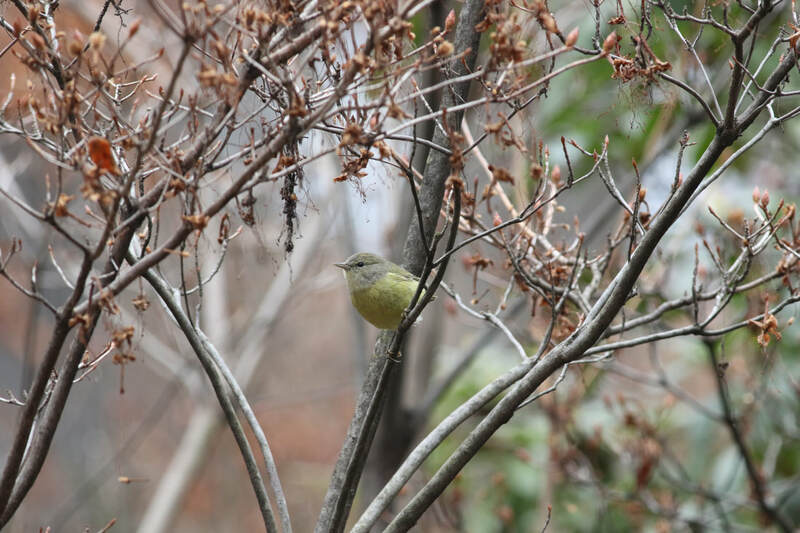 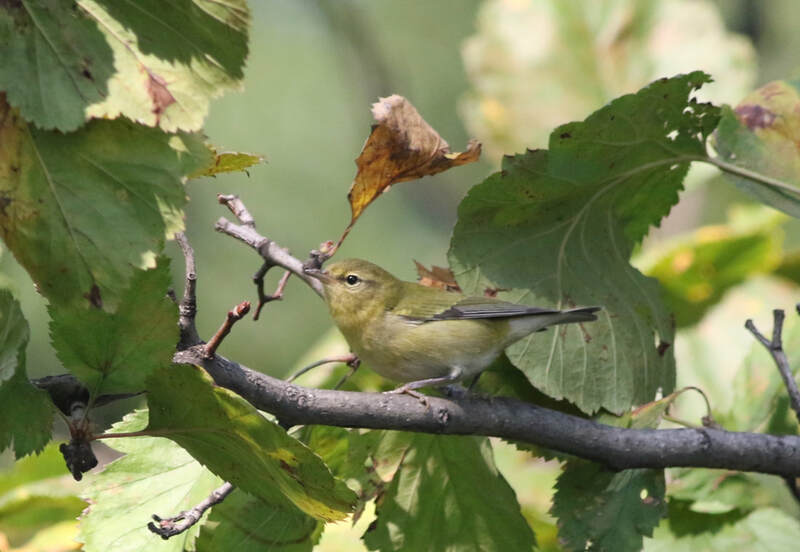 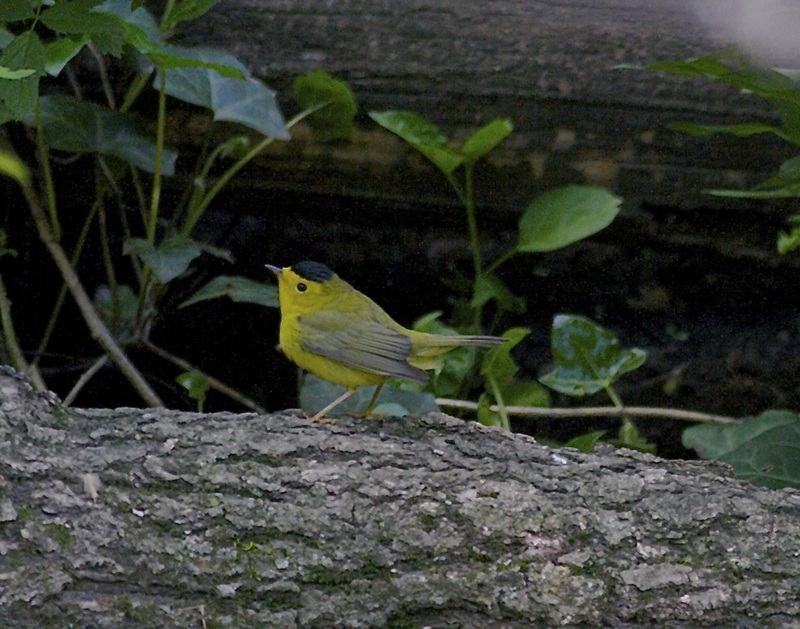 A bad picture of a good bird that is rarely seen in the NYC area, the Lawrence's Warbler is a hybrid of the Blue winged Warbler. 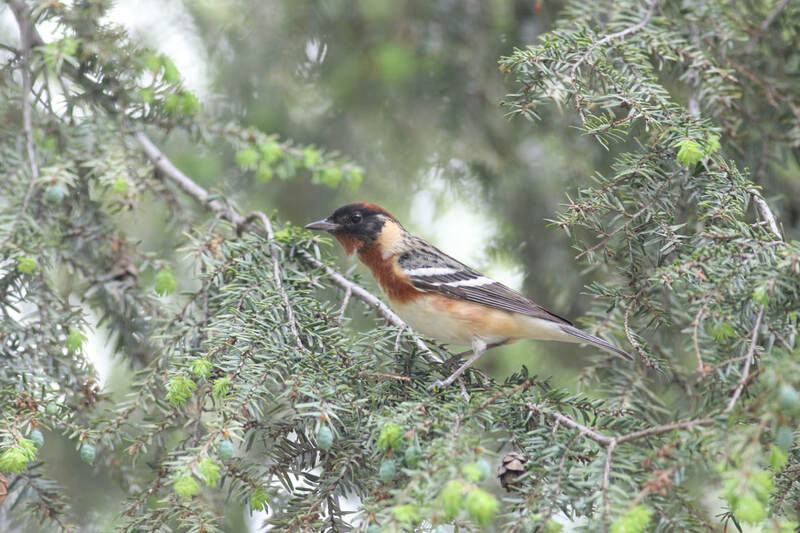 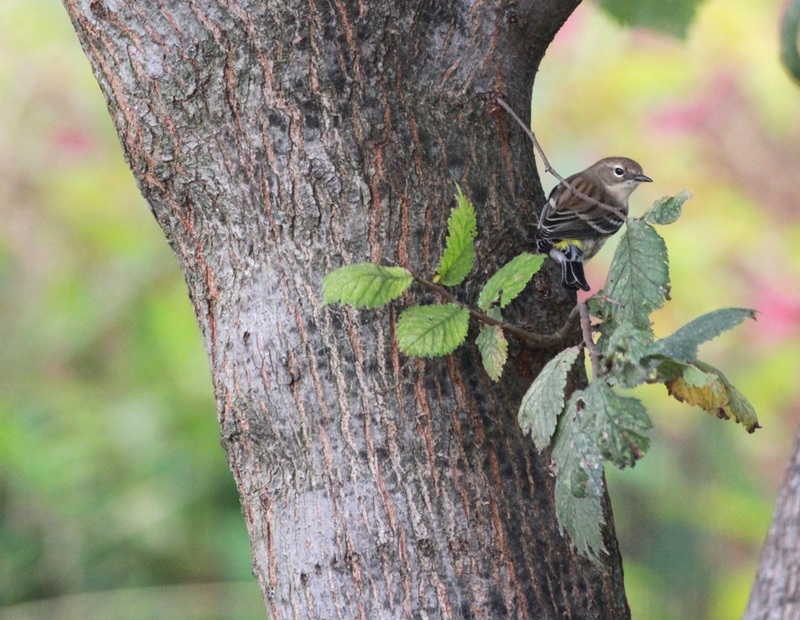 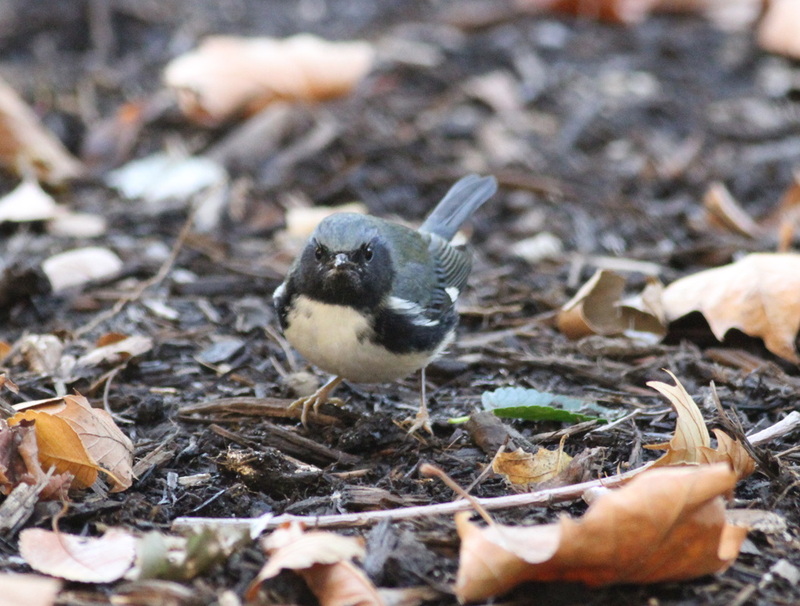 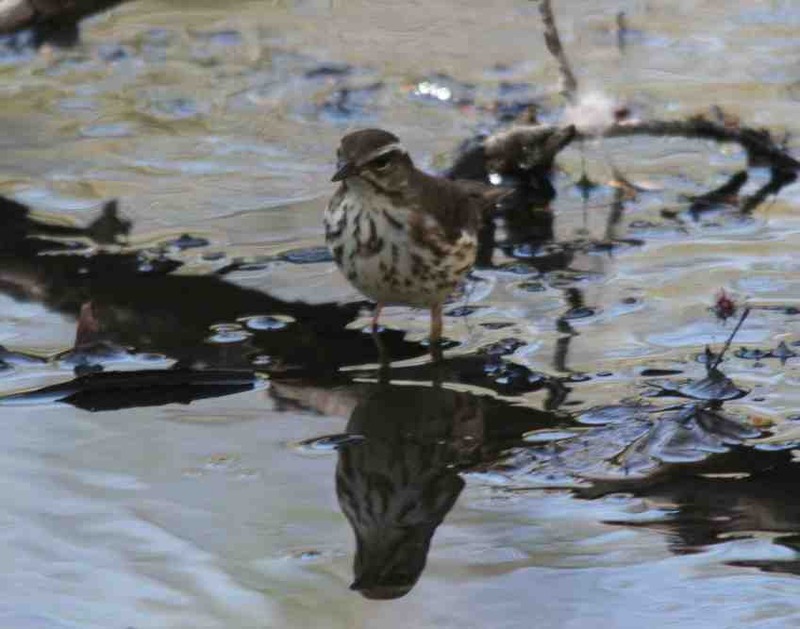 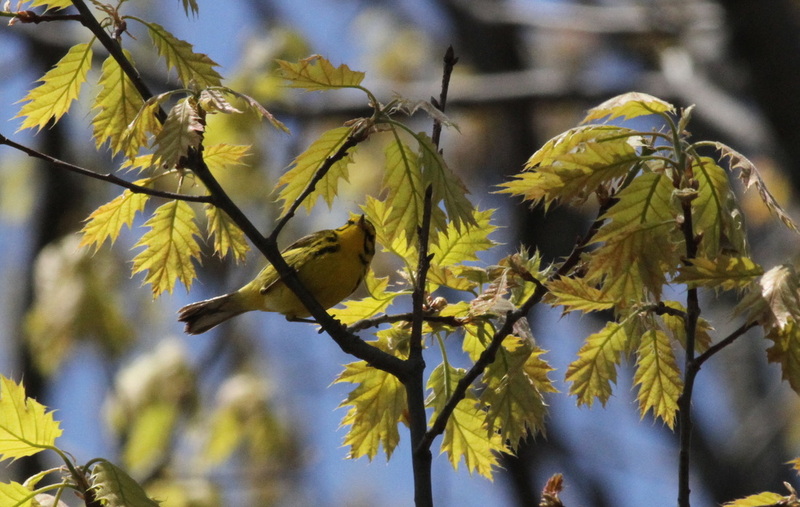 Thanks to Martin, Central Park birder, who put me on this rare catch. 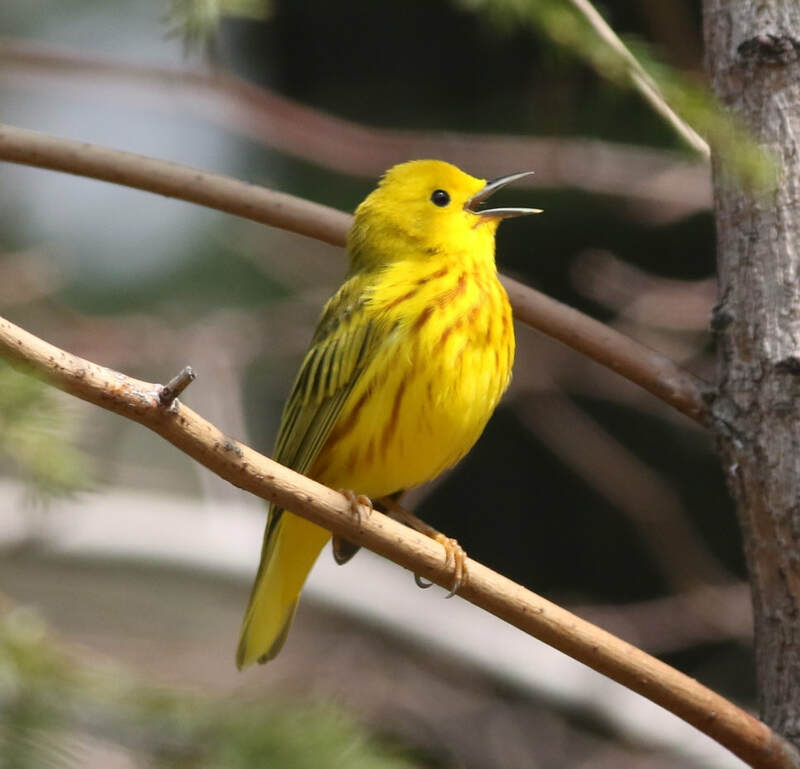 The call of the Yellow Warbler can be heard from woodland and marshy areas as early as April, but definitely in May. 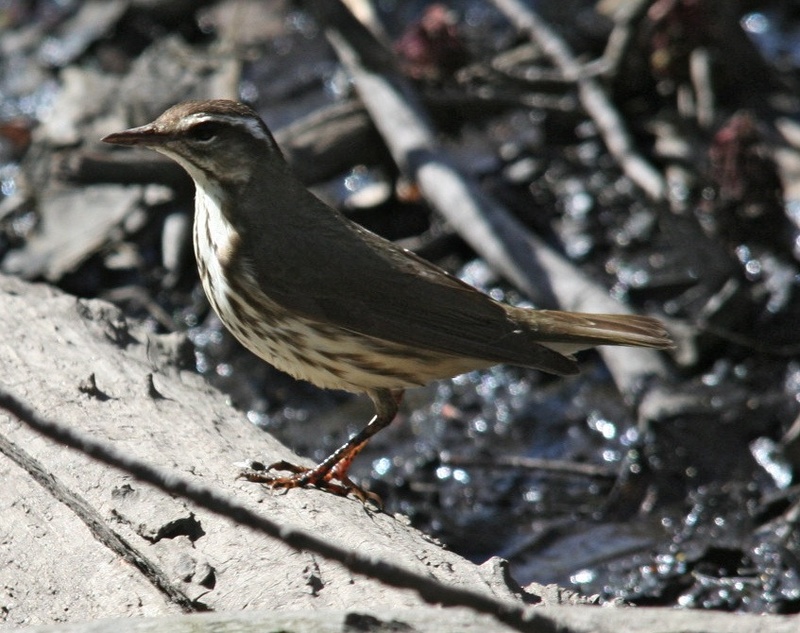 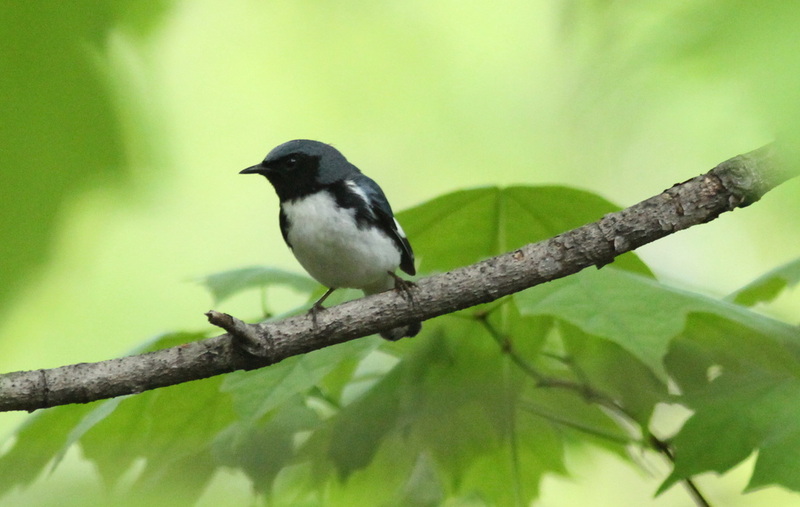 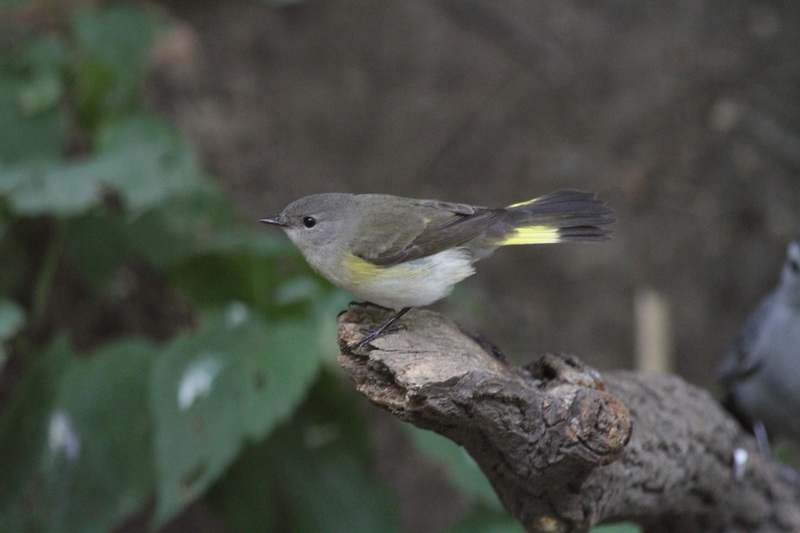 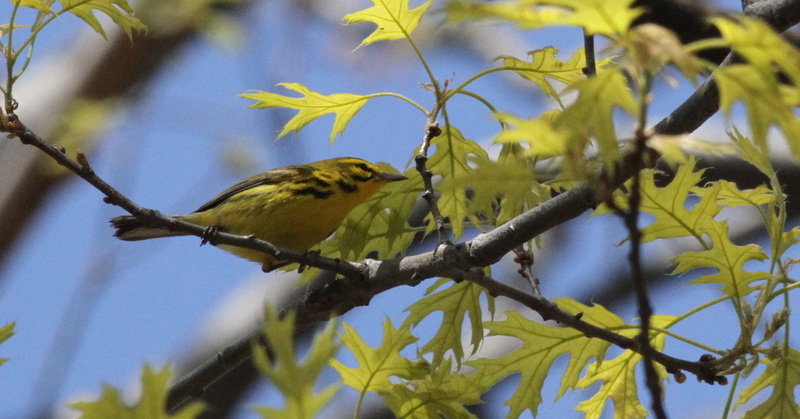 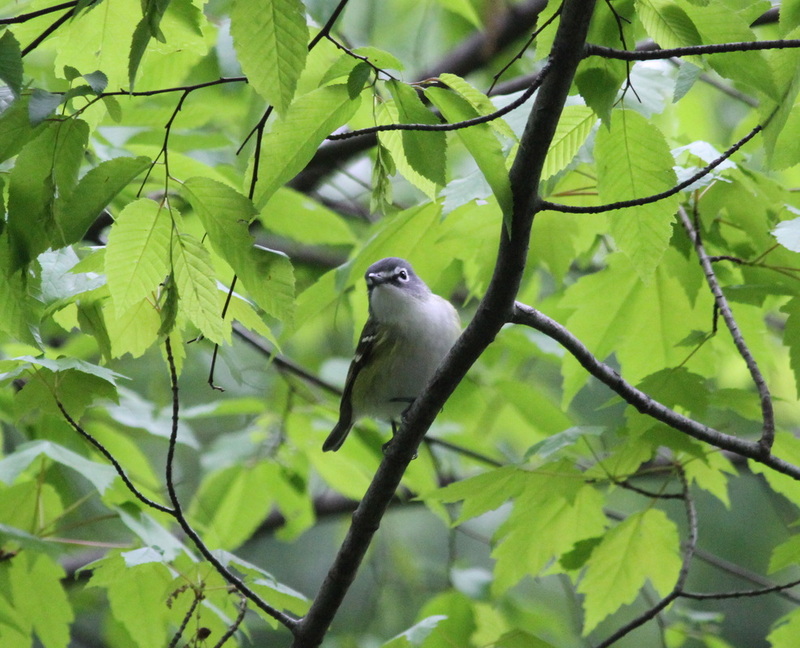 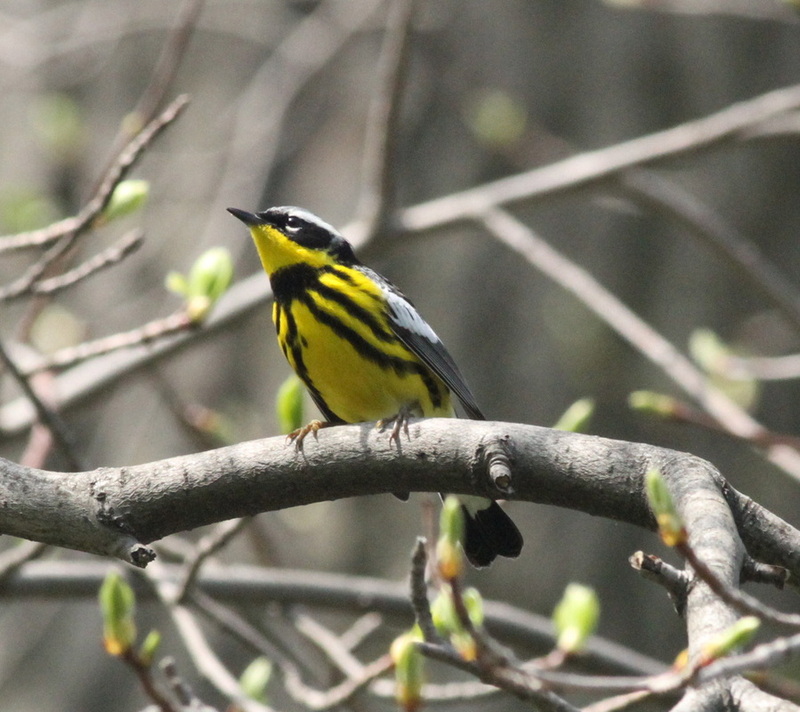 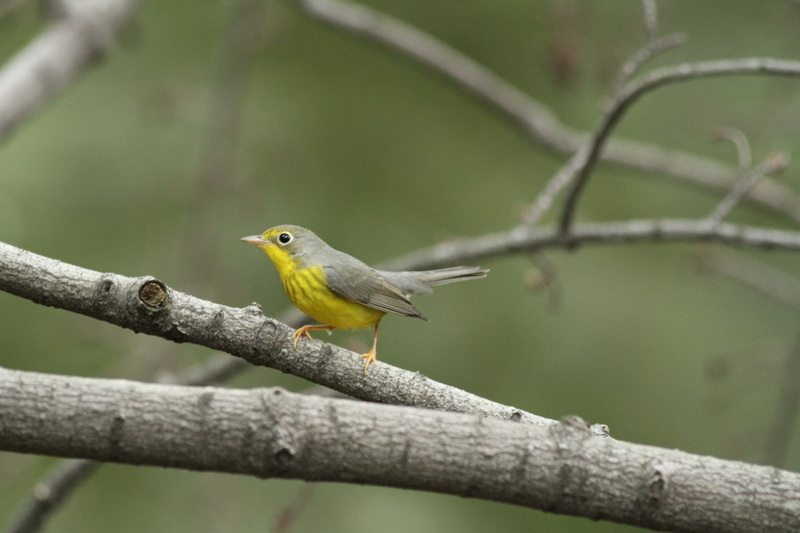 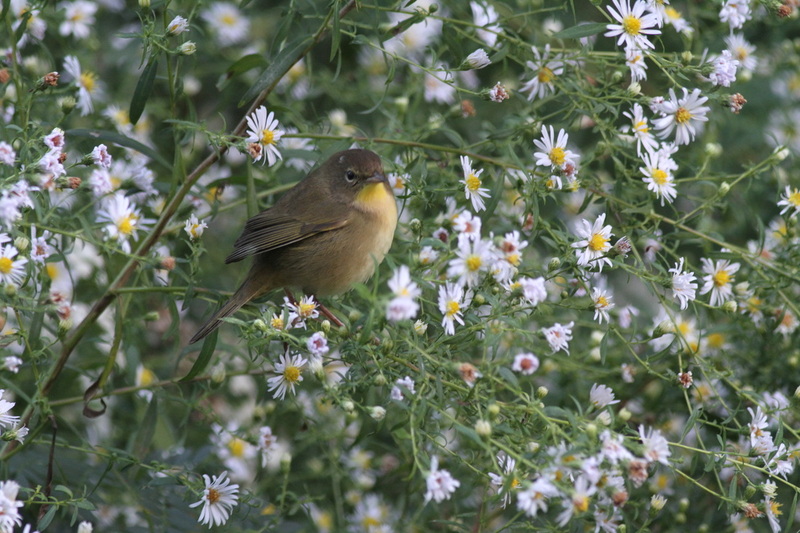 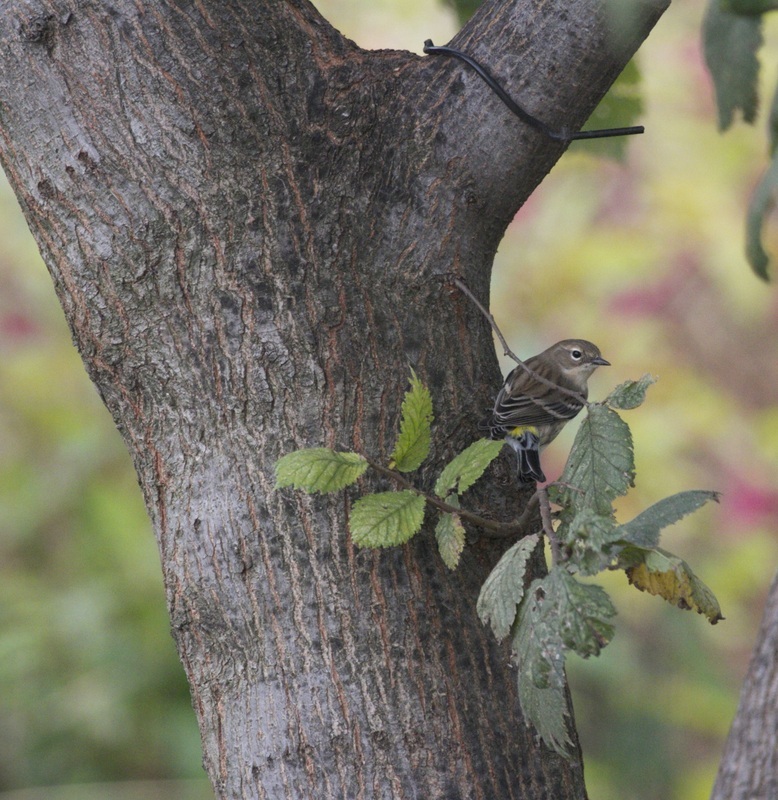 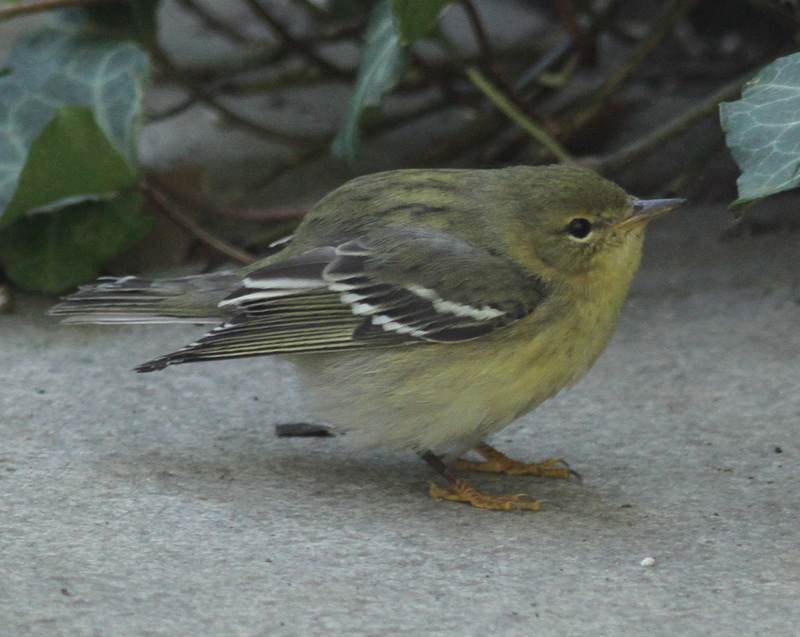 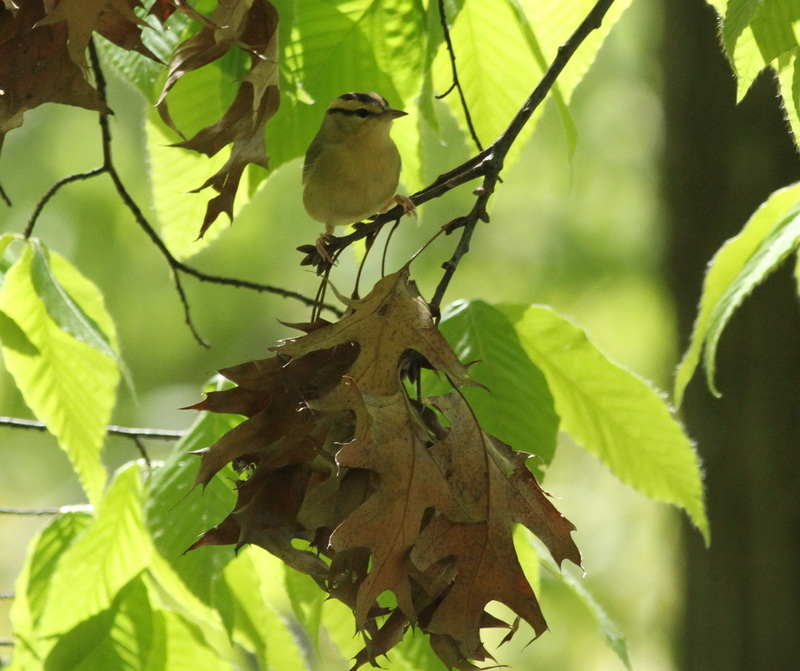 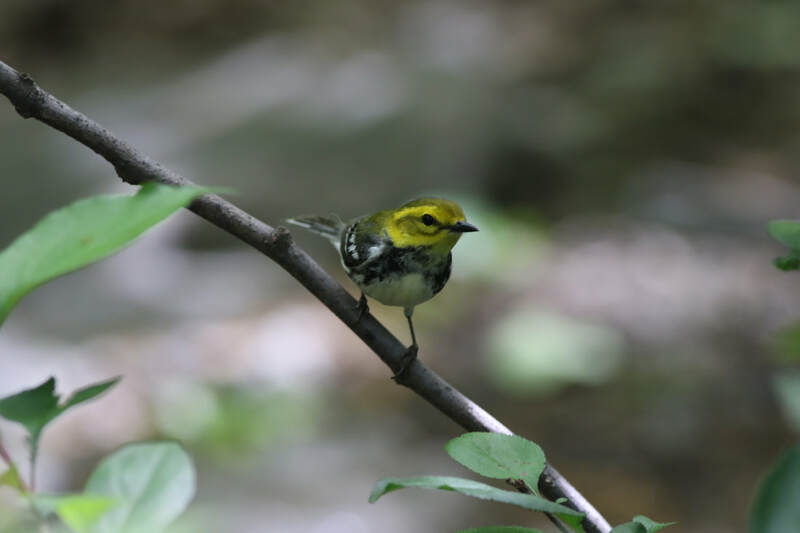 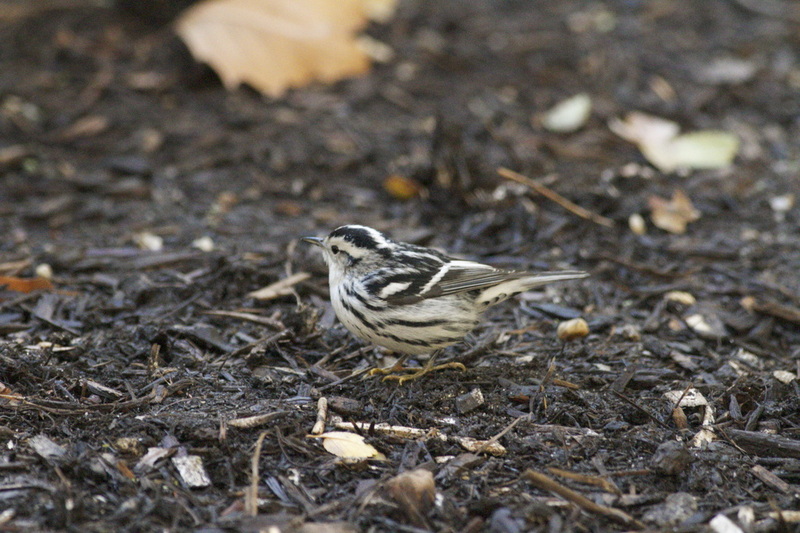 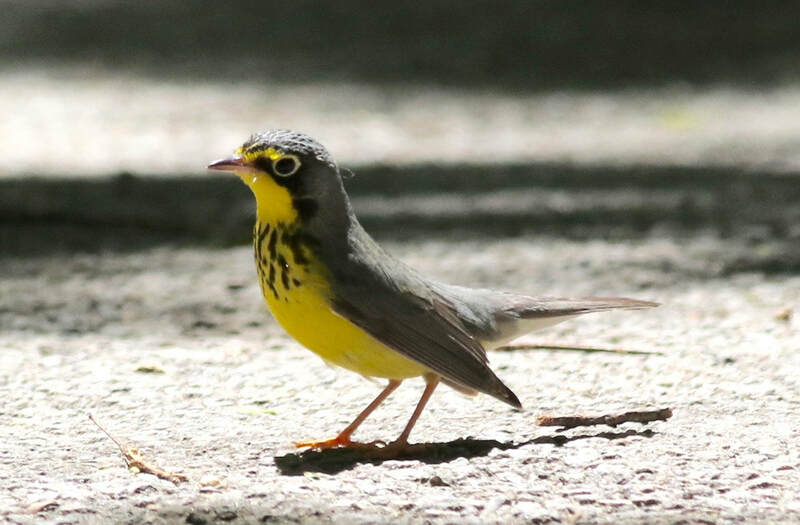 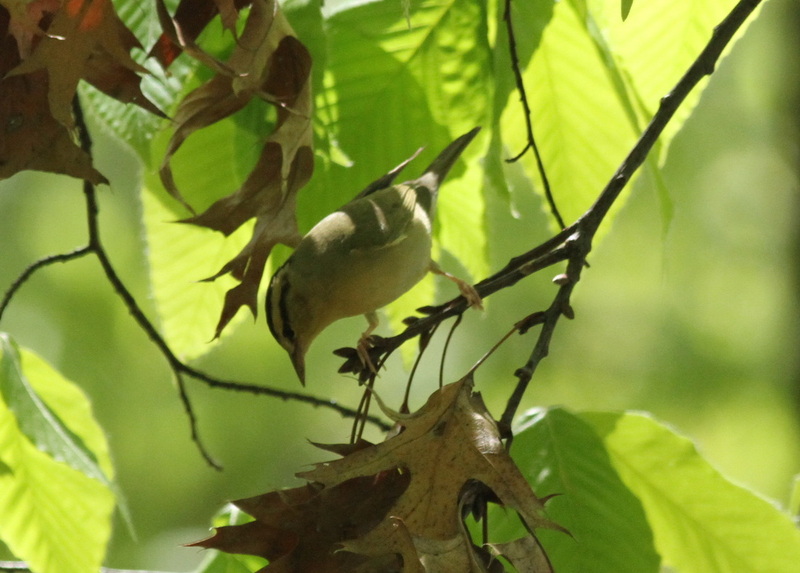 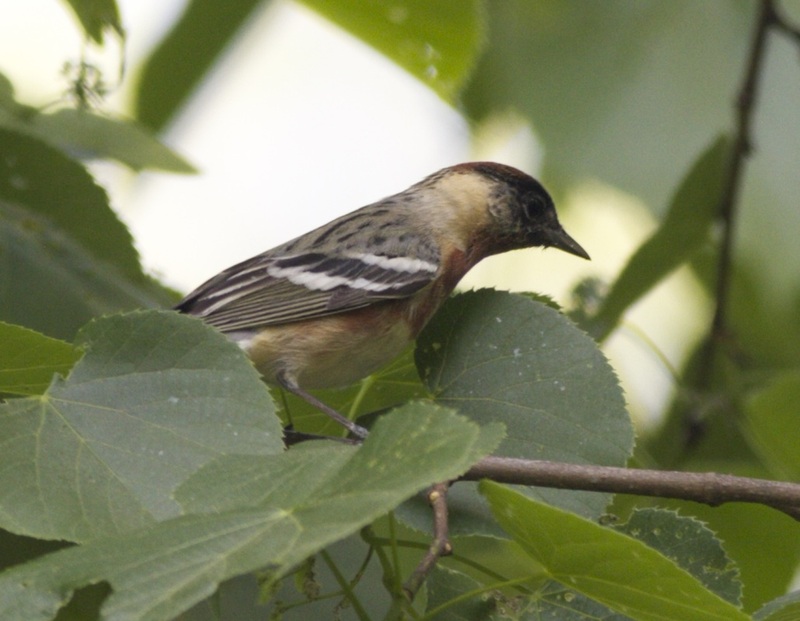 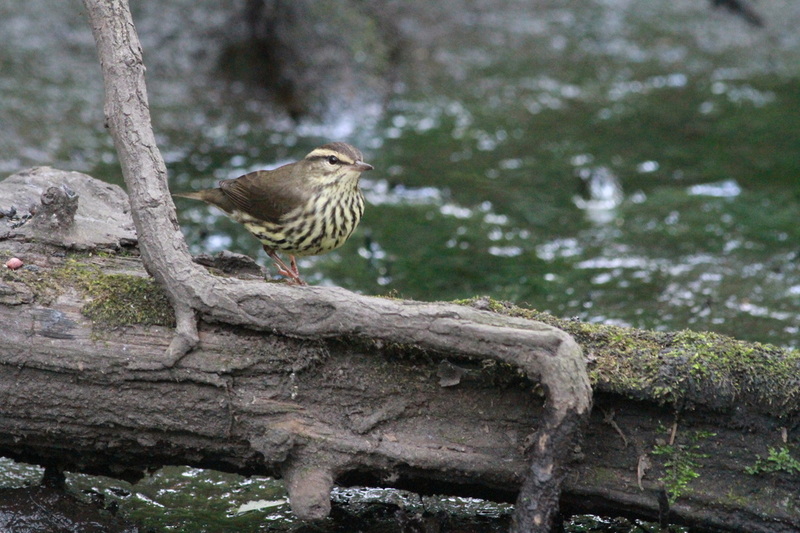 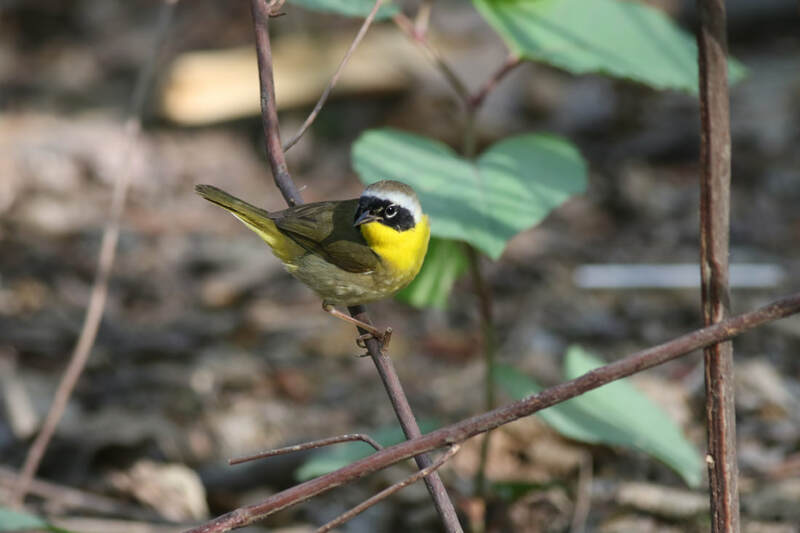 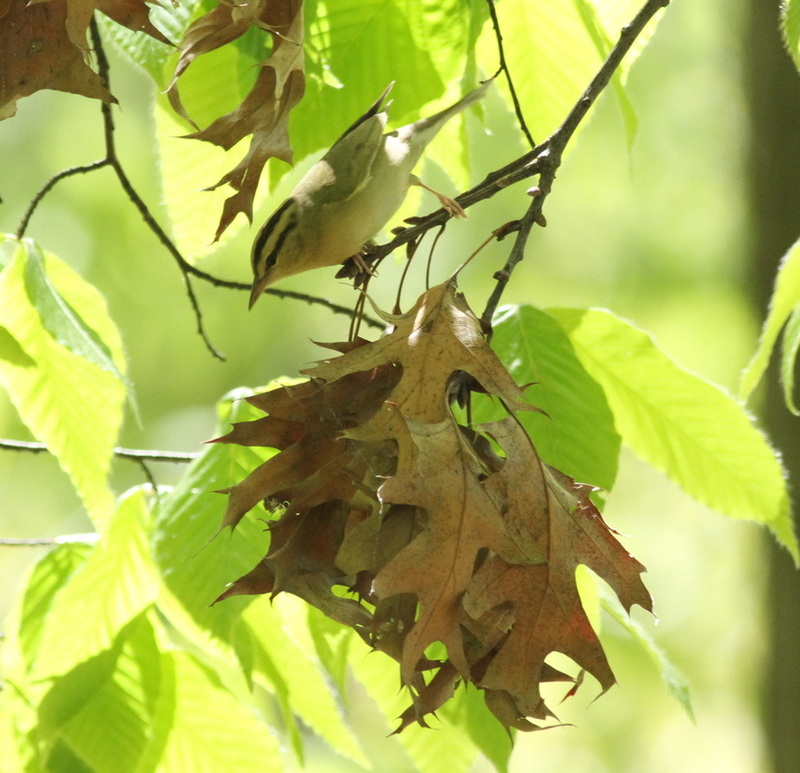 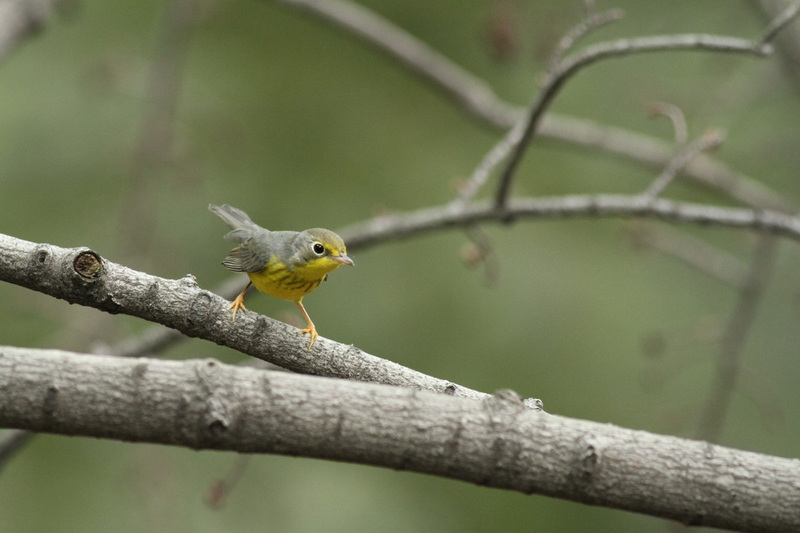 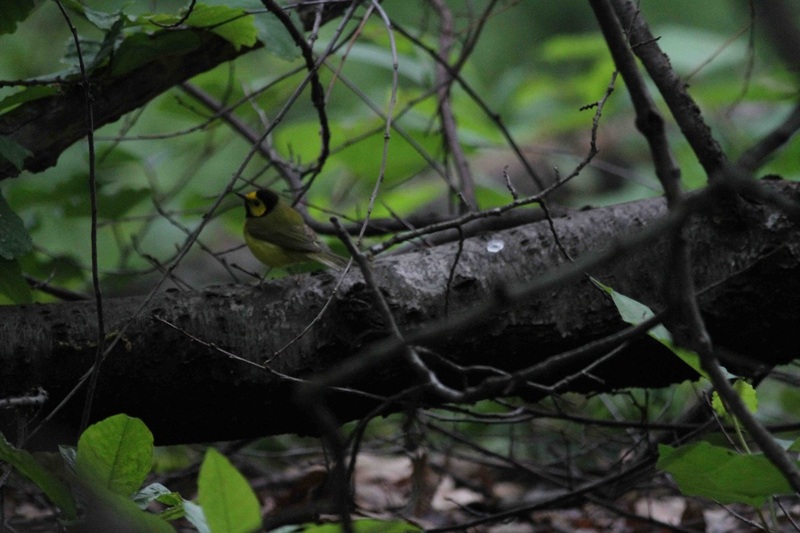 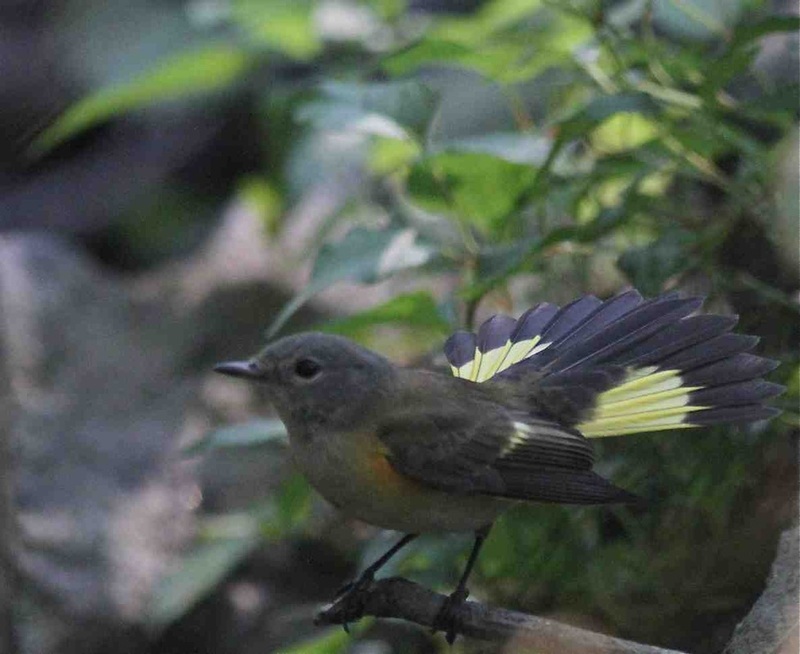 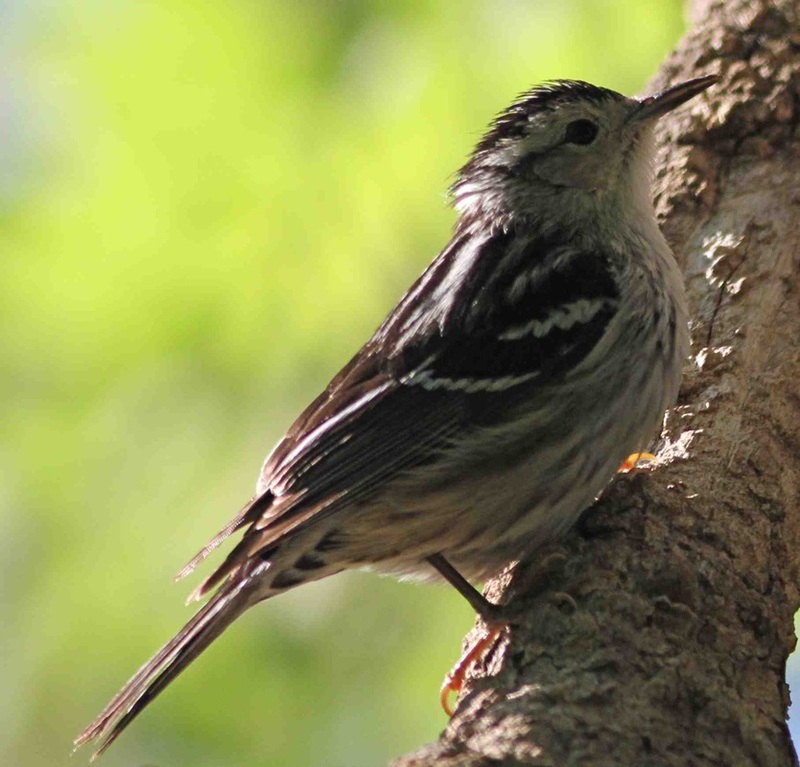 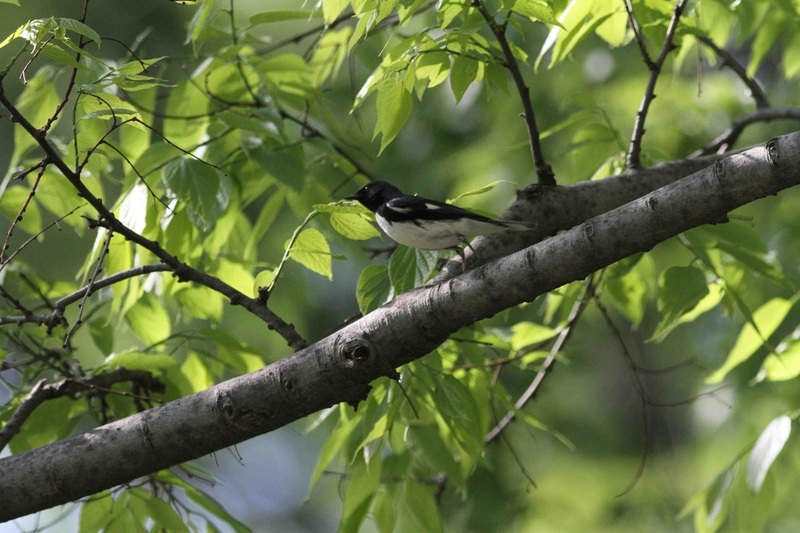 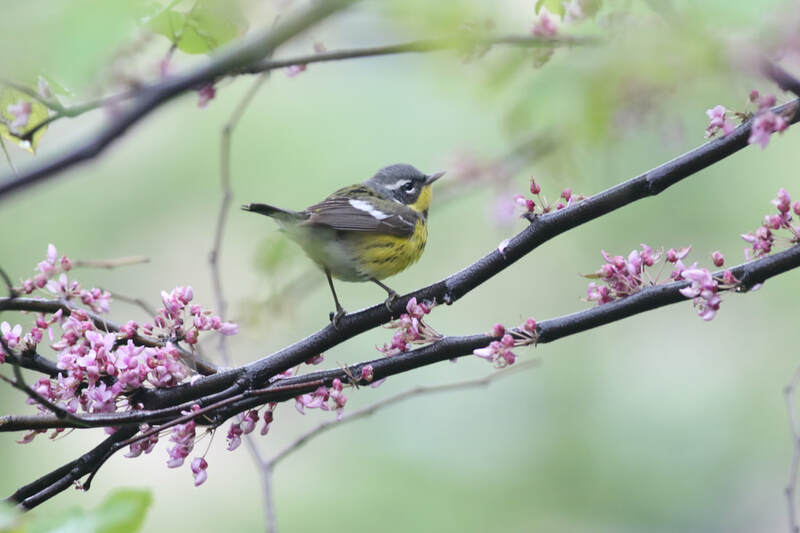 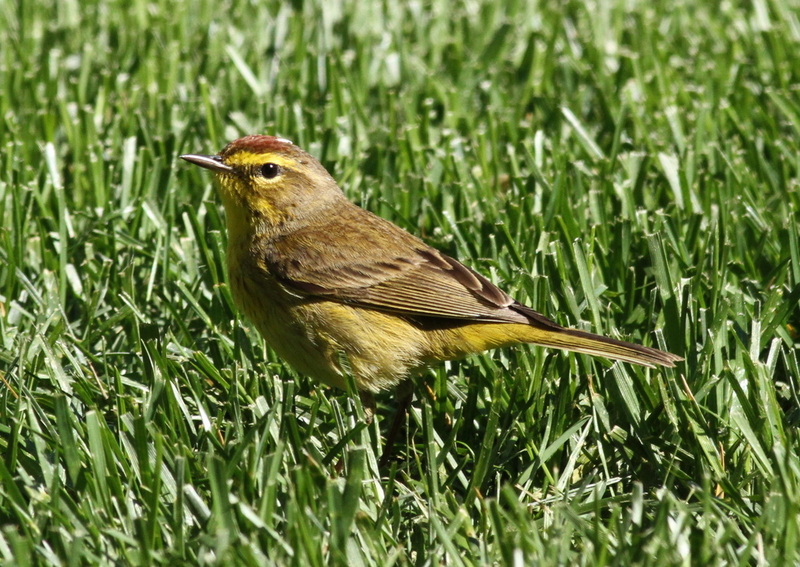 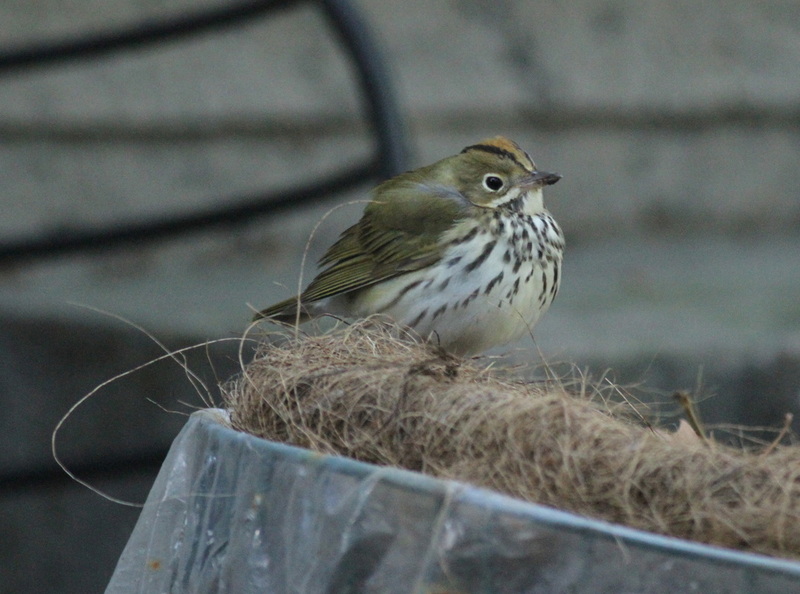 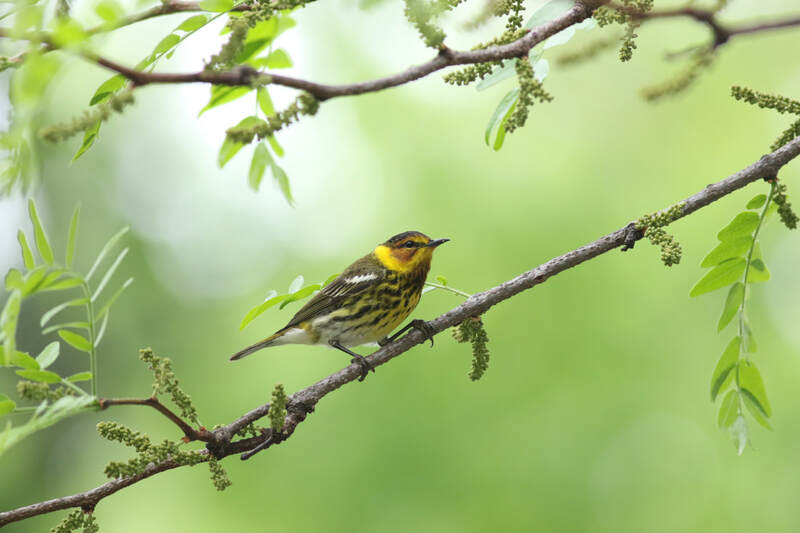 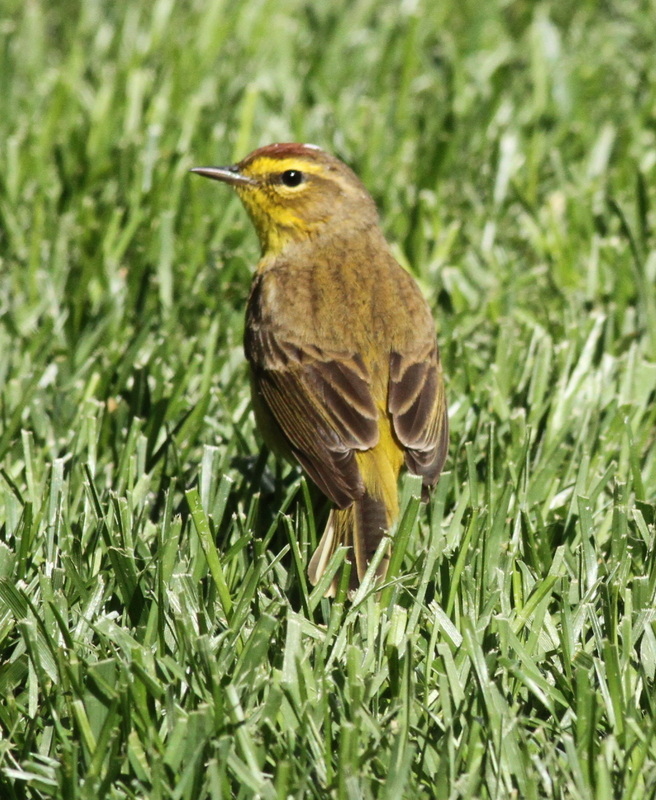 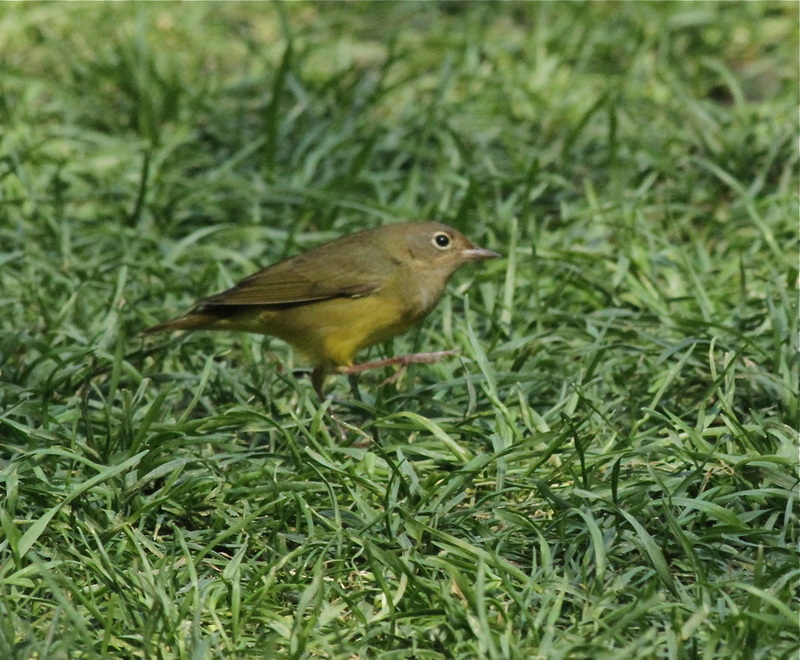 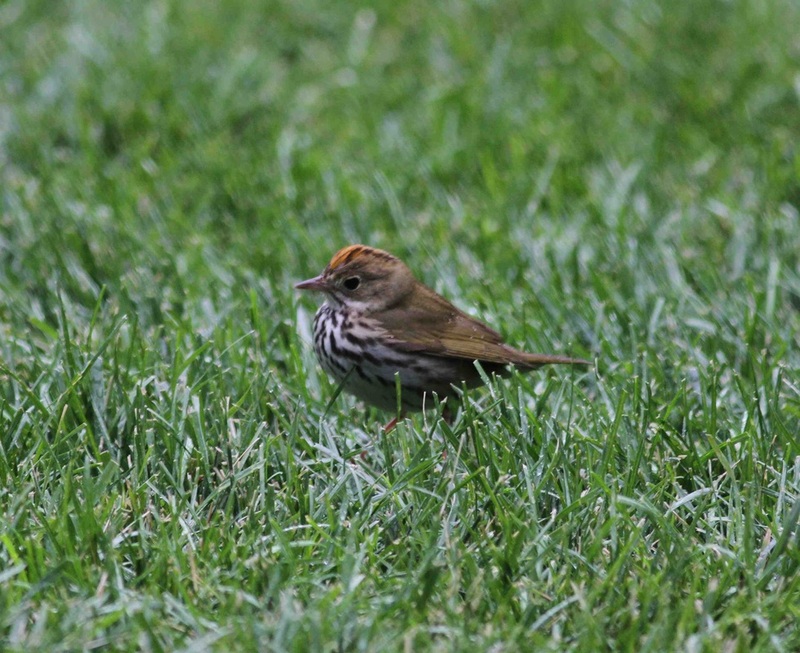 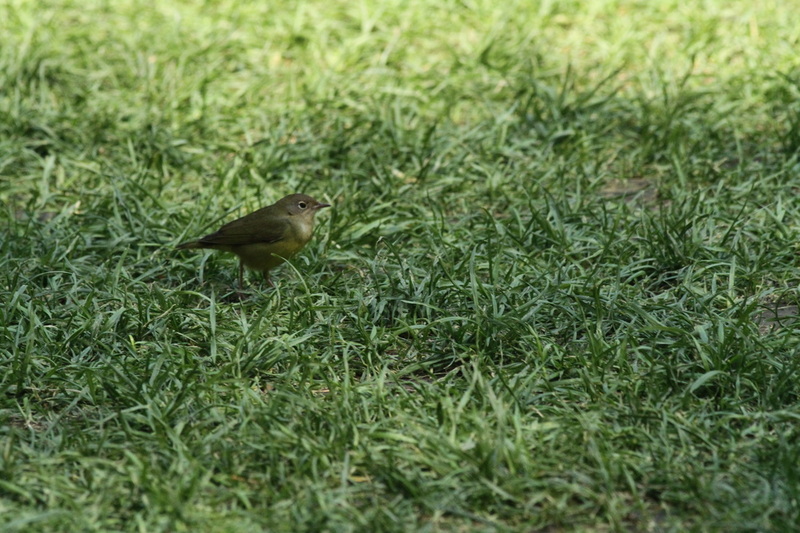 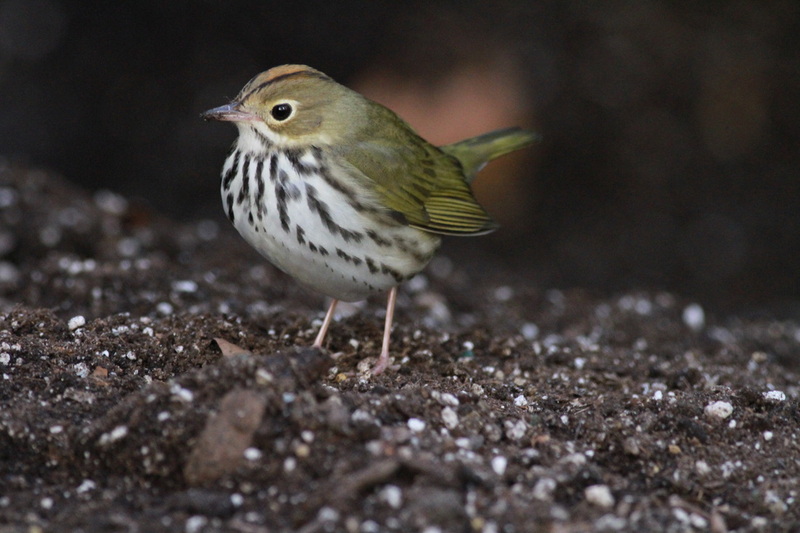 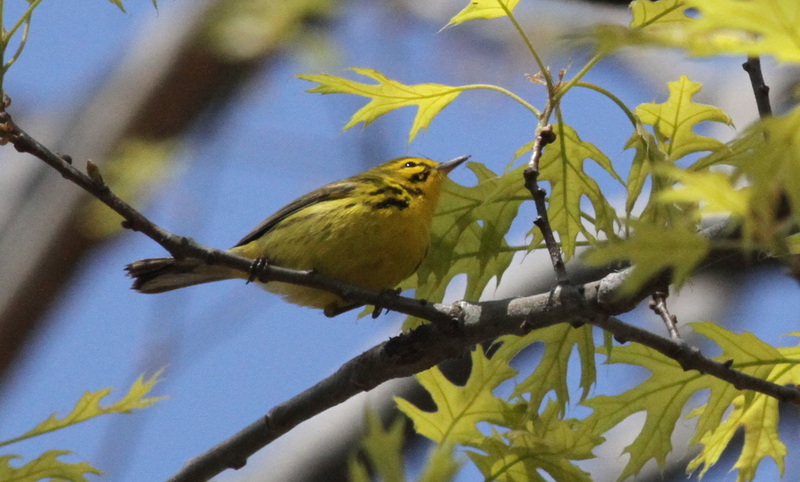 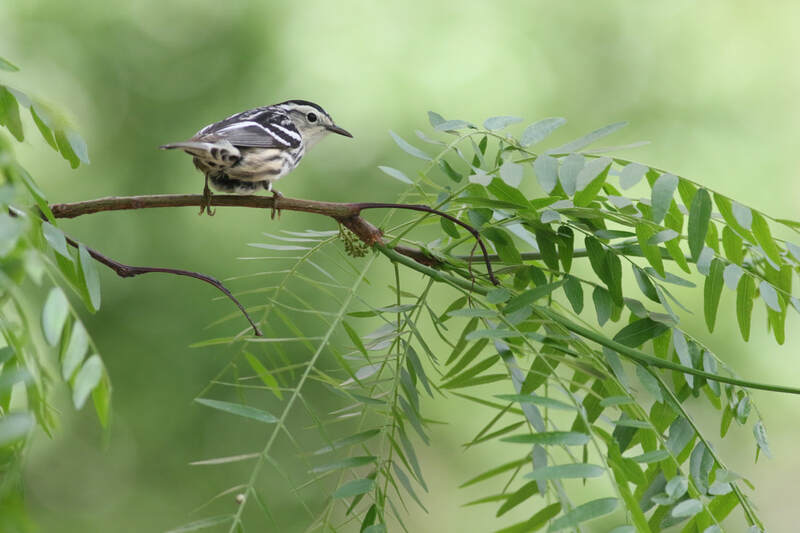 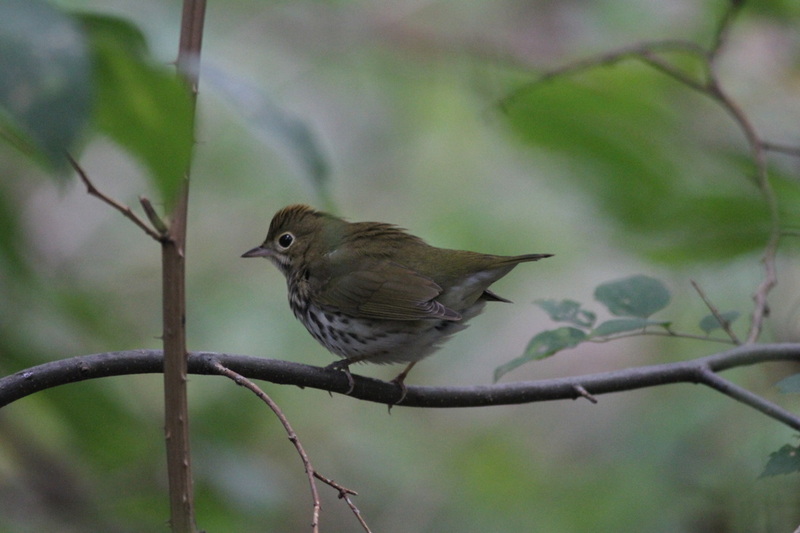 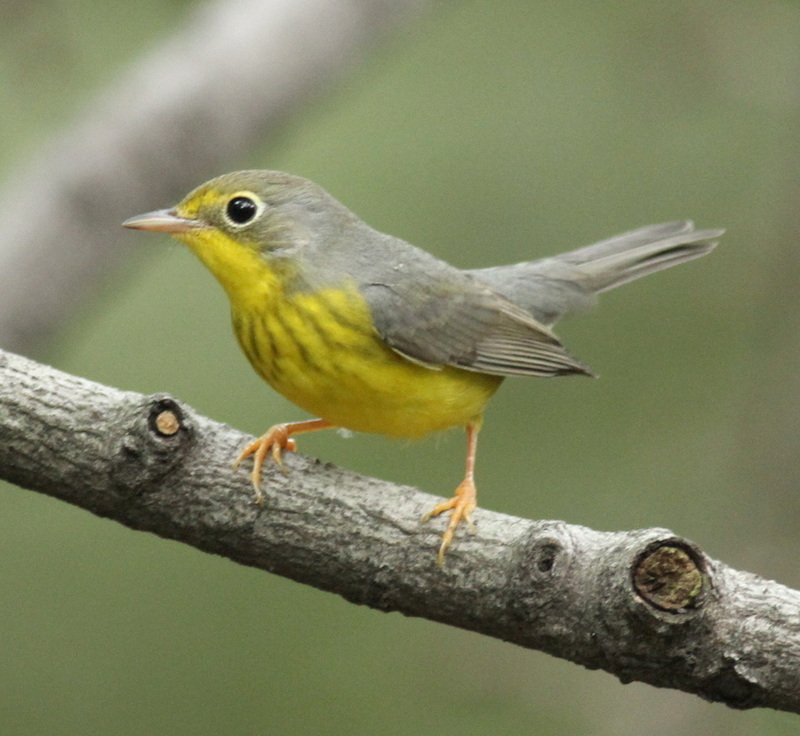 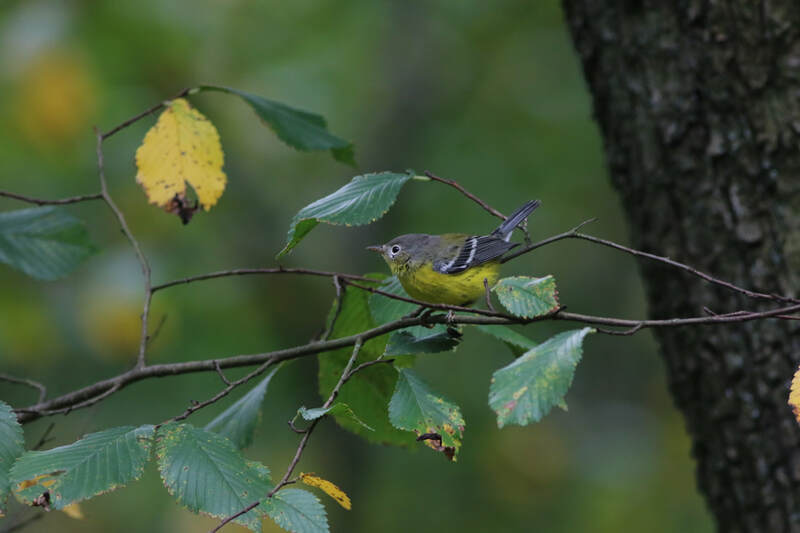 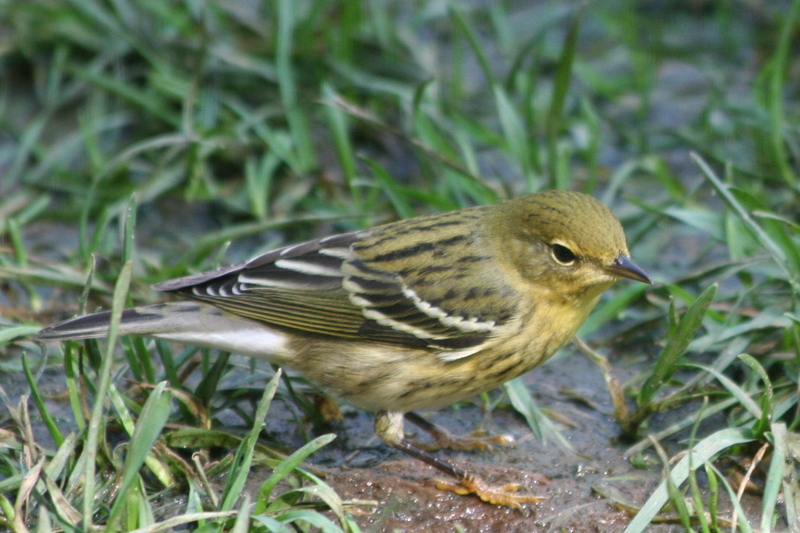 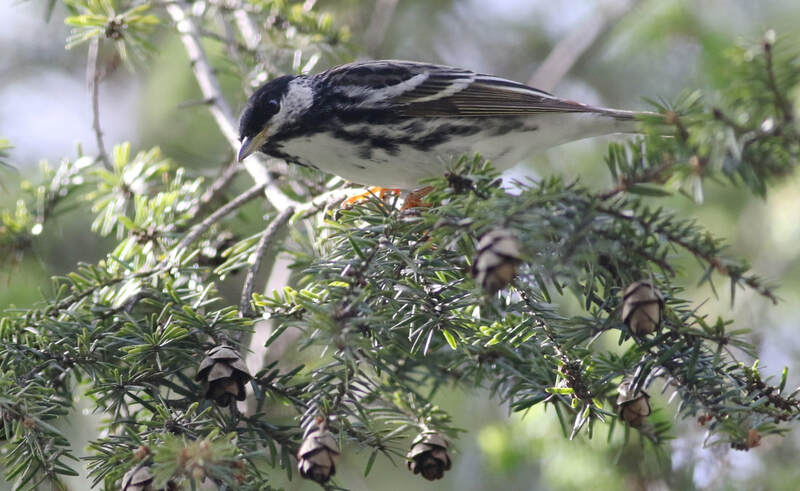 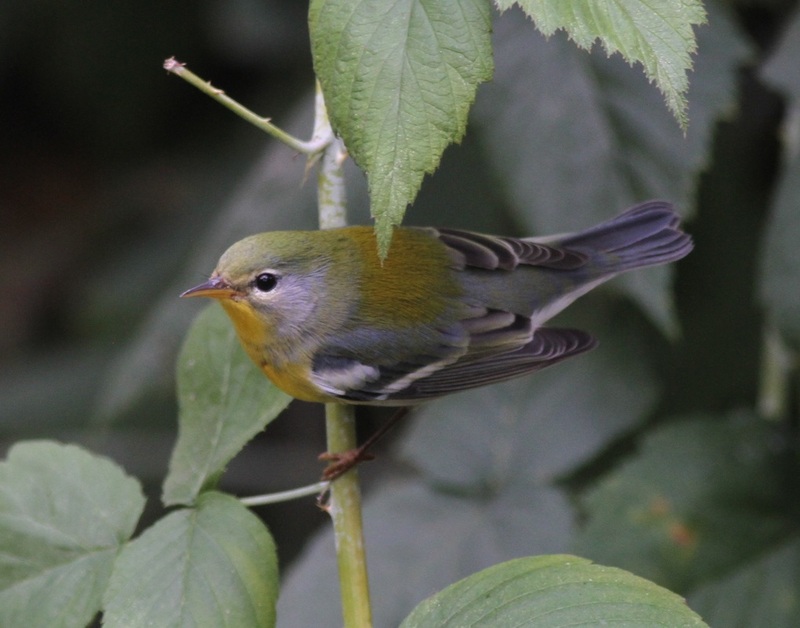 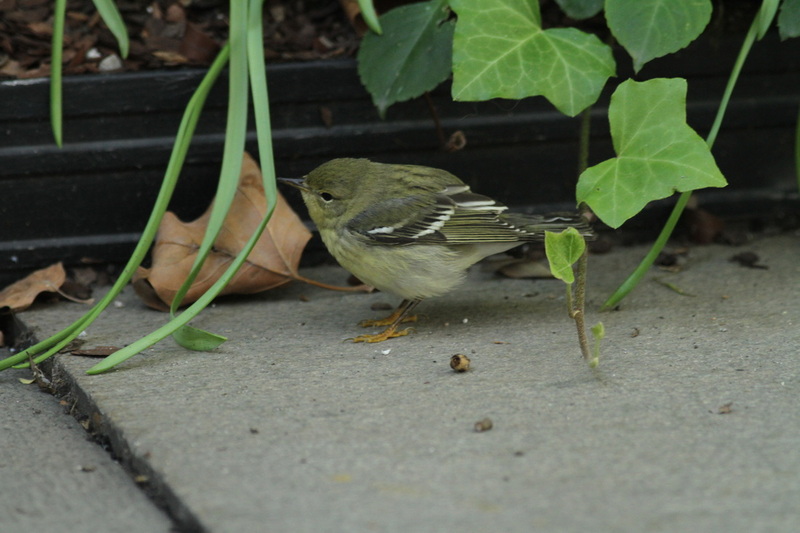 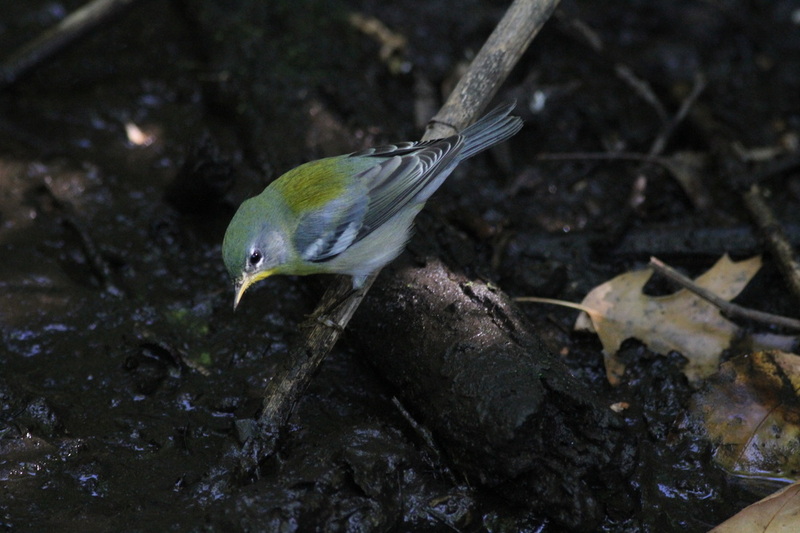 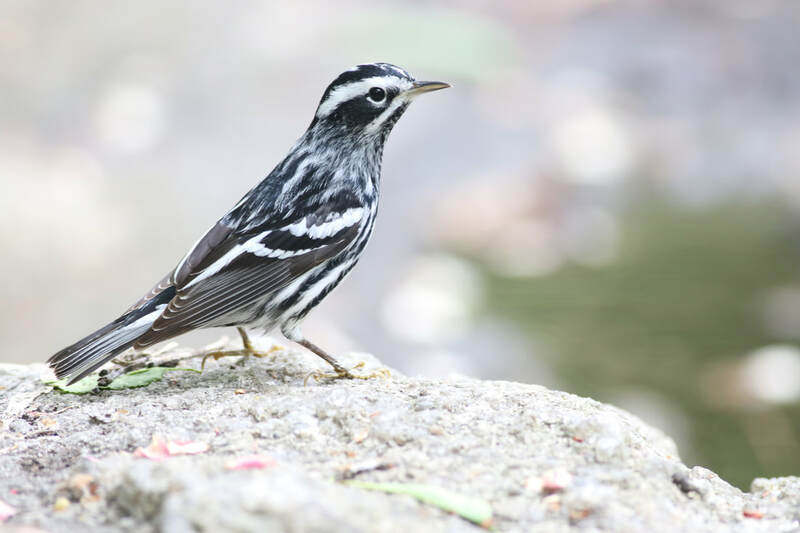 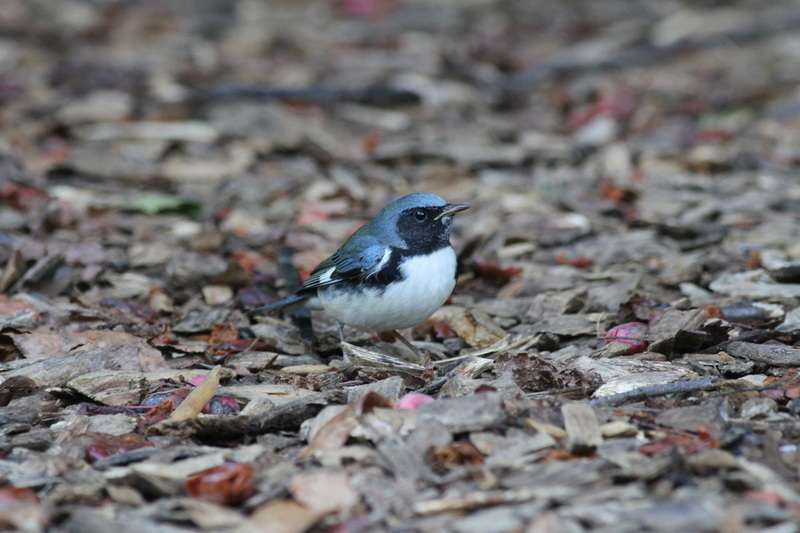 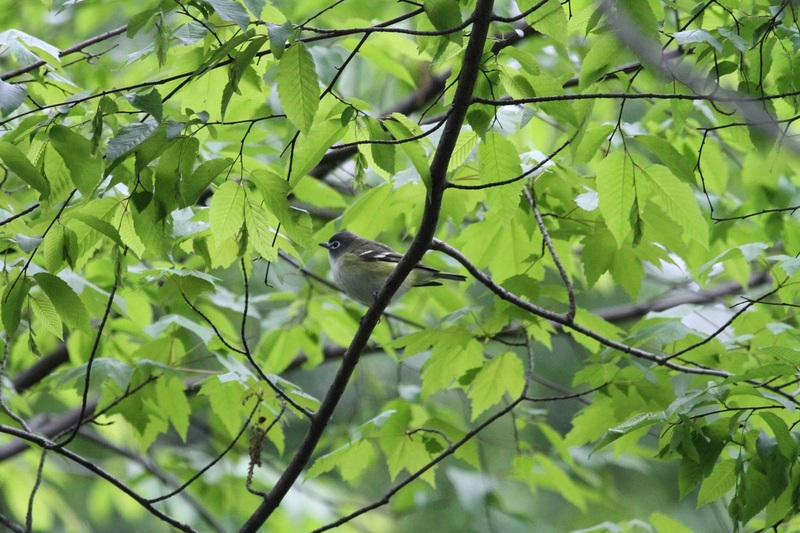 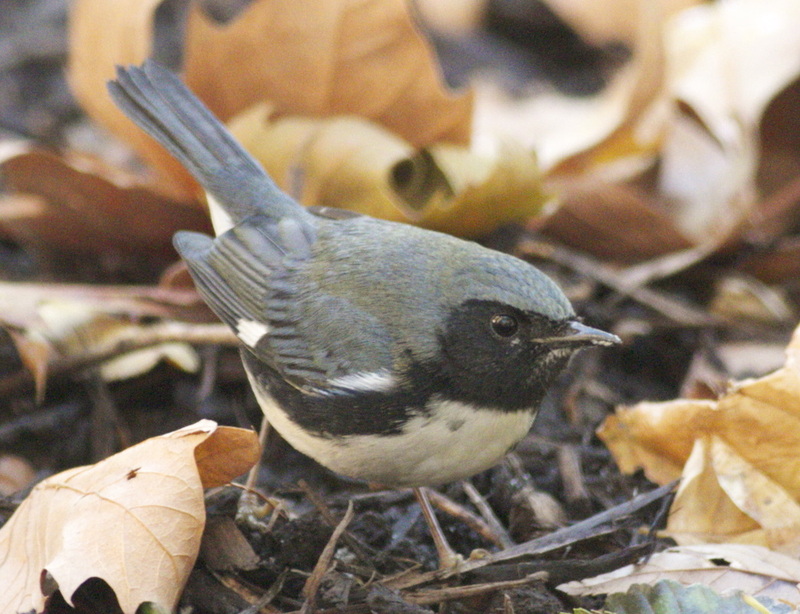 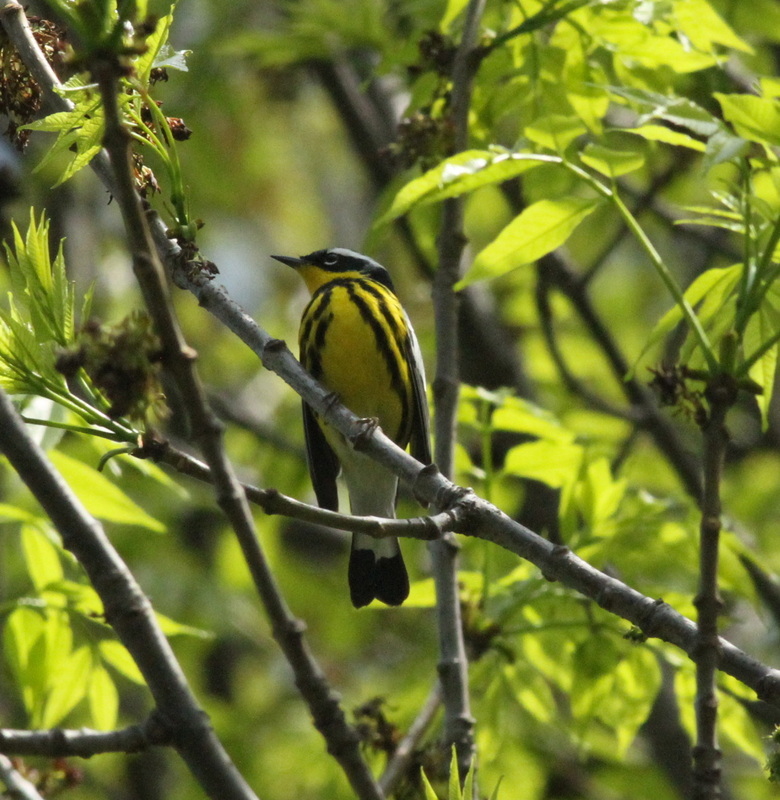 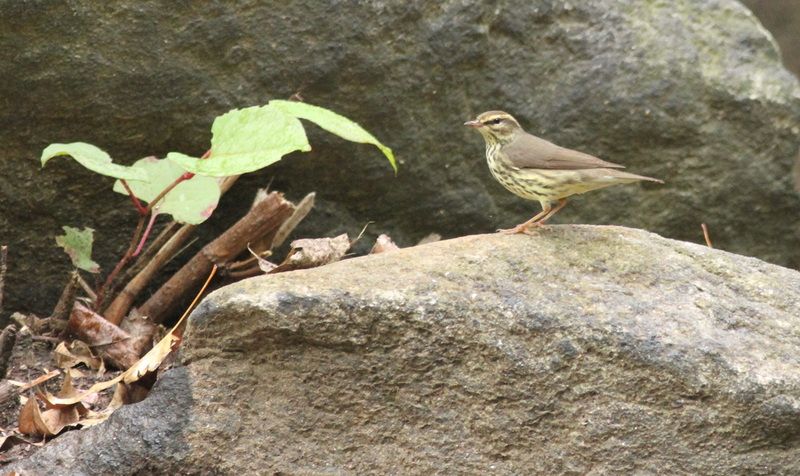 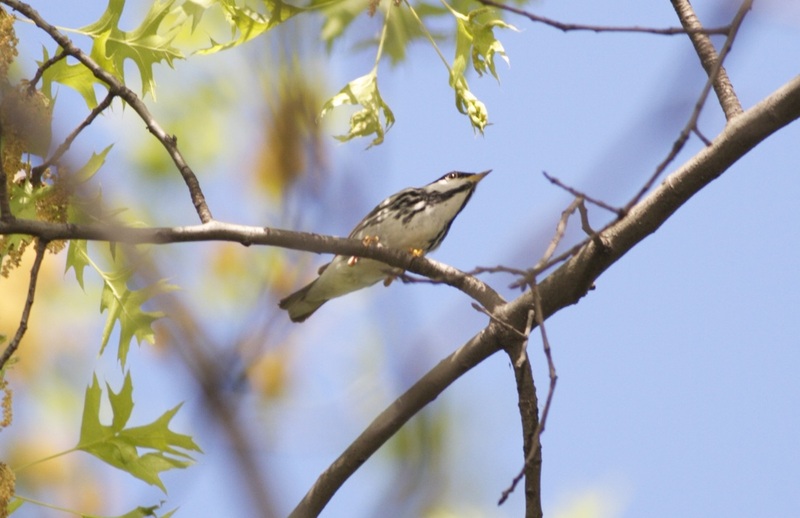 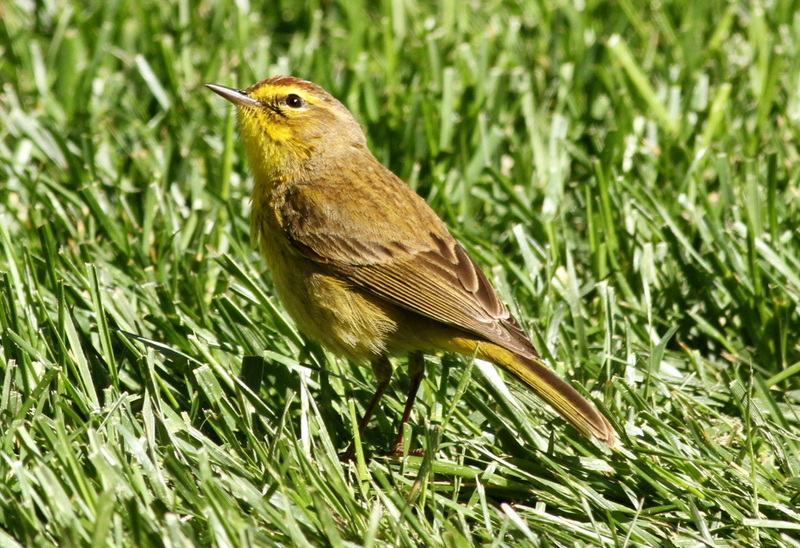 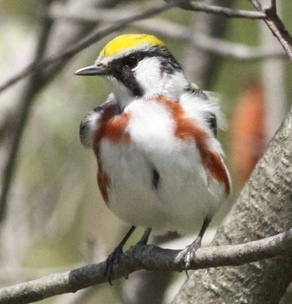 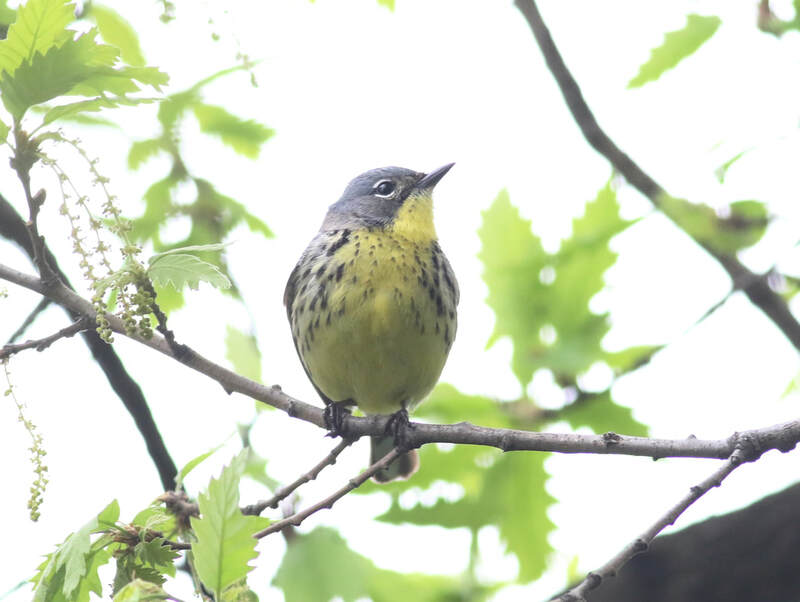 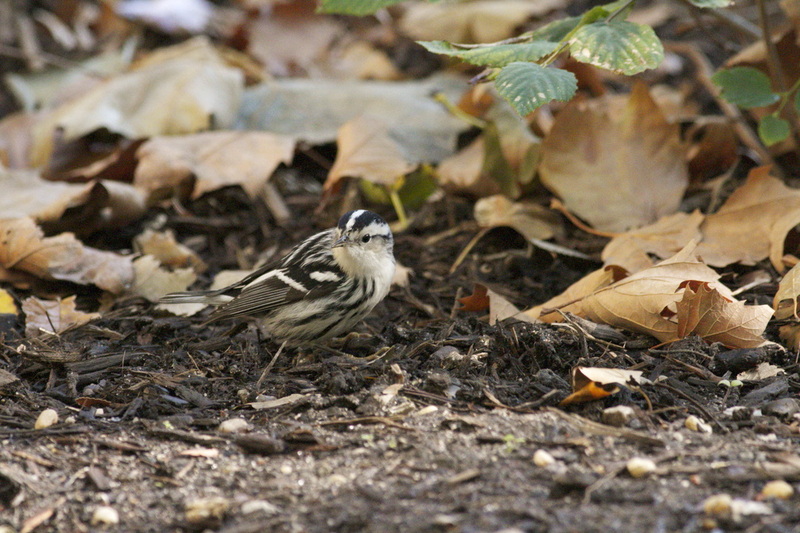 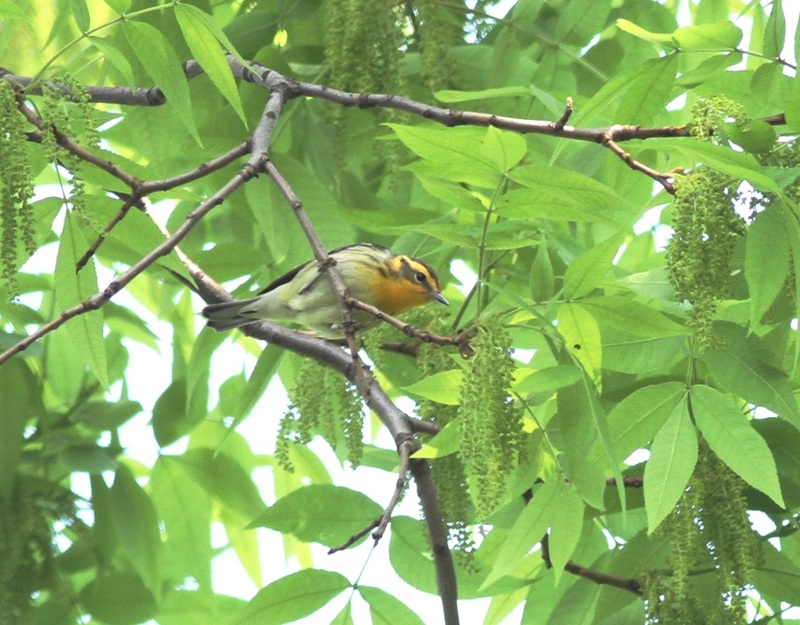 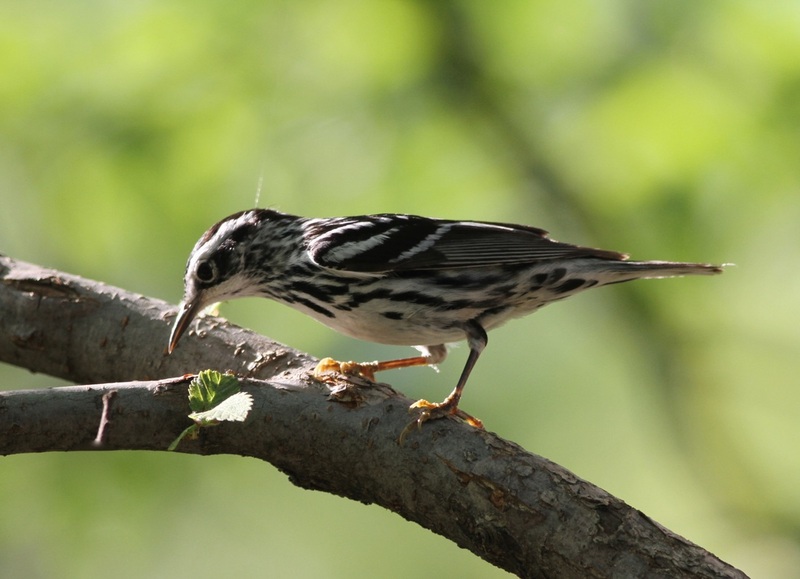 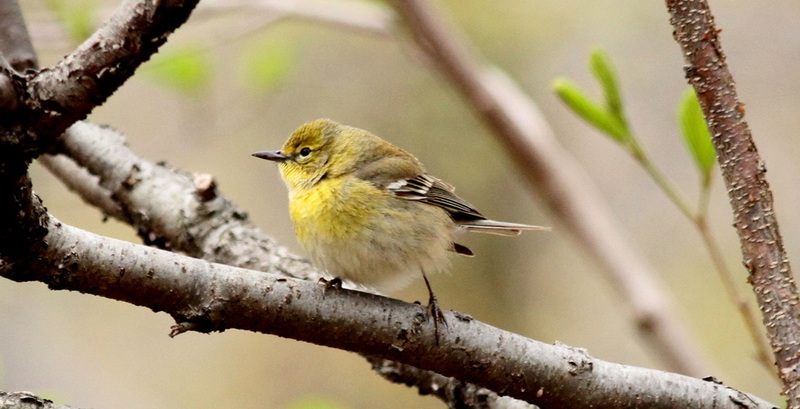 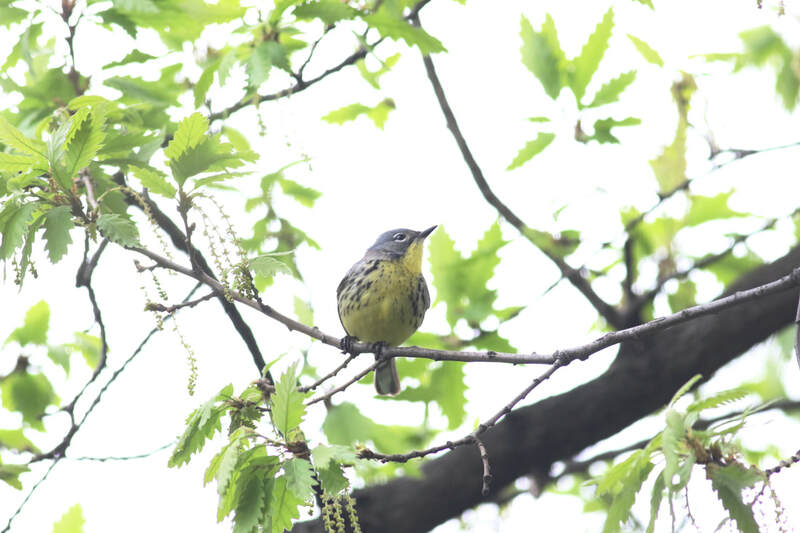 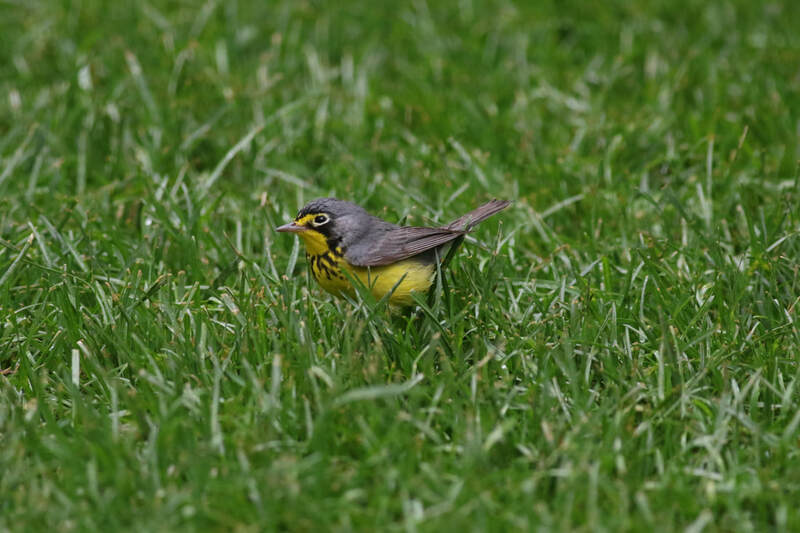 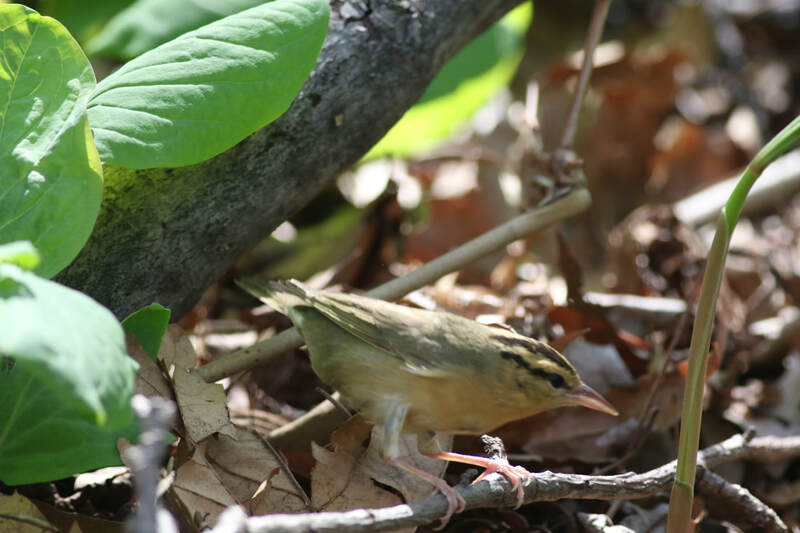 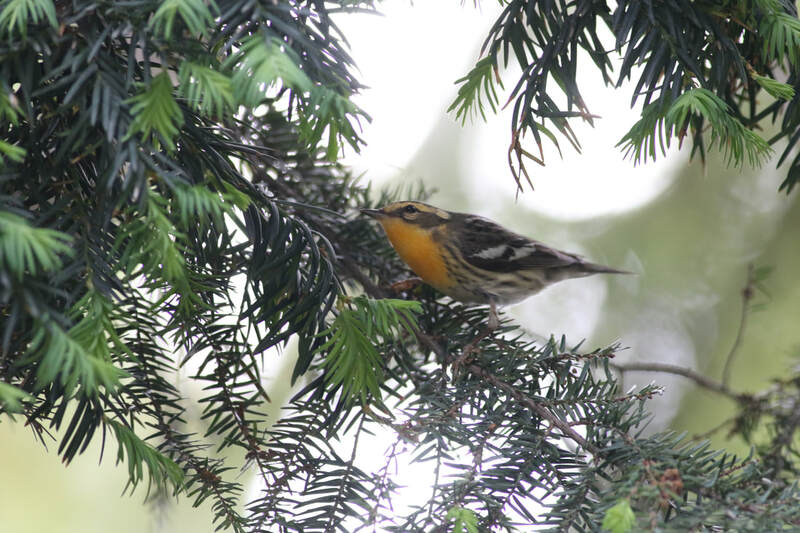 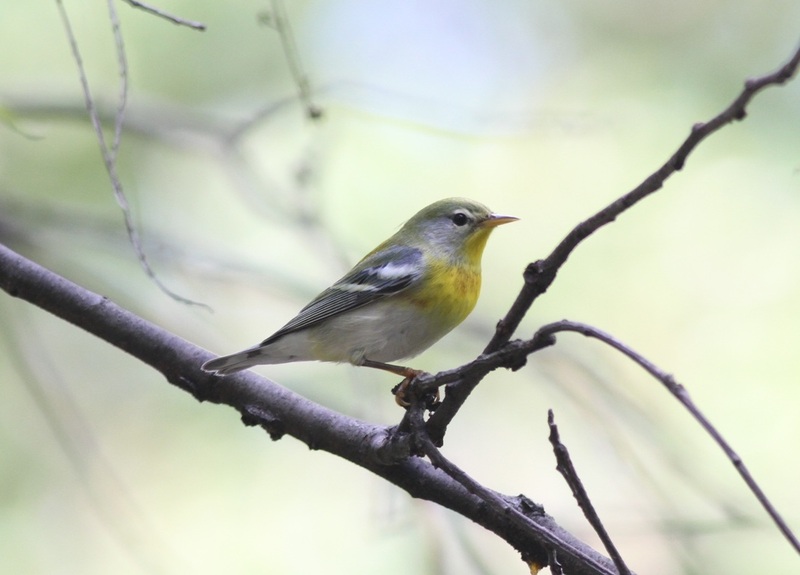 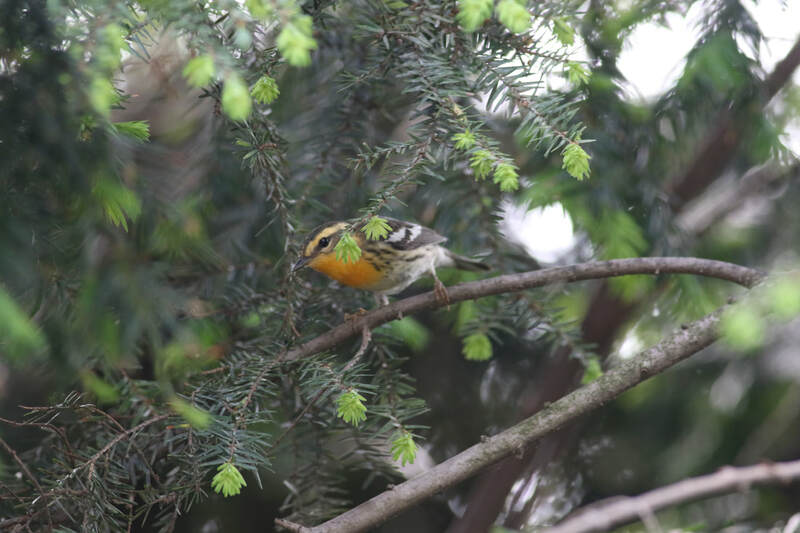 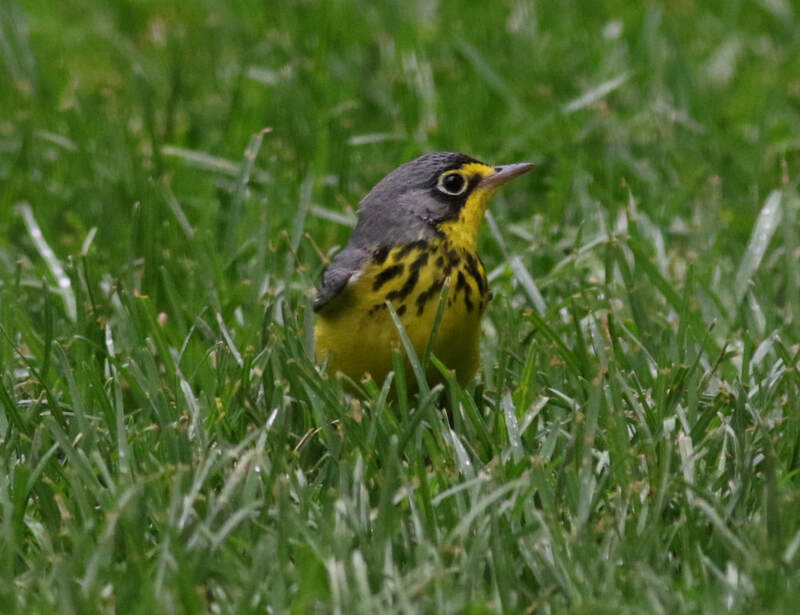 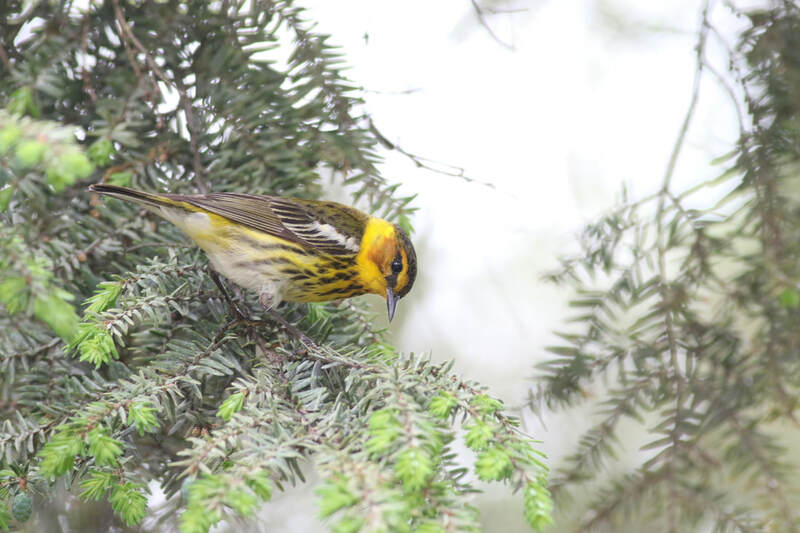 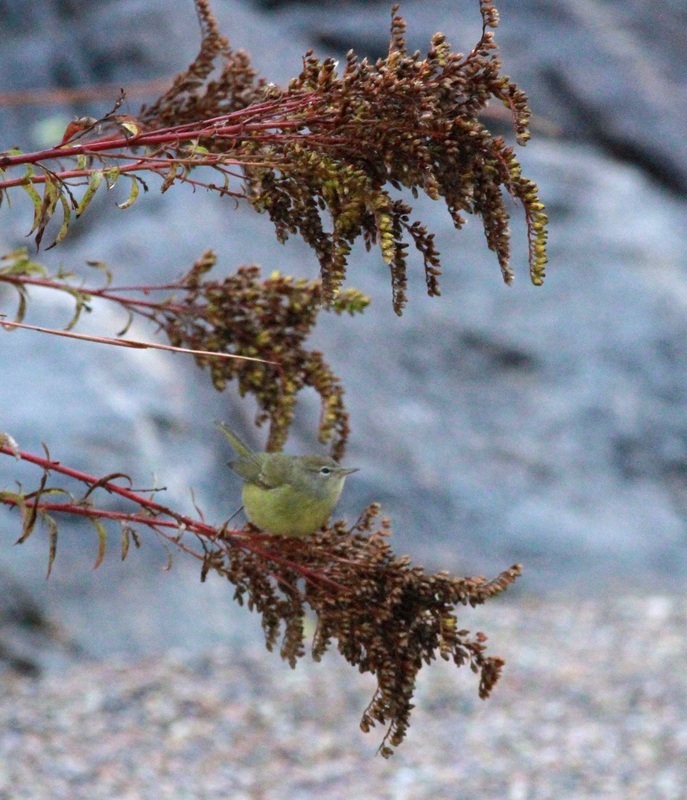 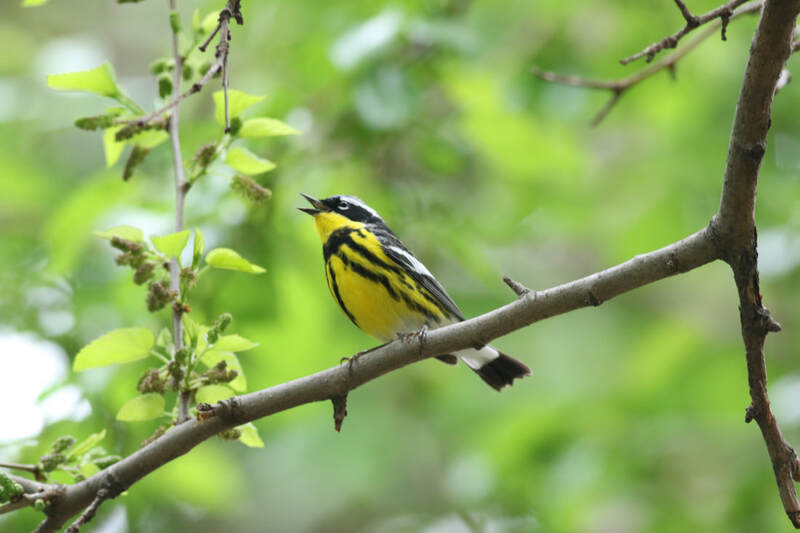 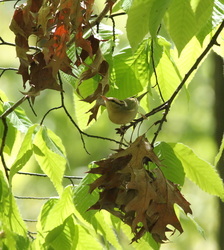 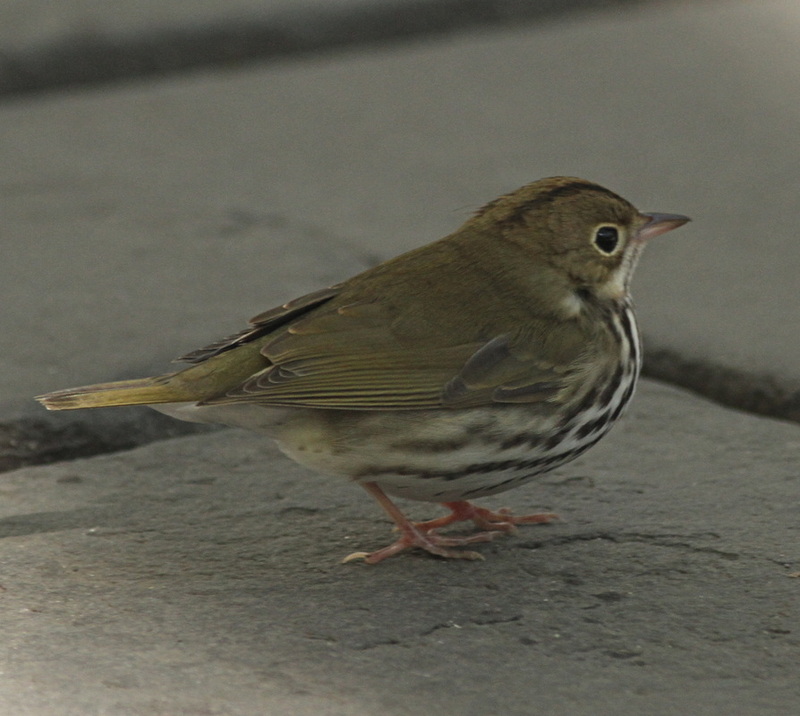 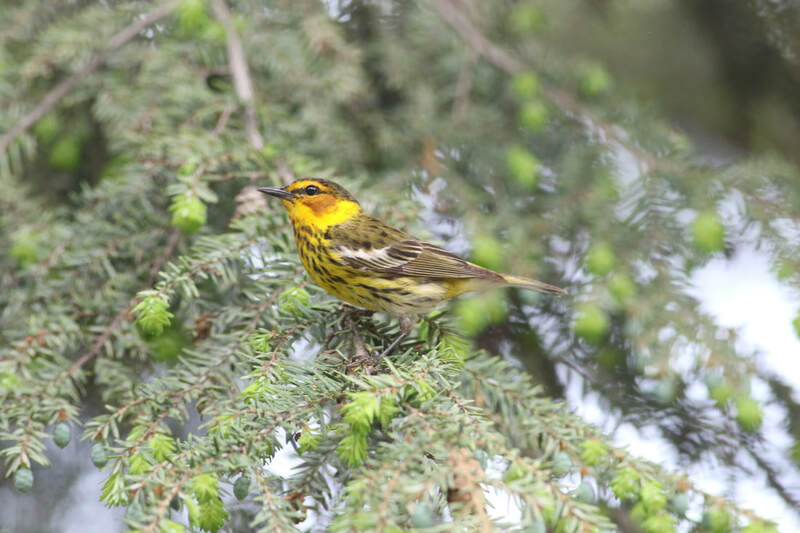 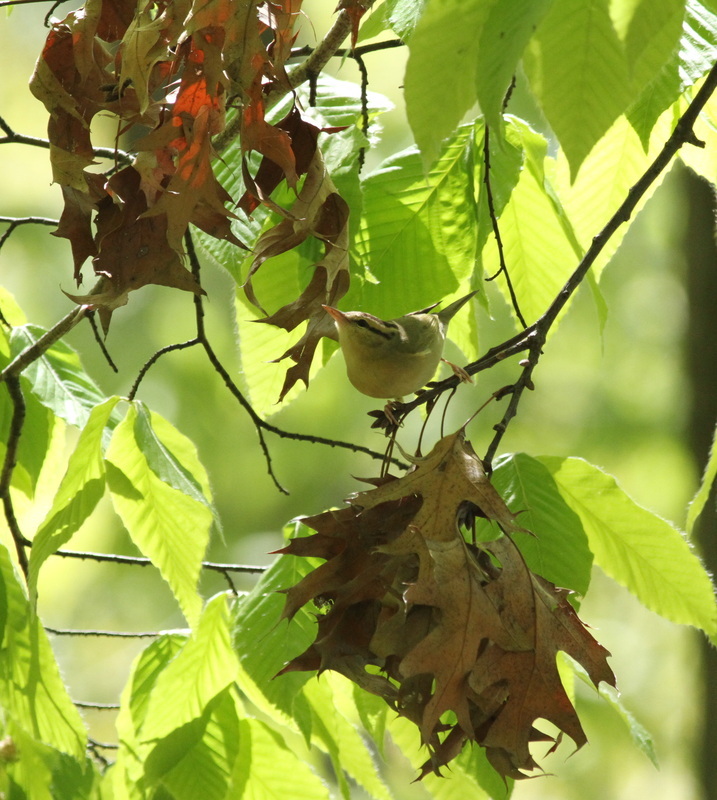 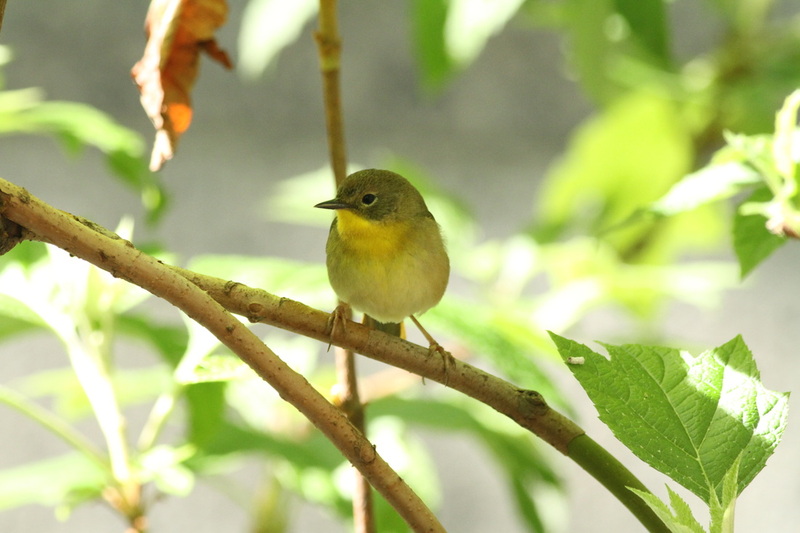 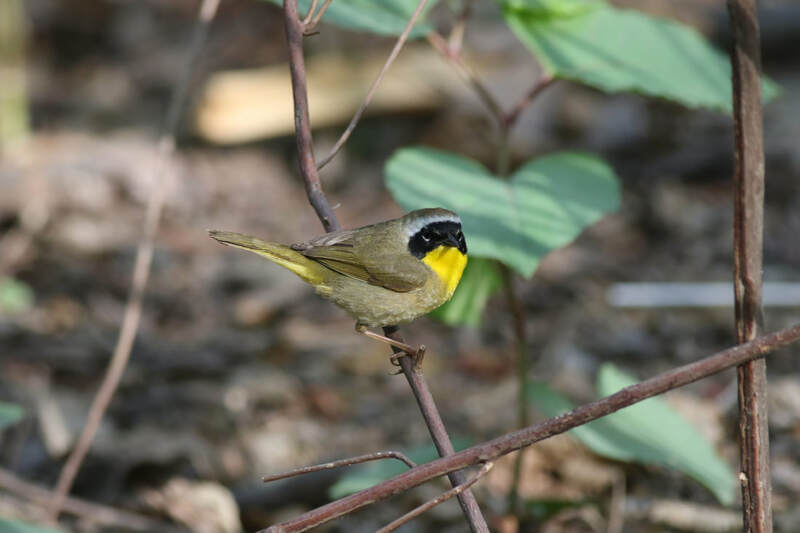 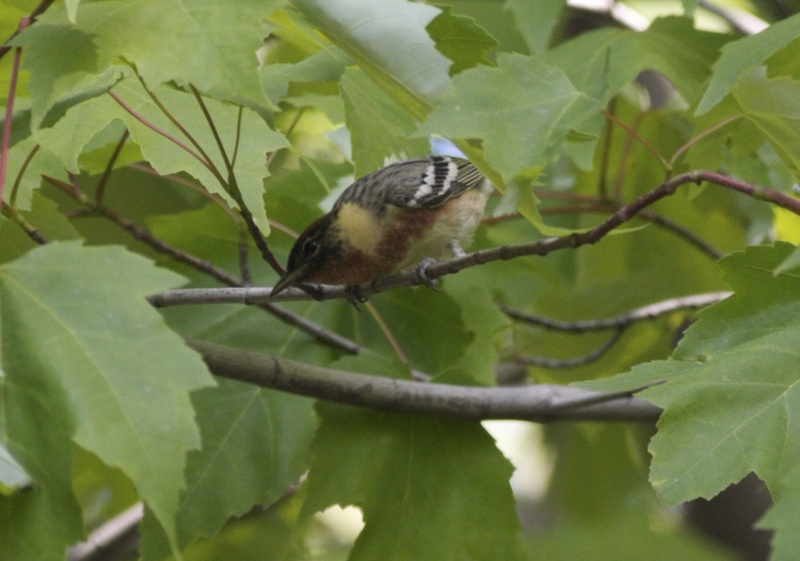 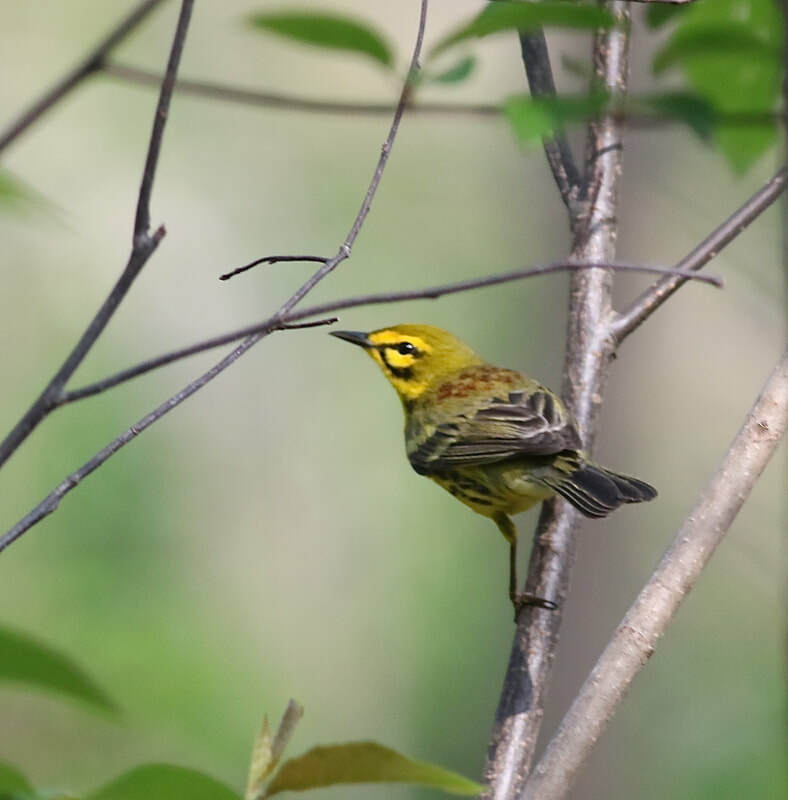 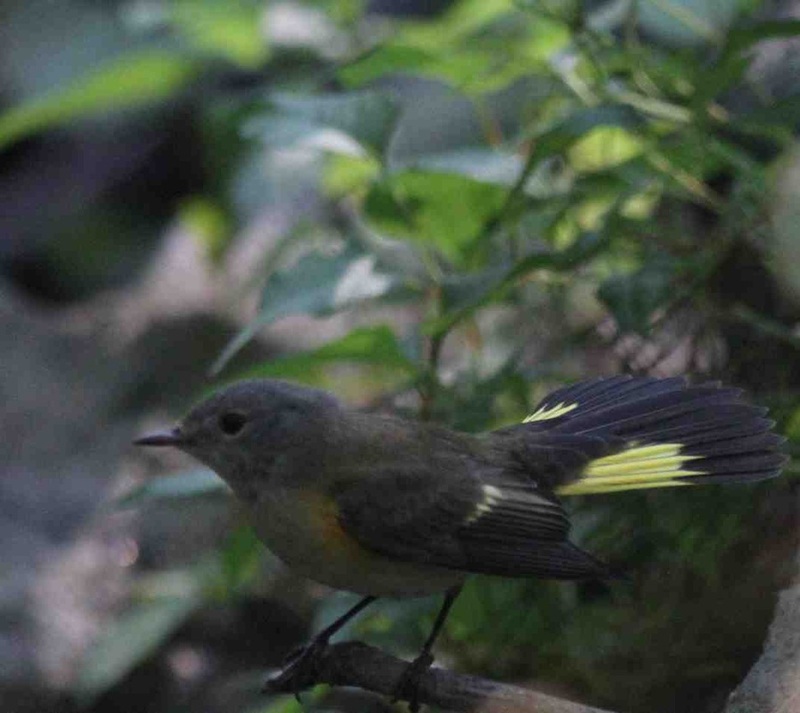 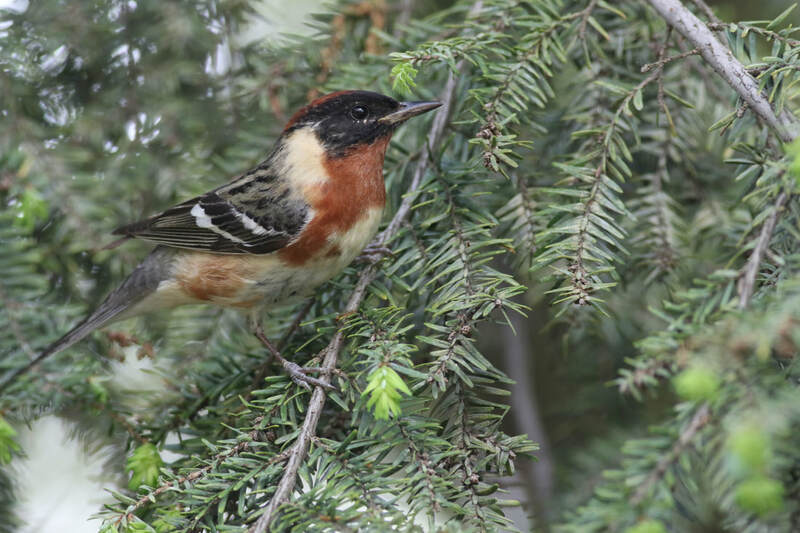 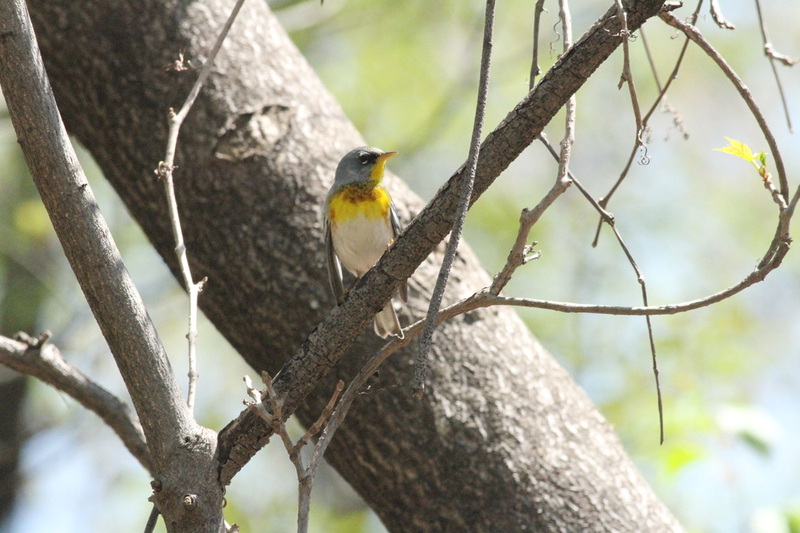 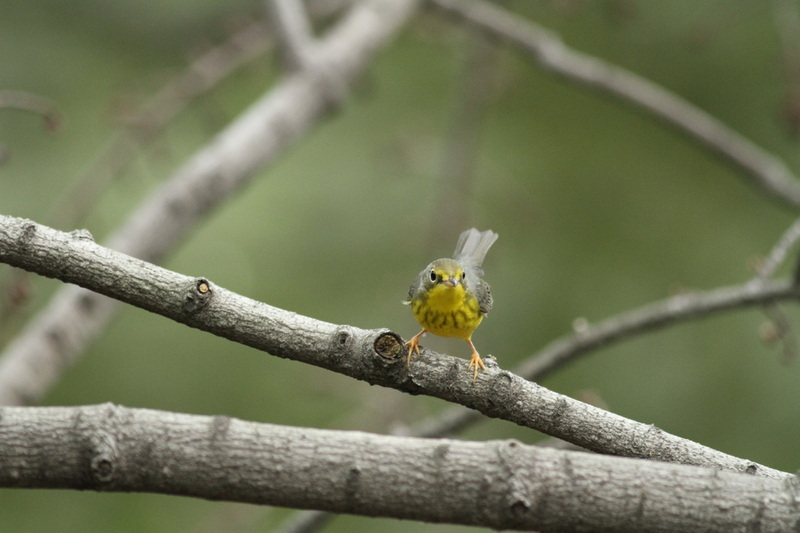 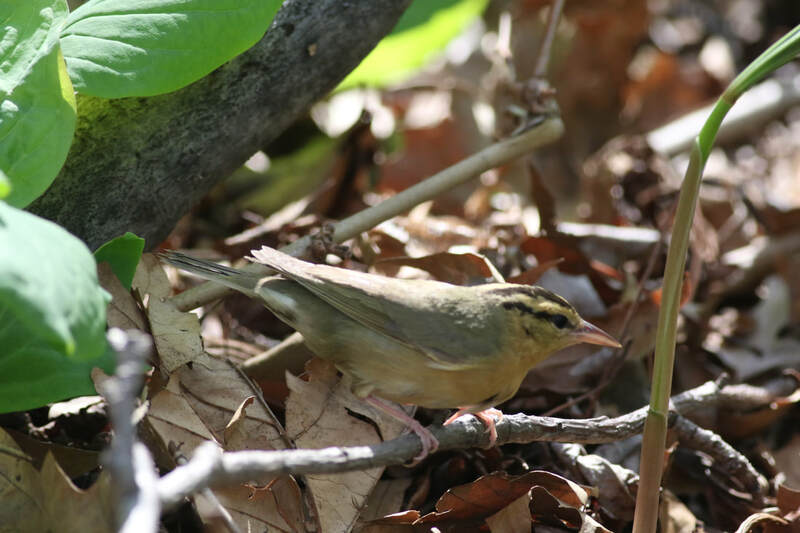 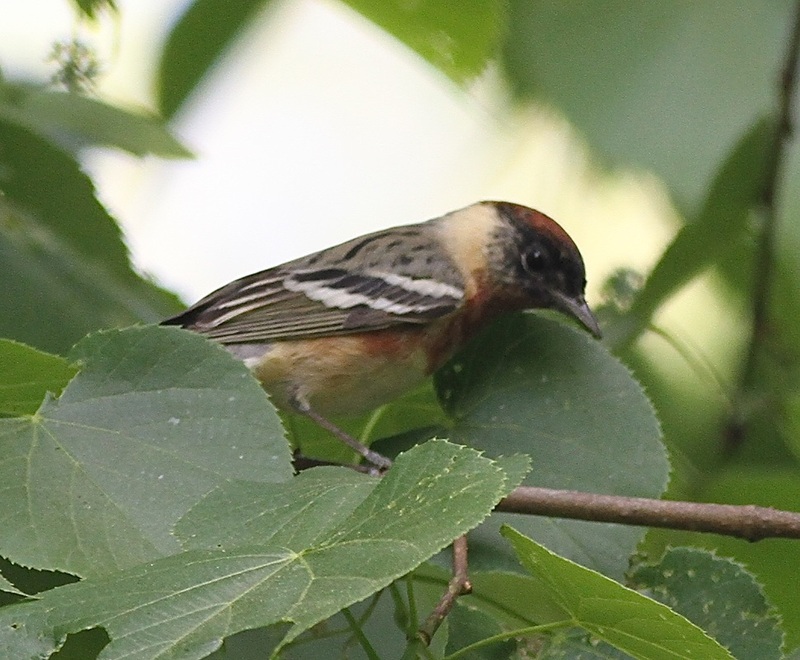 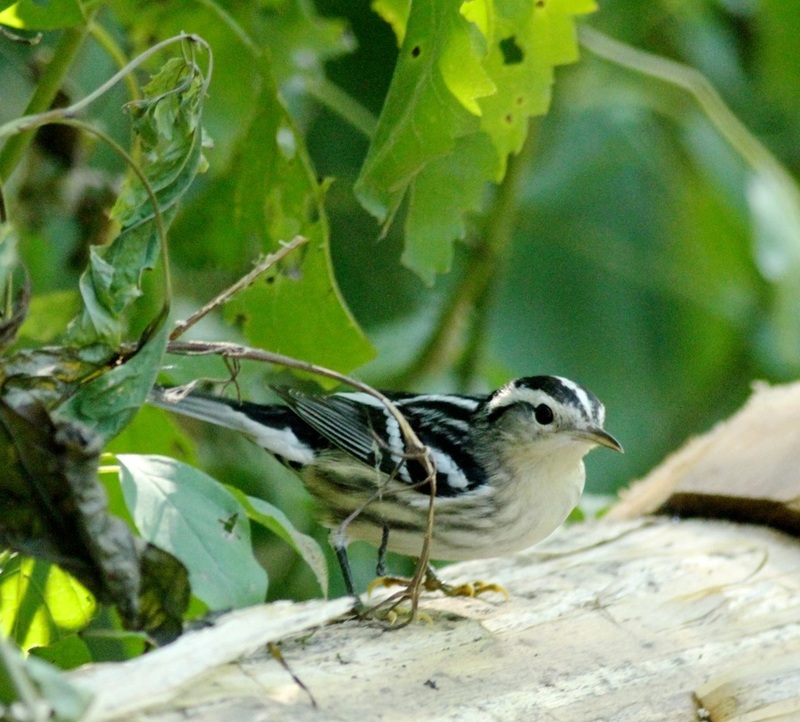 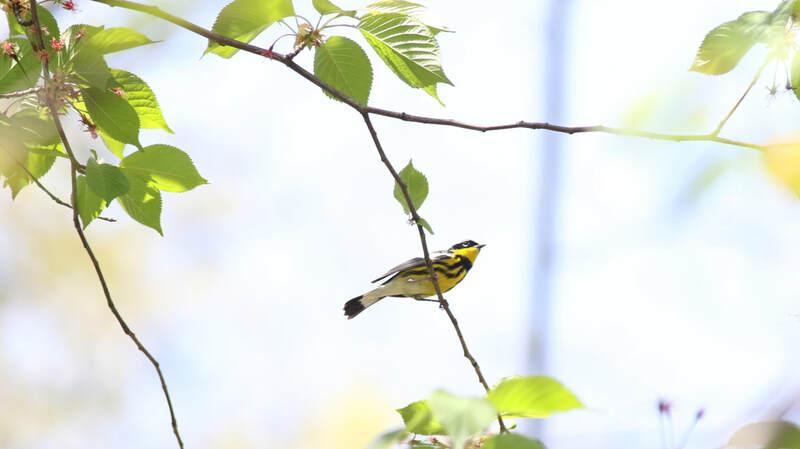 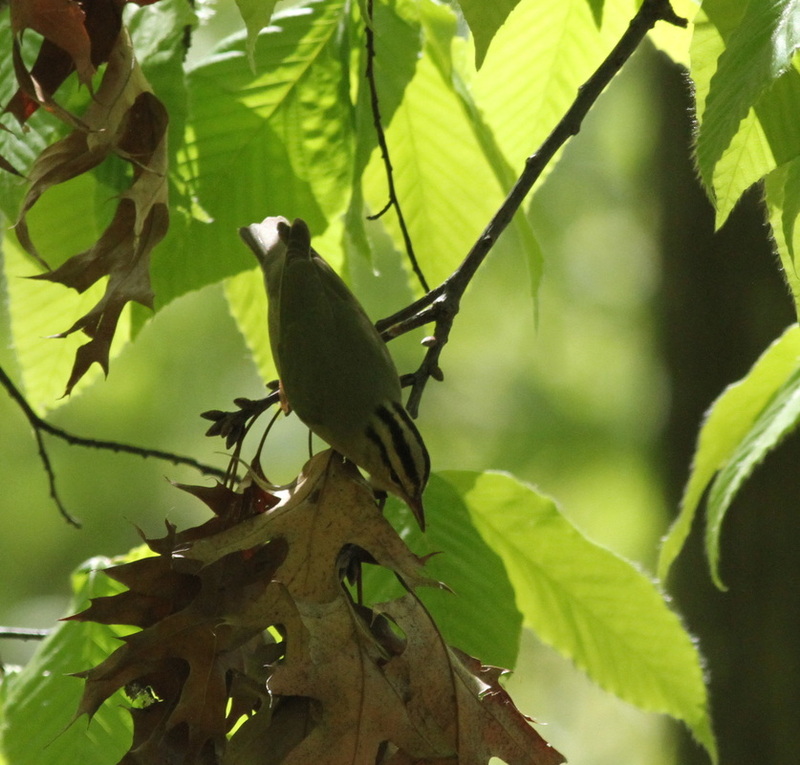 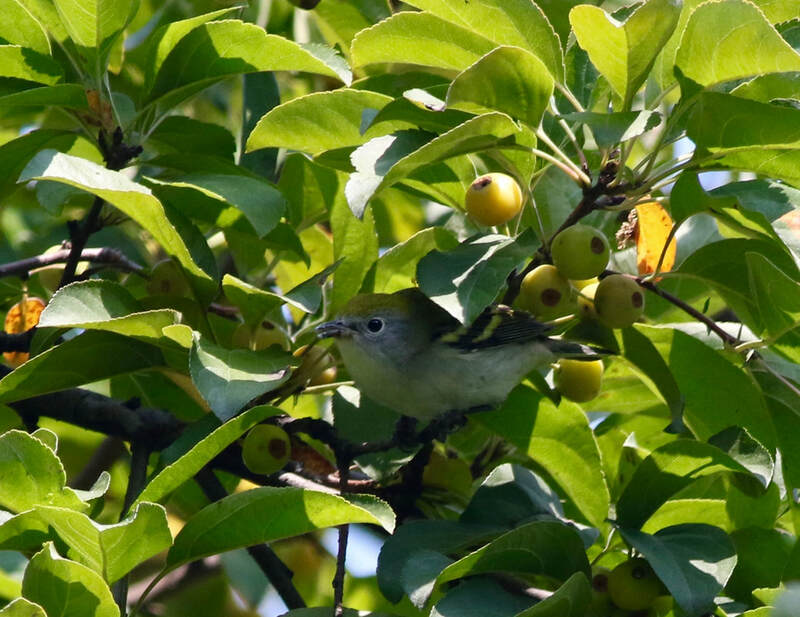 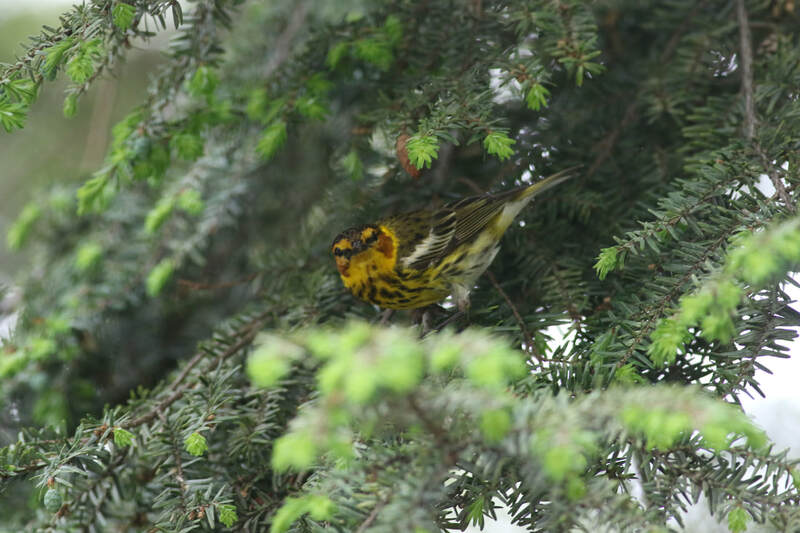 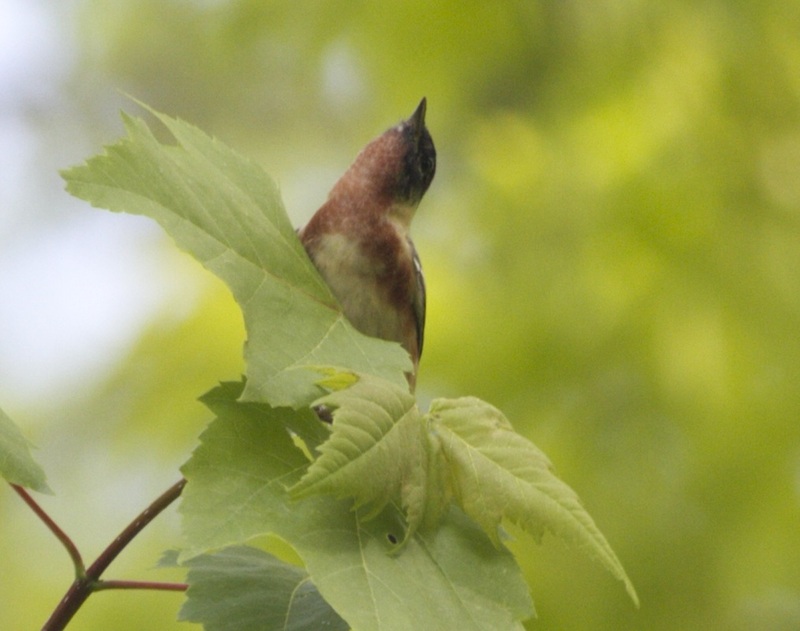 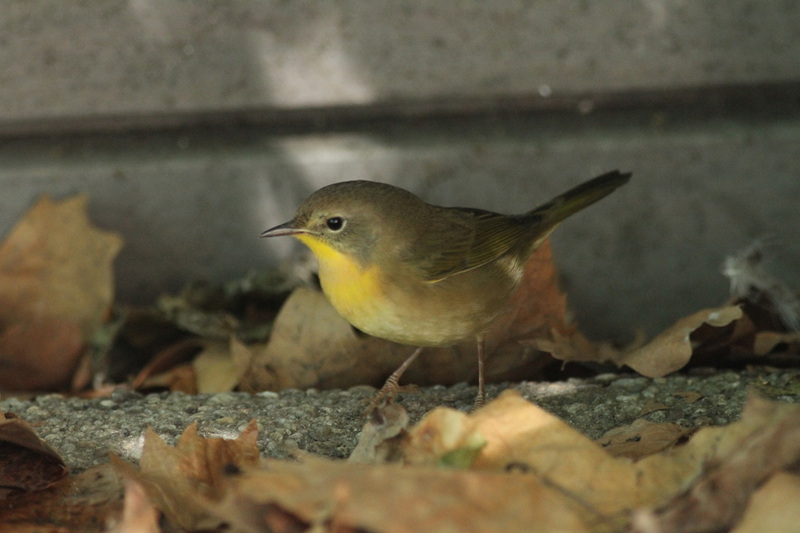 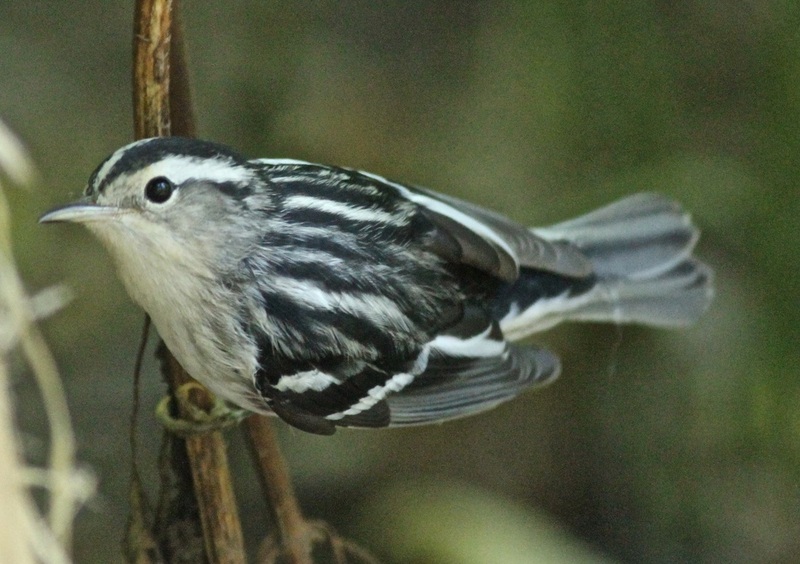 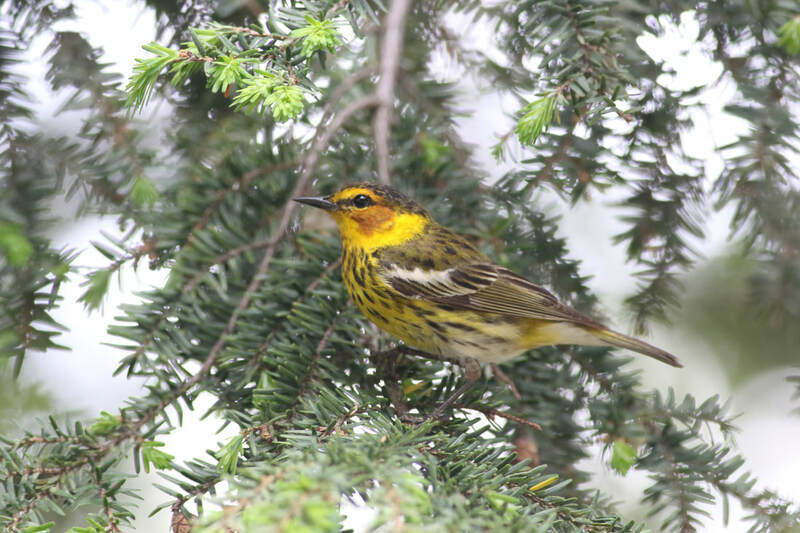 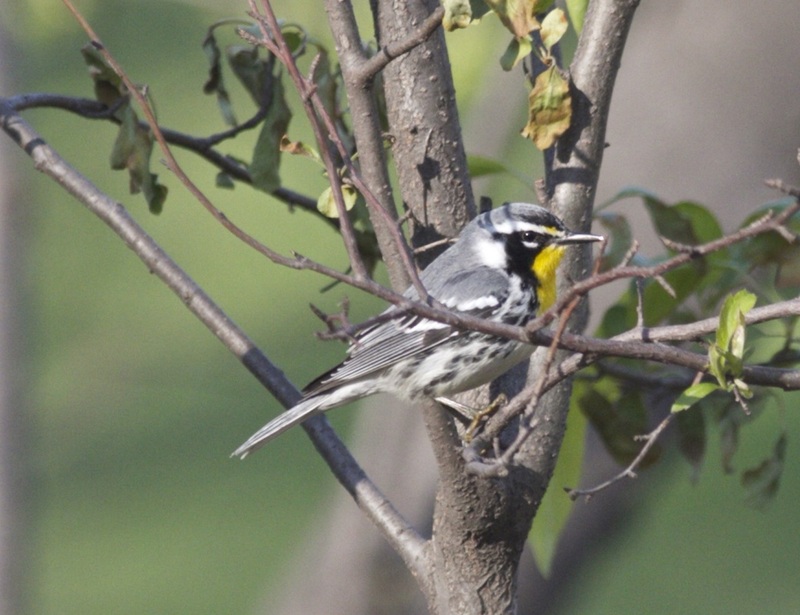 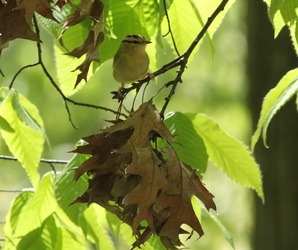 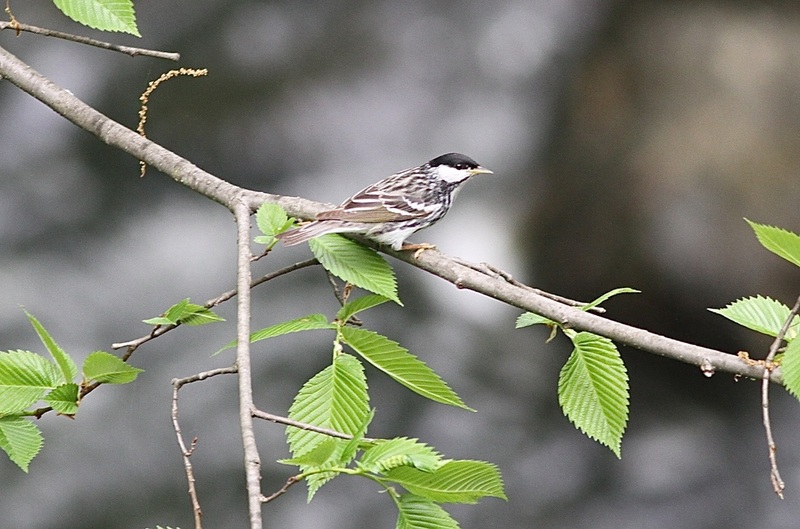 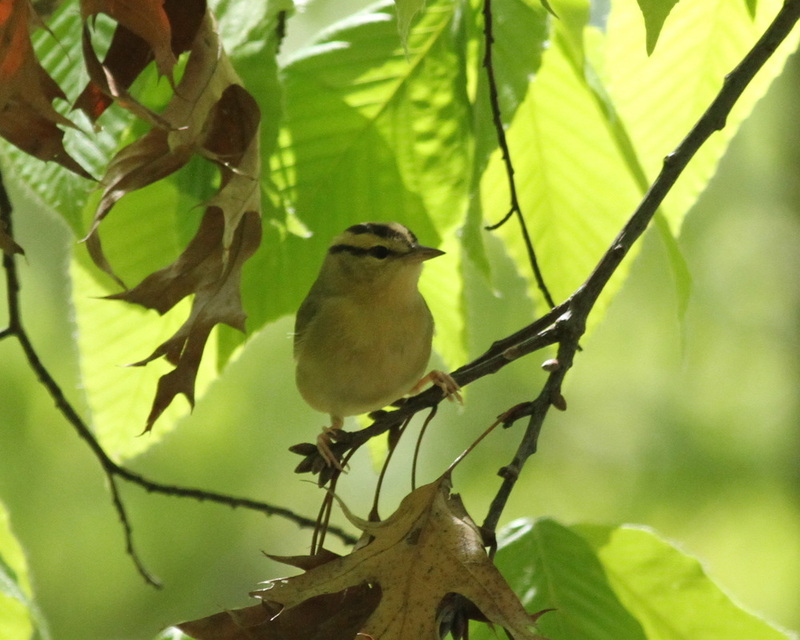 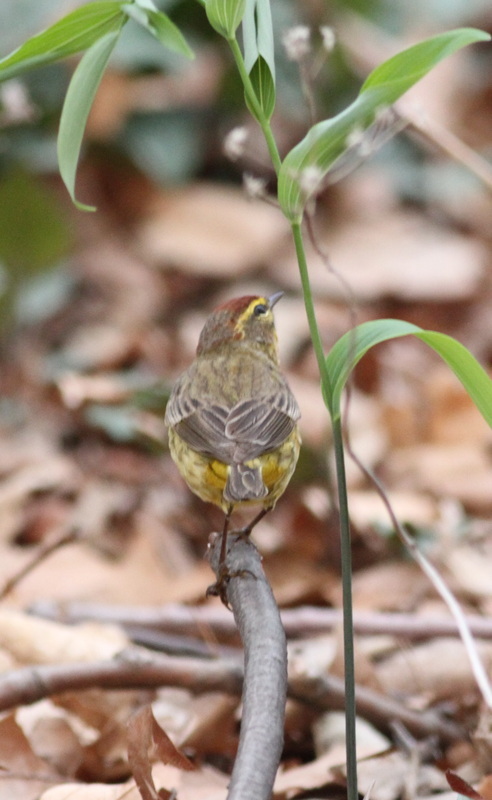 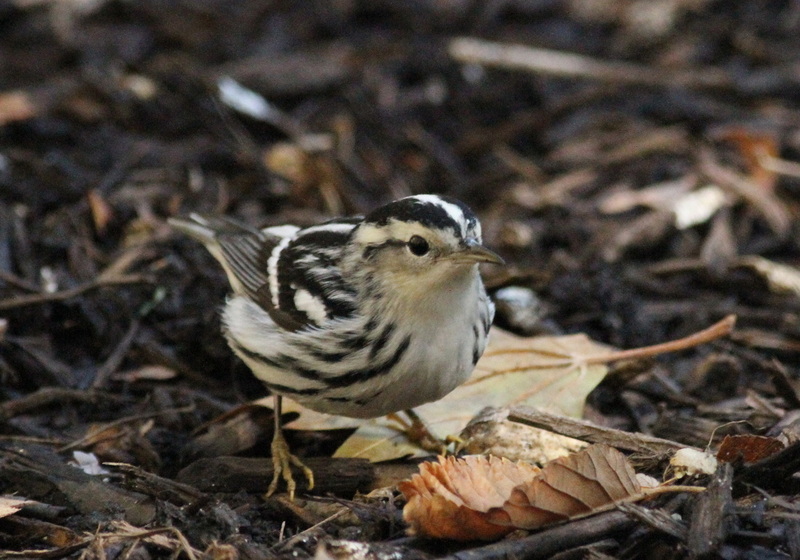 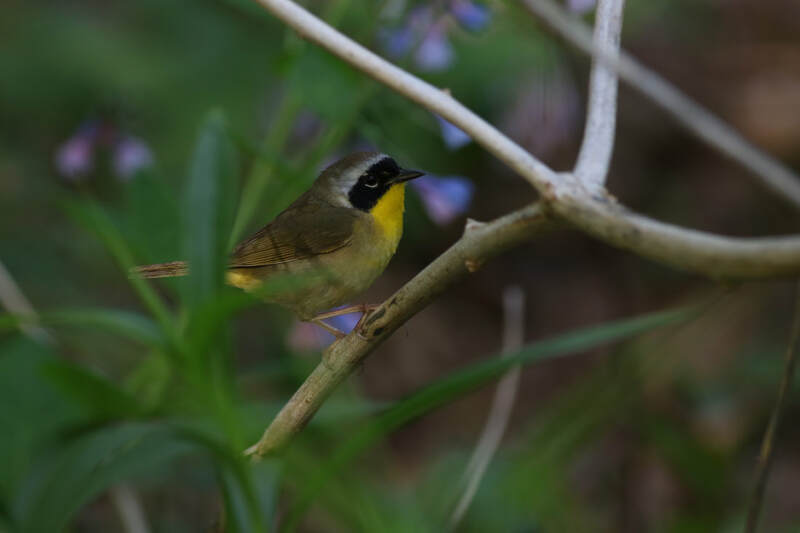 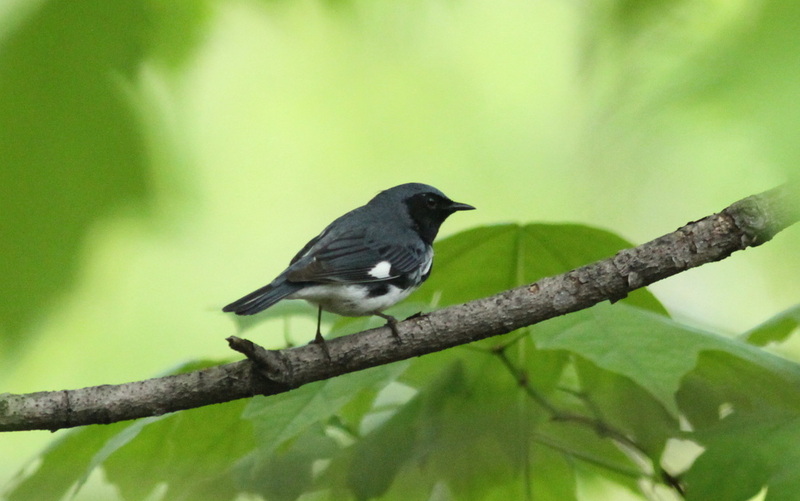 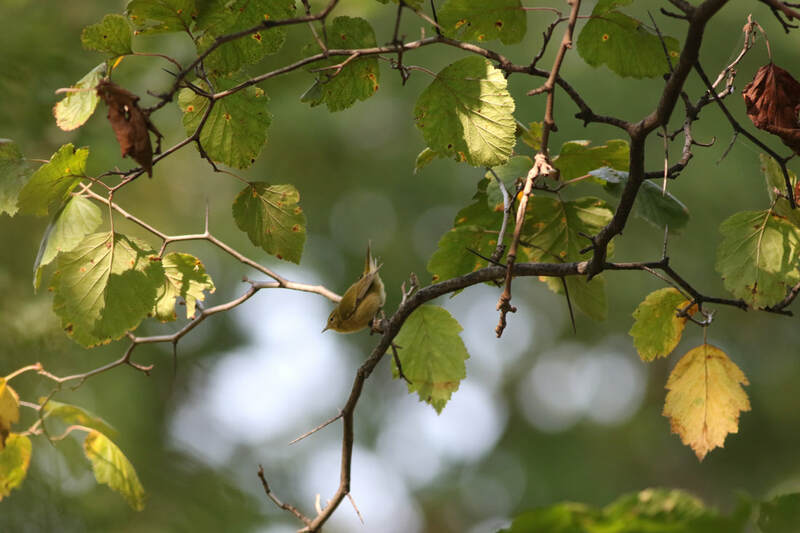 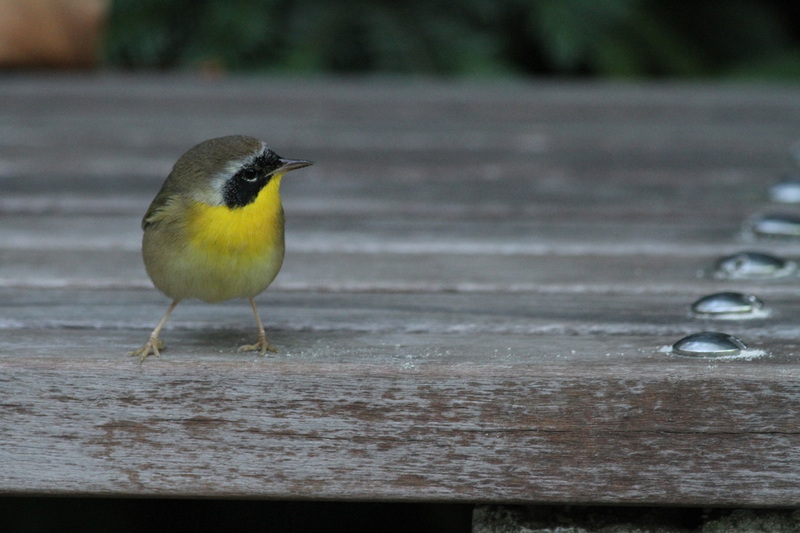 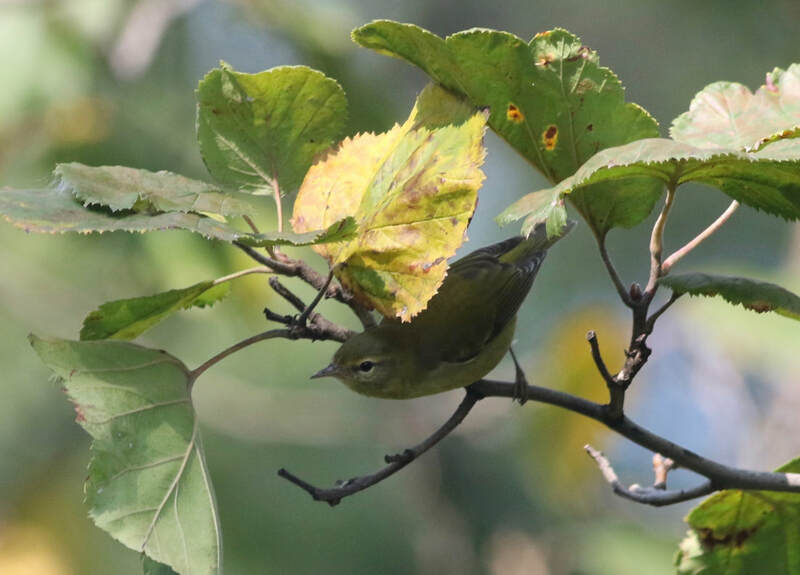 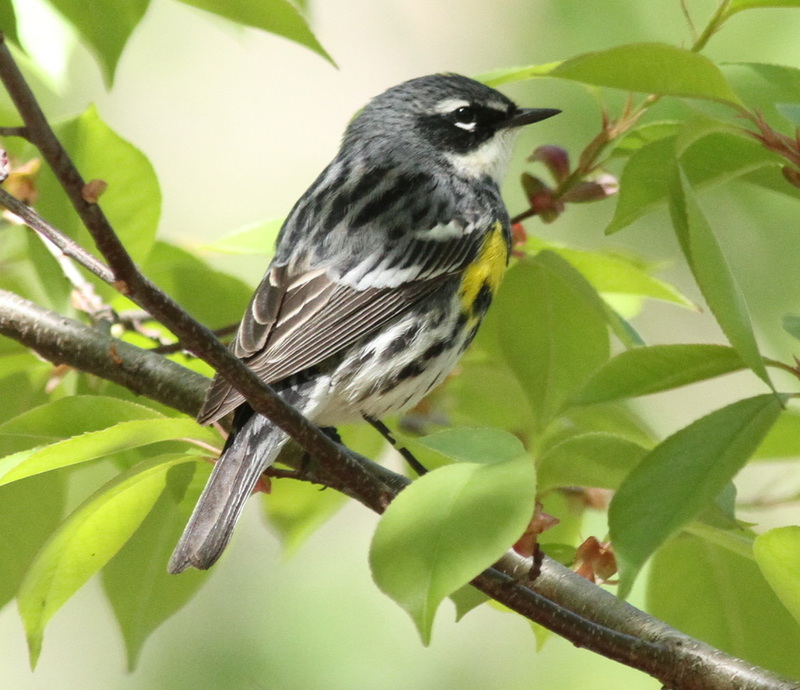 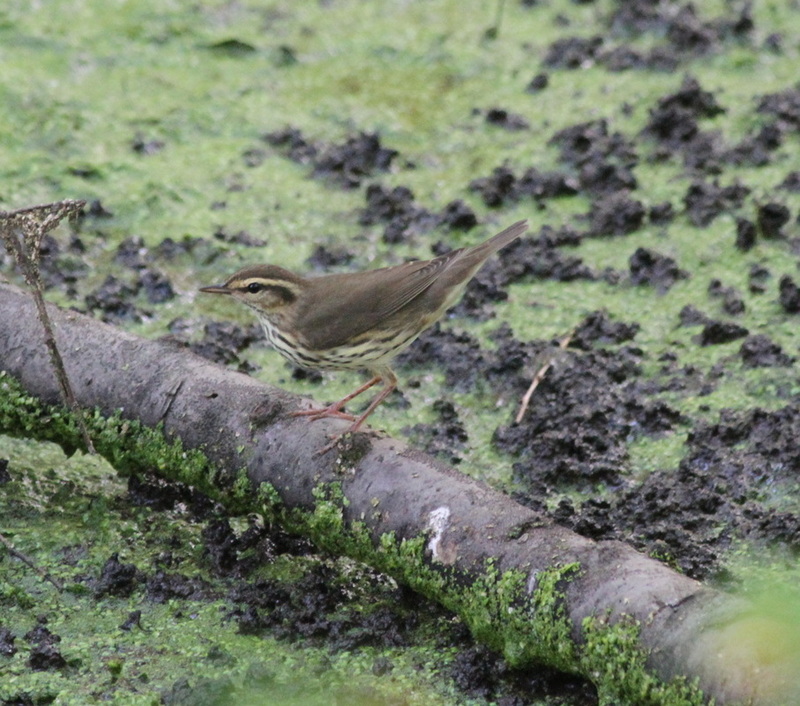 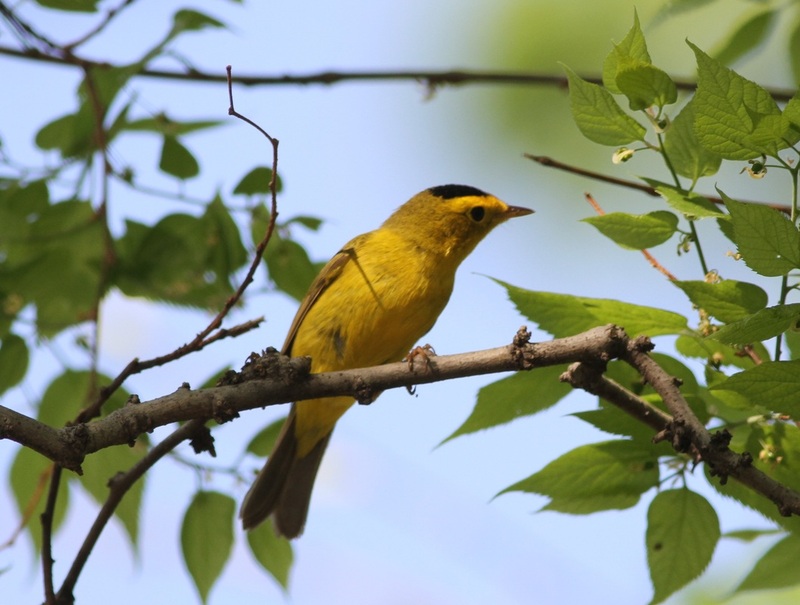 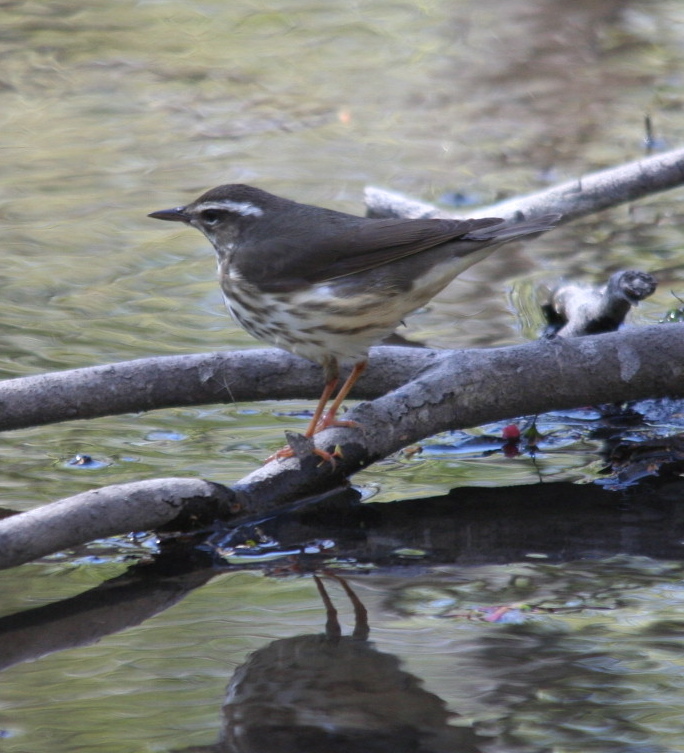 It is one of the few warblers that nests in the New York City Area. 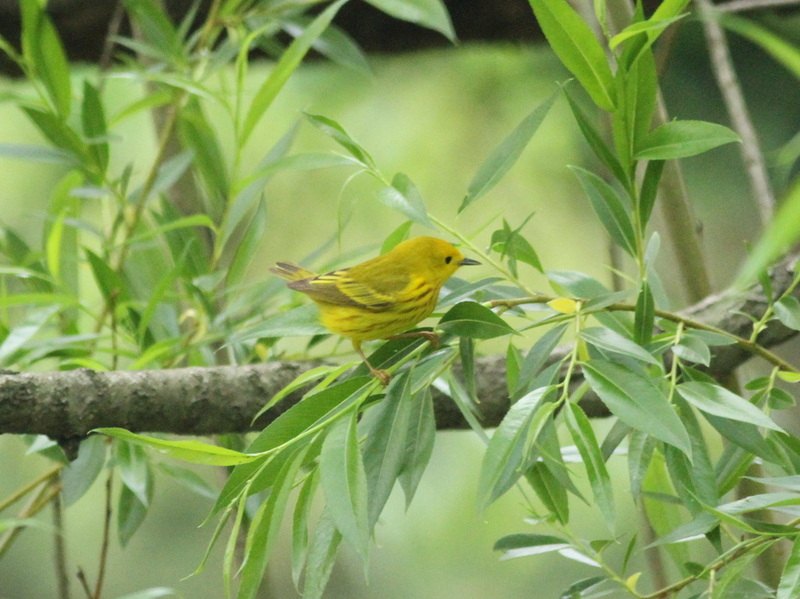 The Yellow Warbler makes a small nest in a bush or tree. 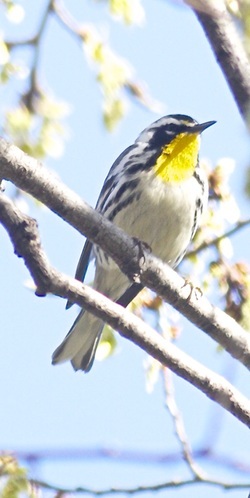 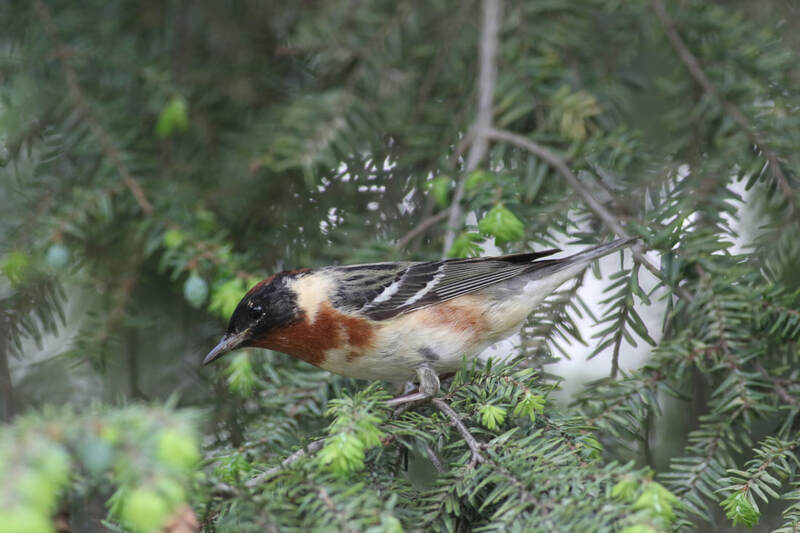 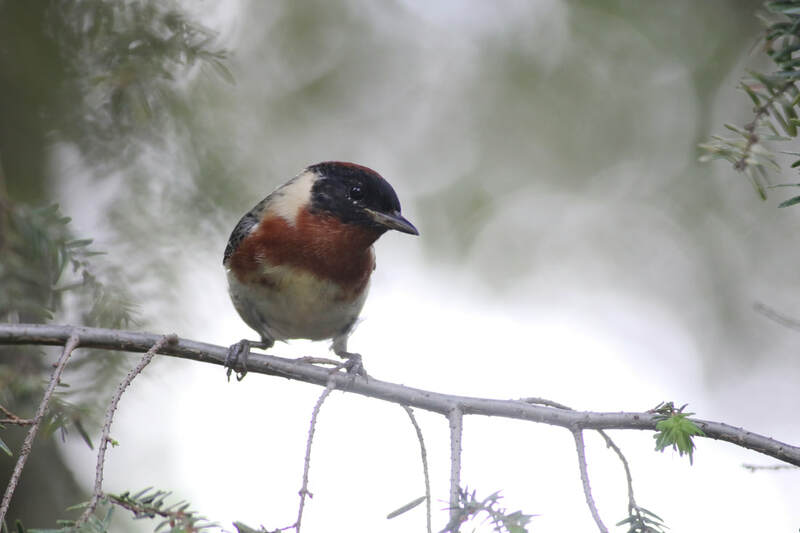 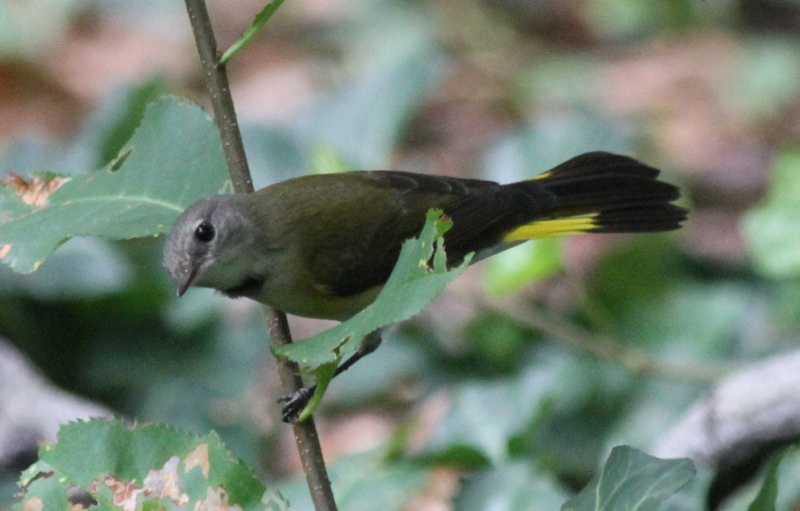 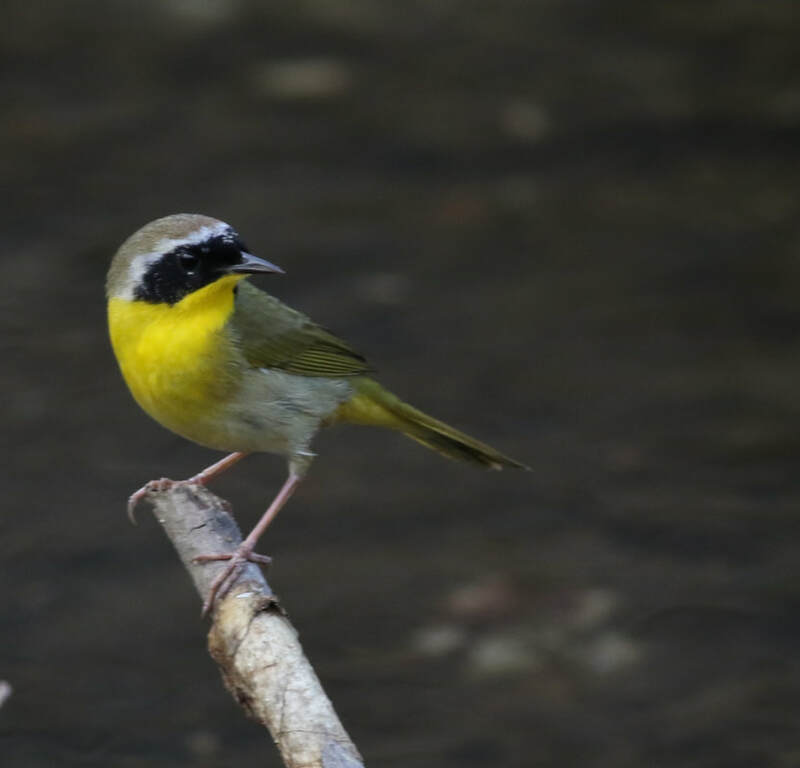 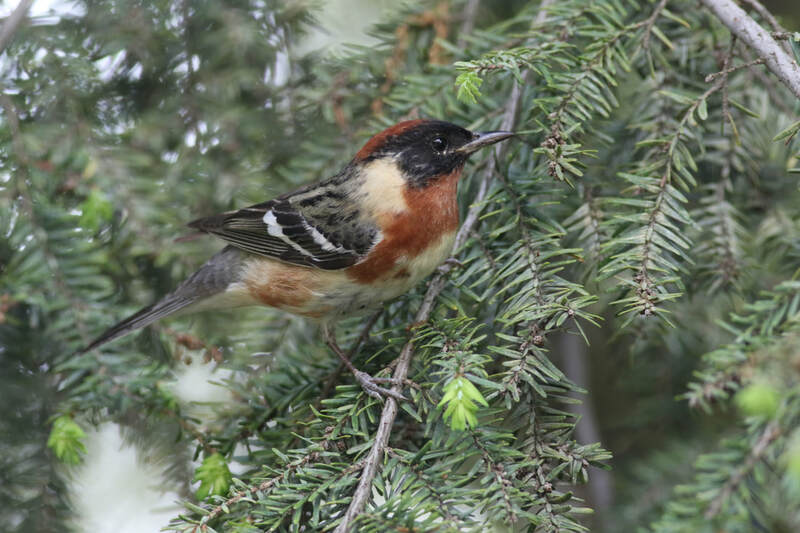 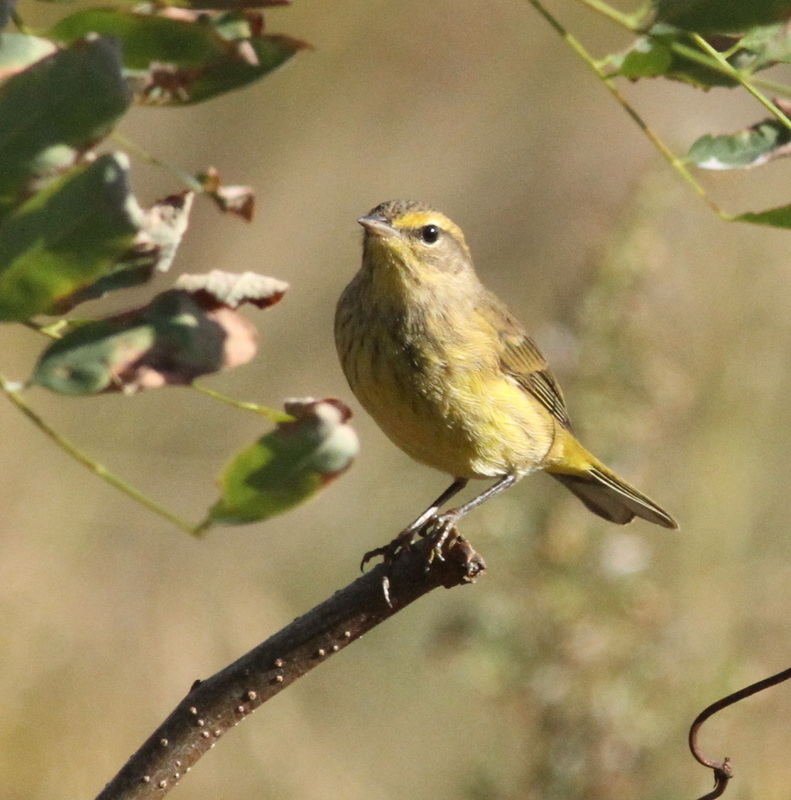 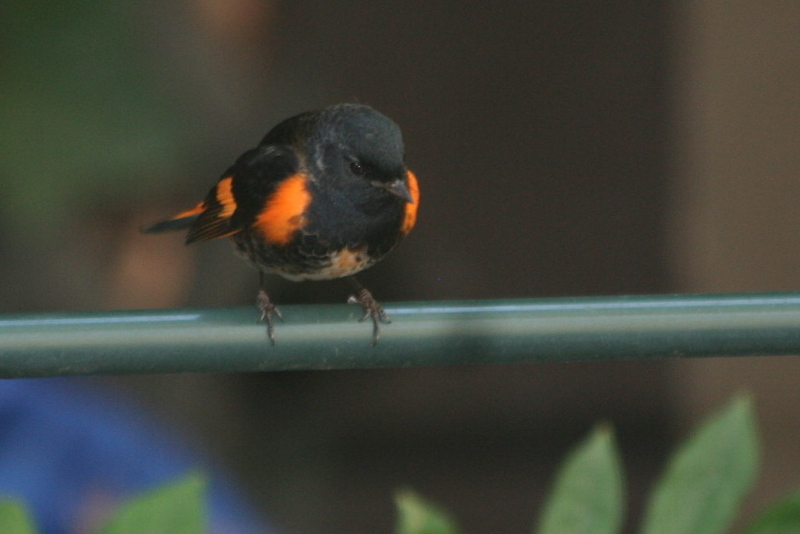 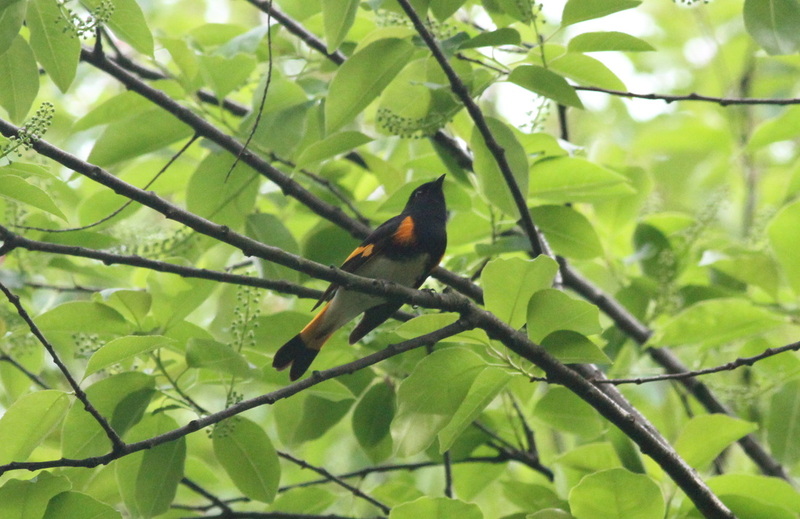 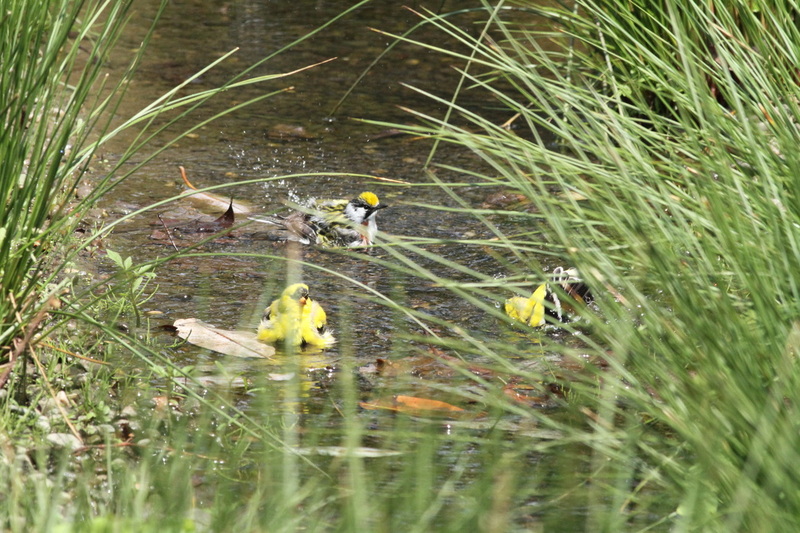 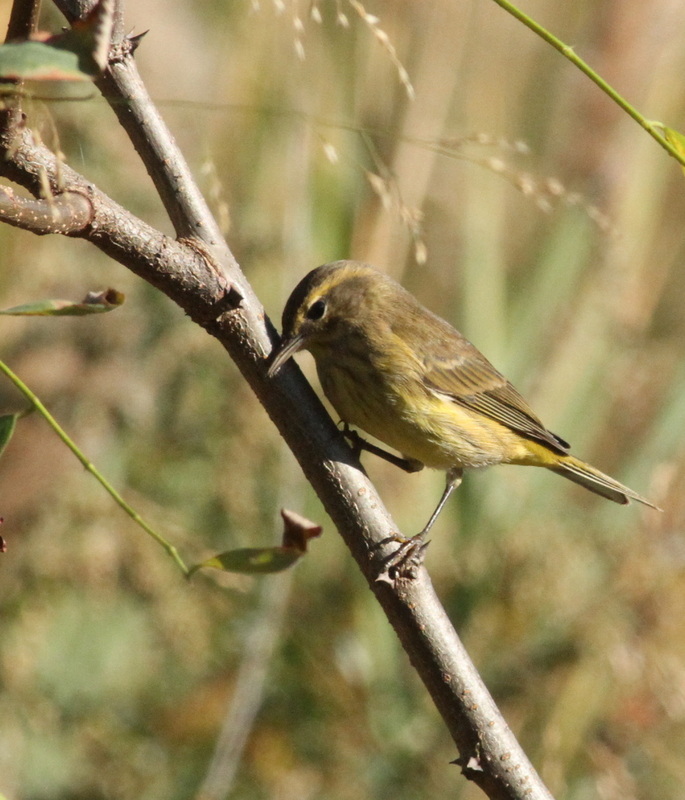 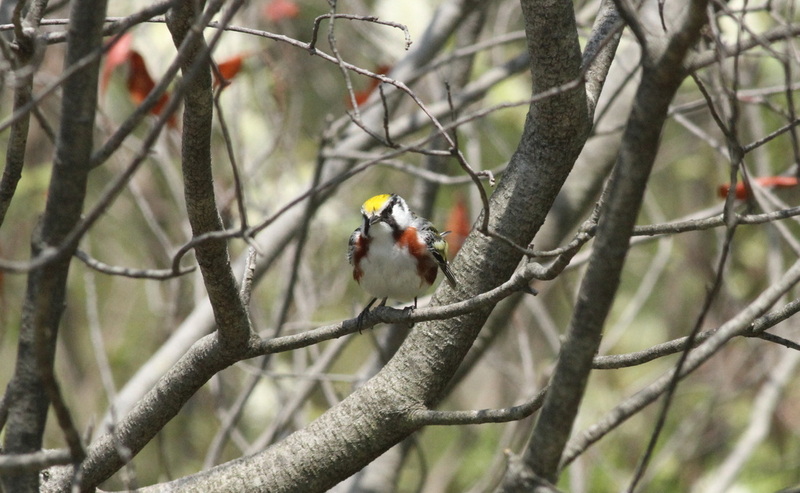 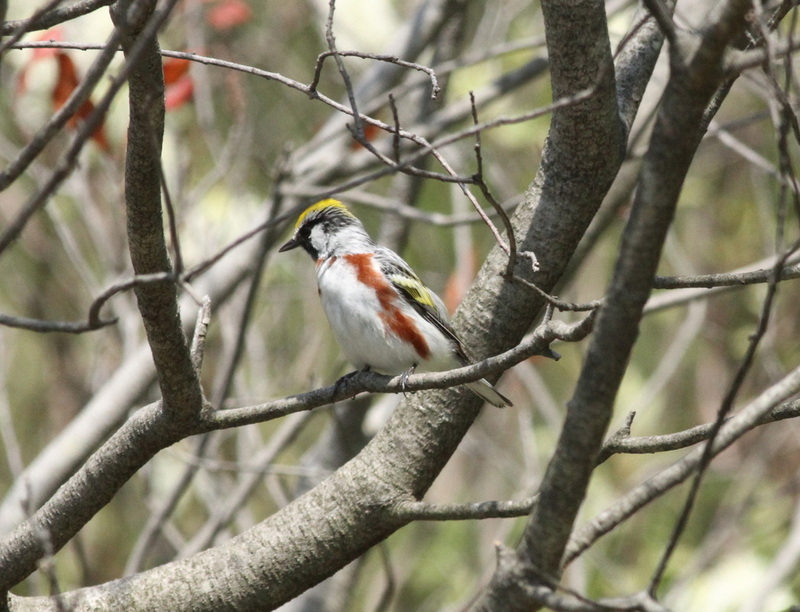 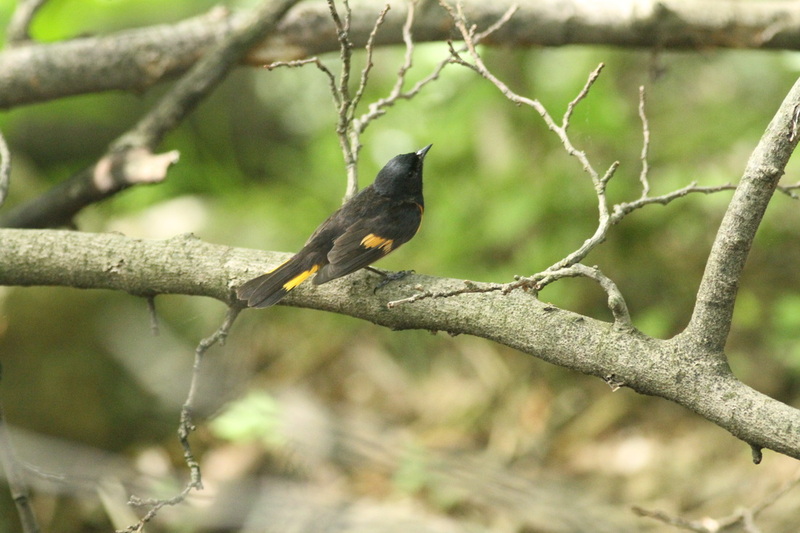 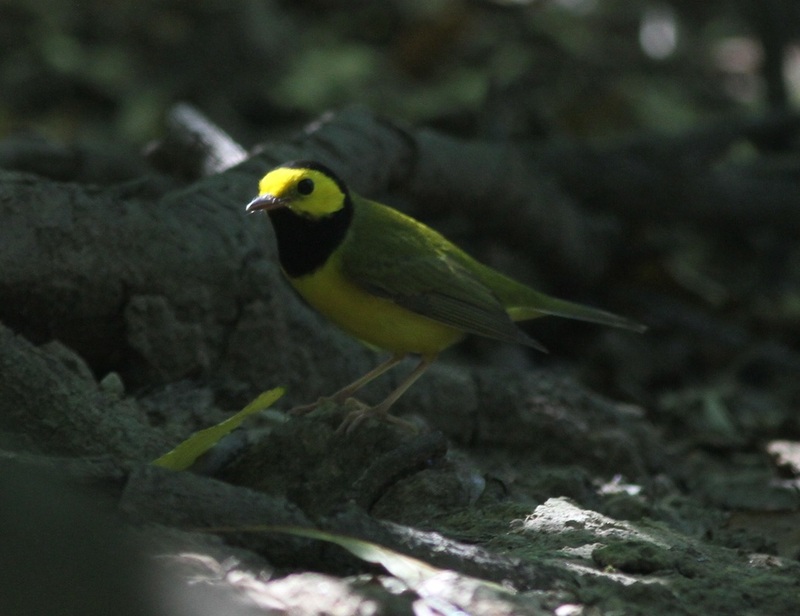 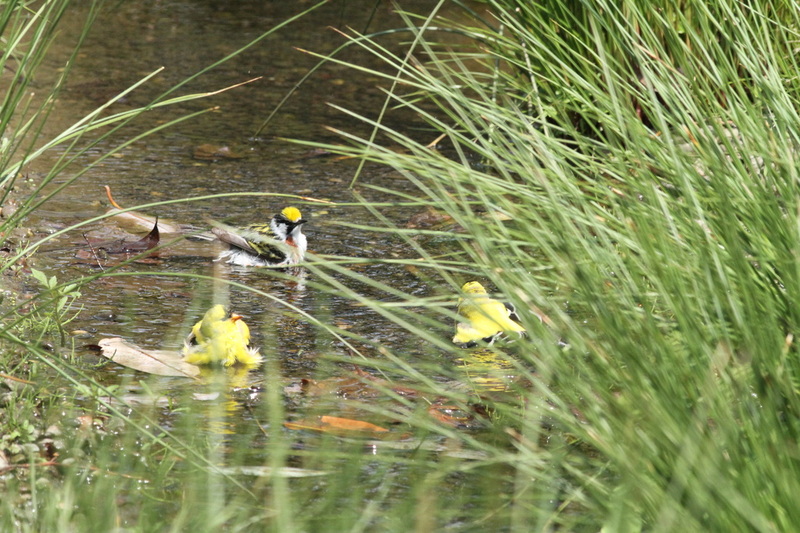 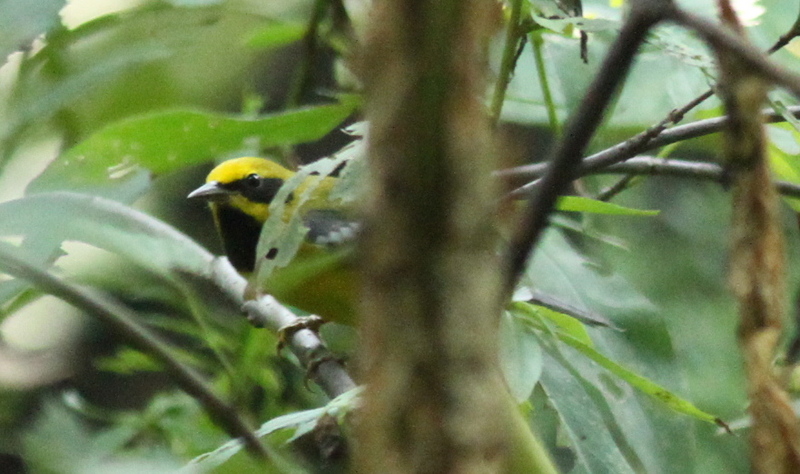 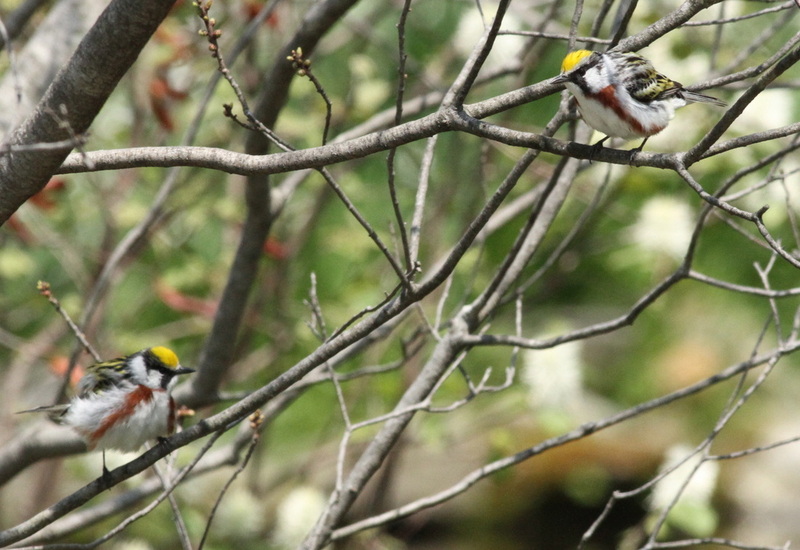 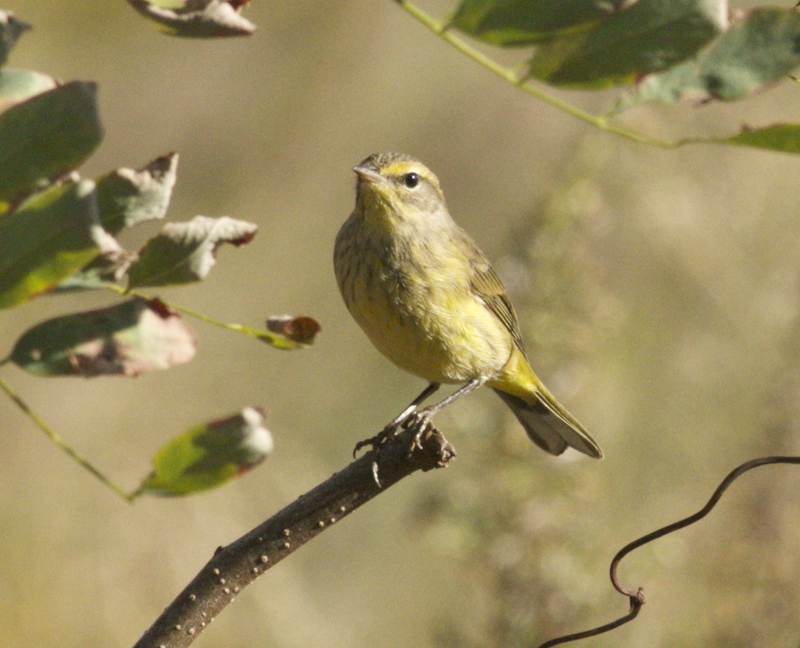 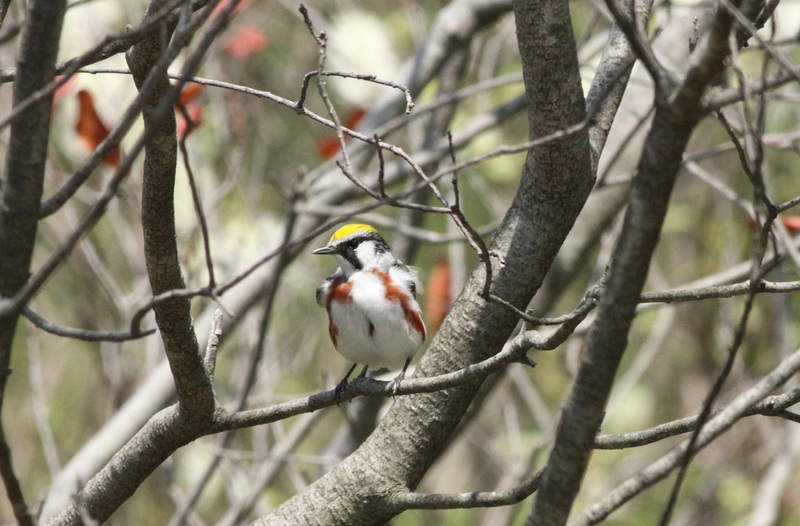 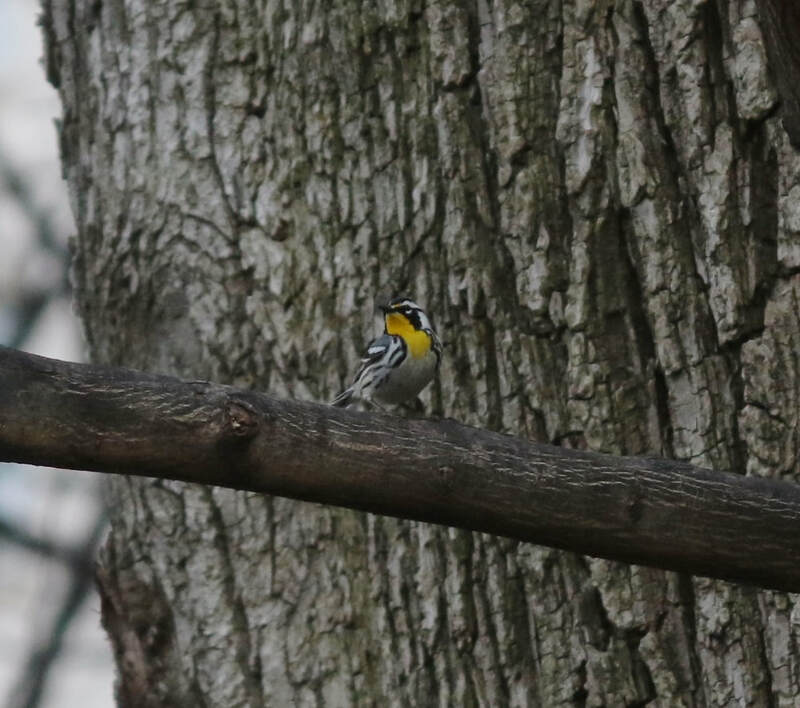 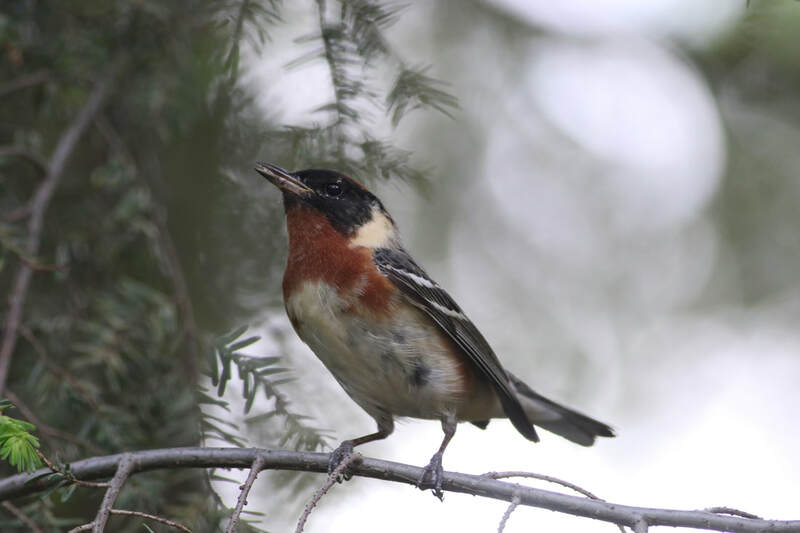 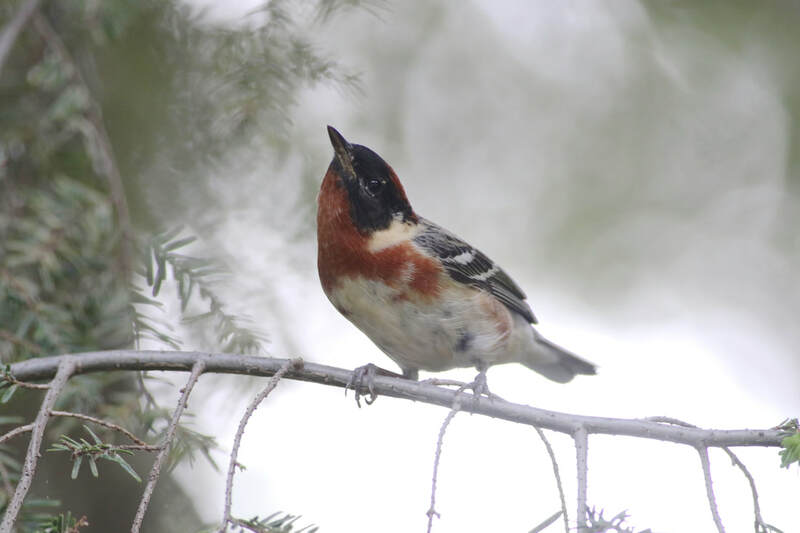 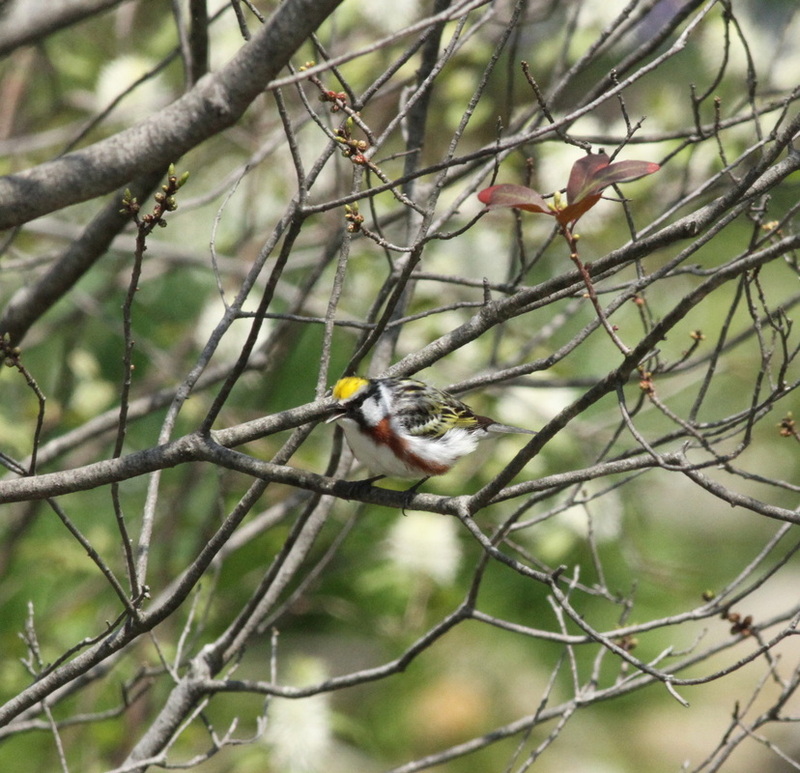 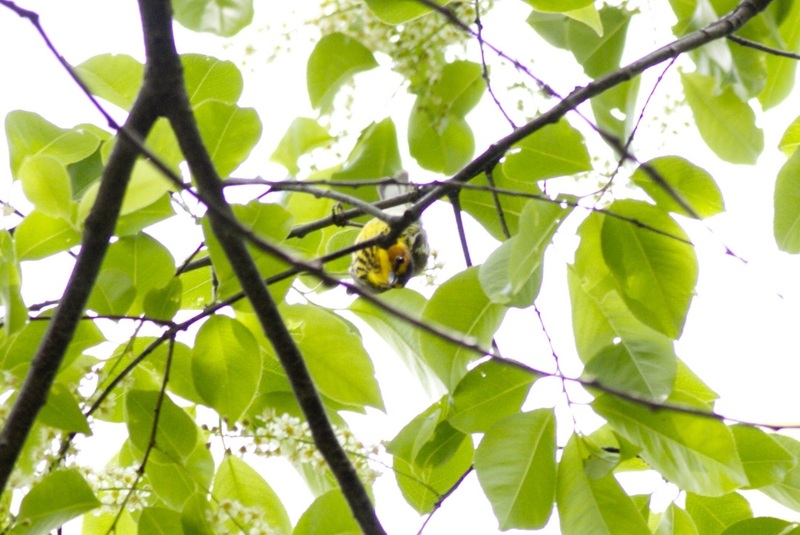 The male is yellow with bold red stripes on his chest. 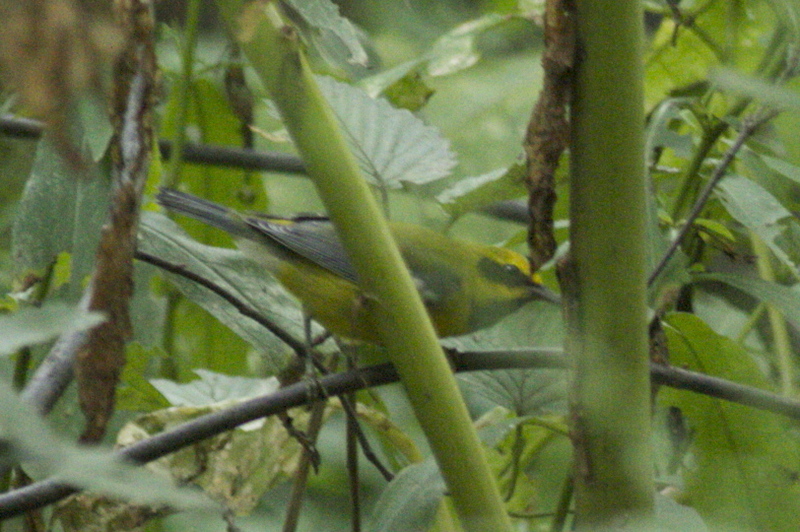 The female is all yellow. 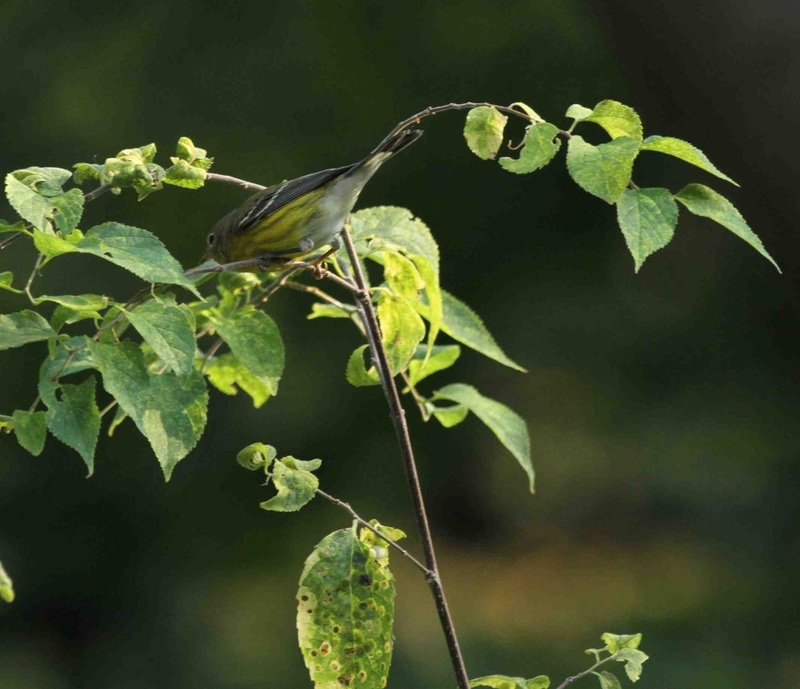 They eat insects and caterpillars and forage through trees to catch these protein rich morsels. 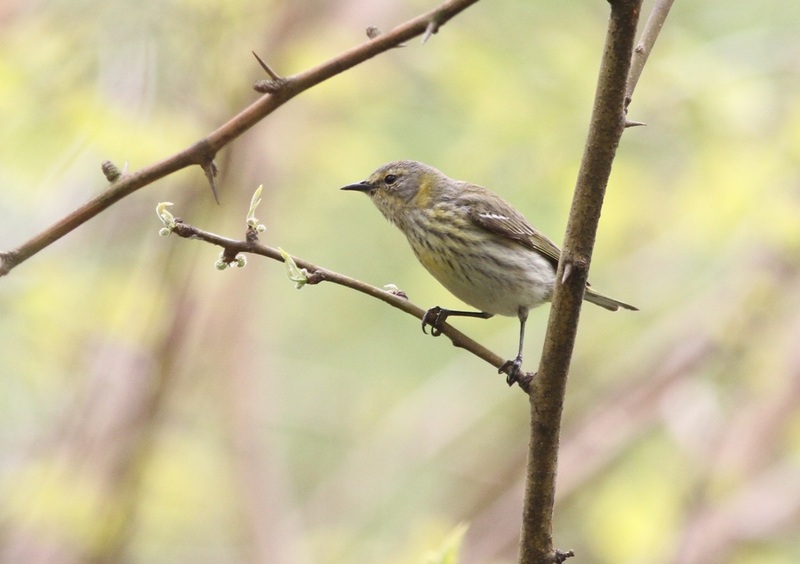 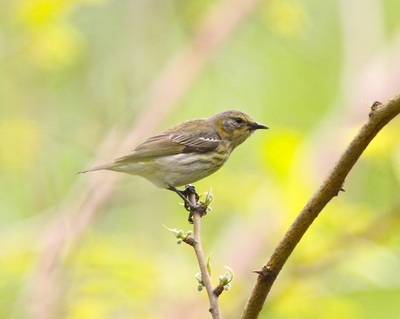 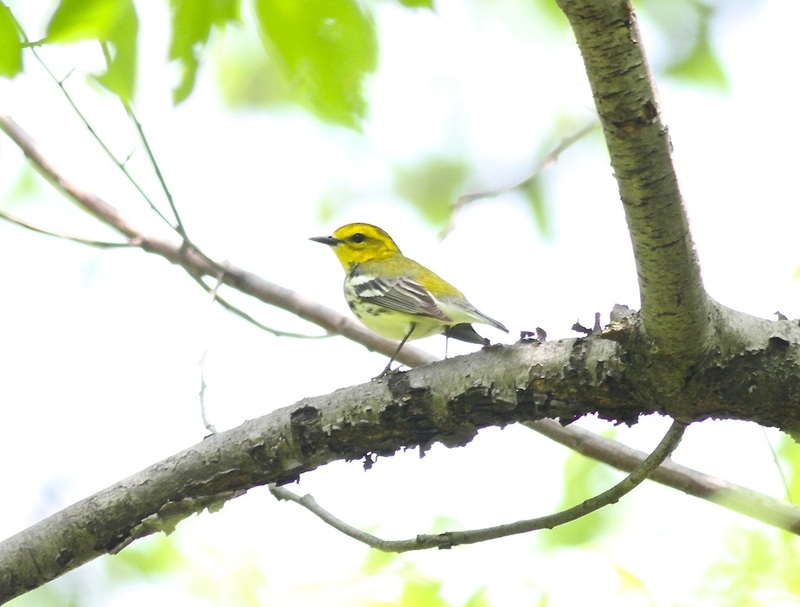 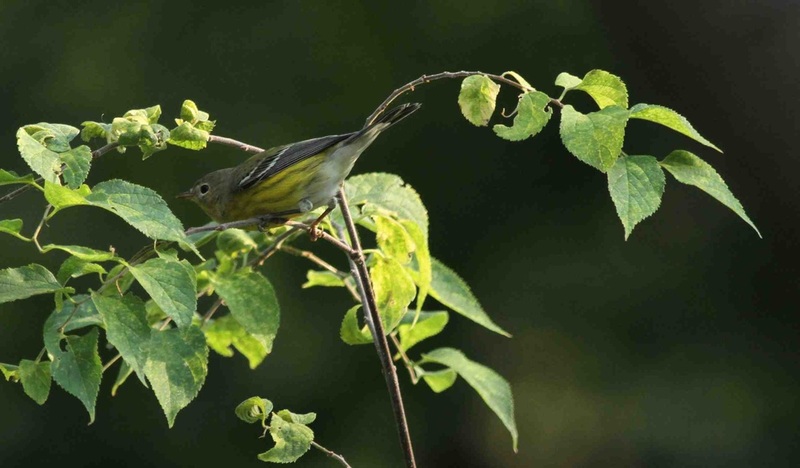 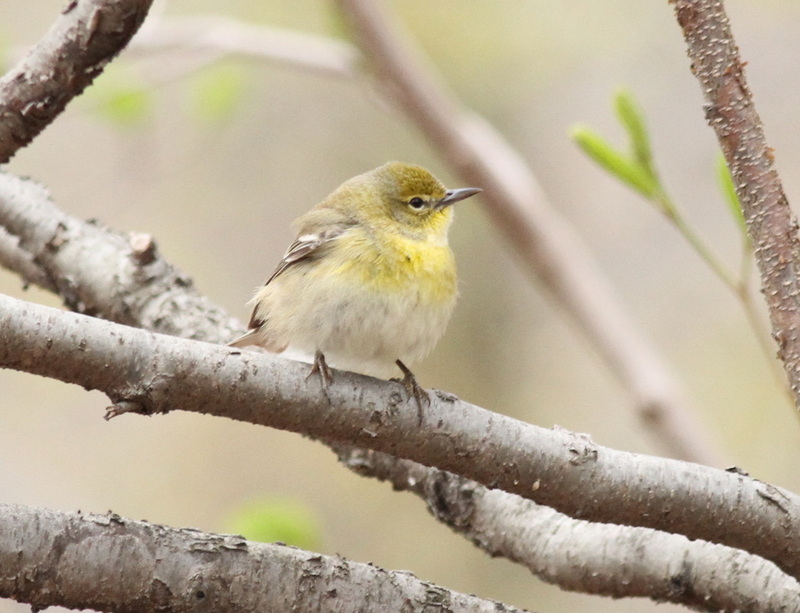 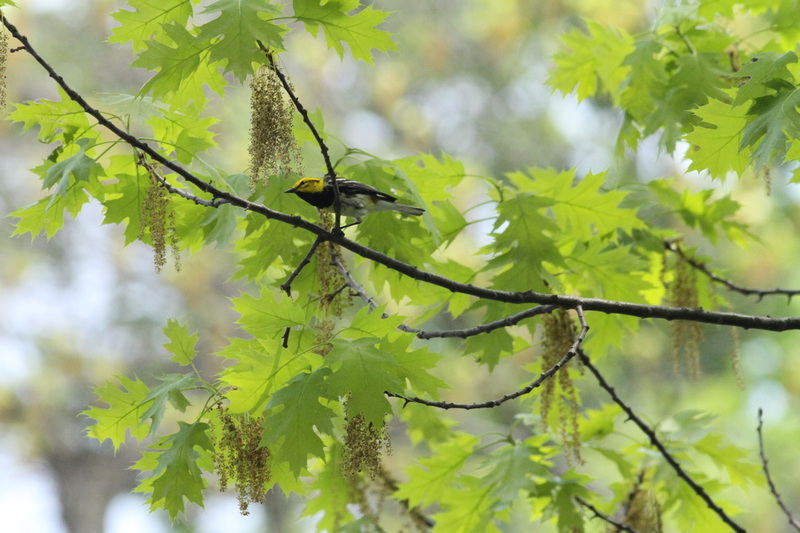 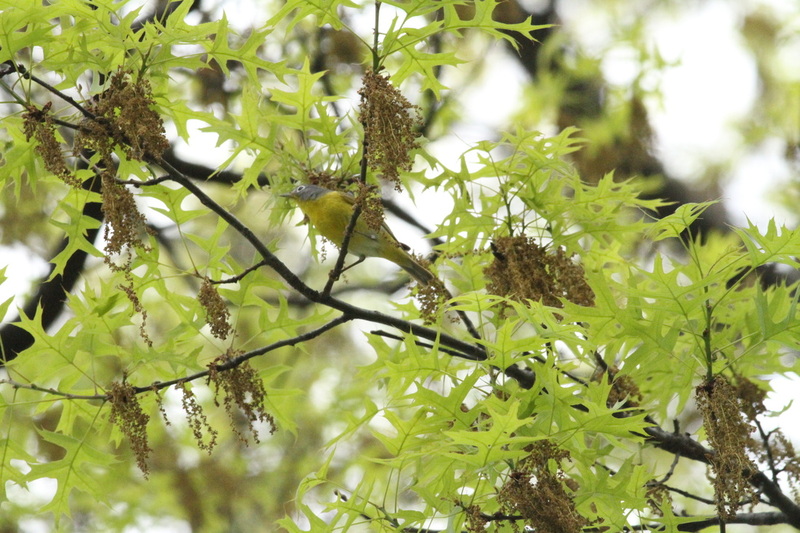 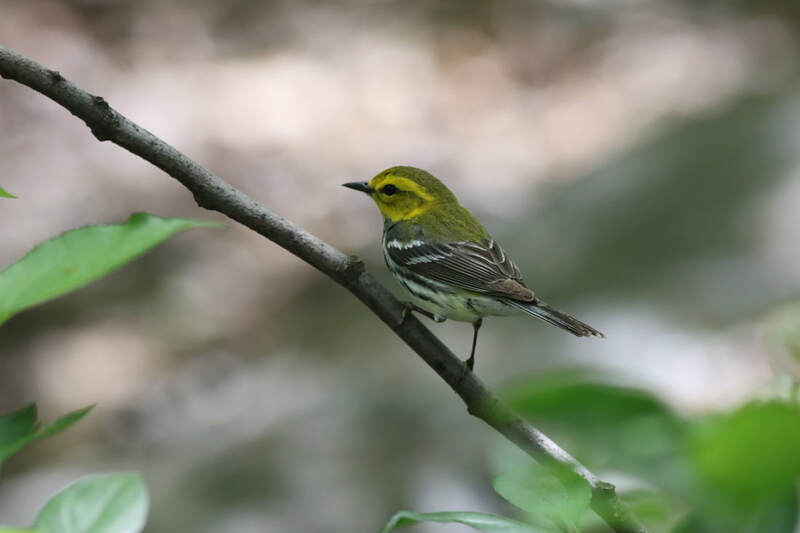 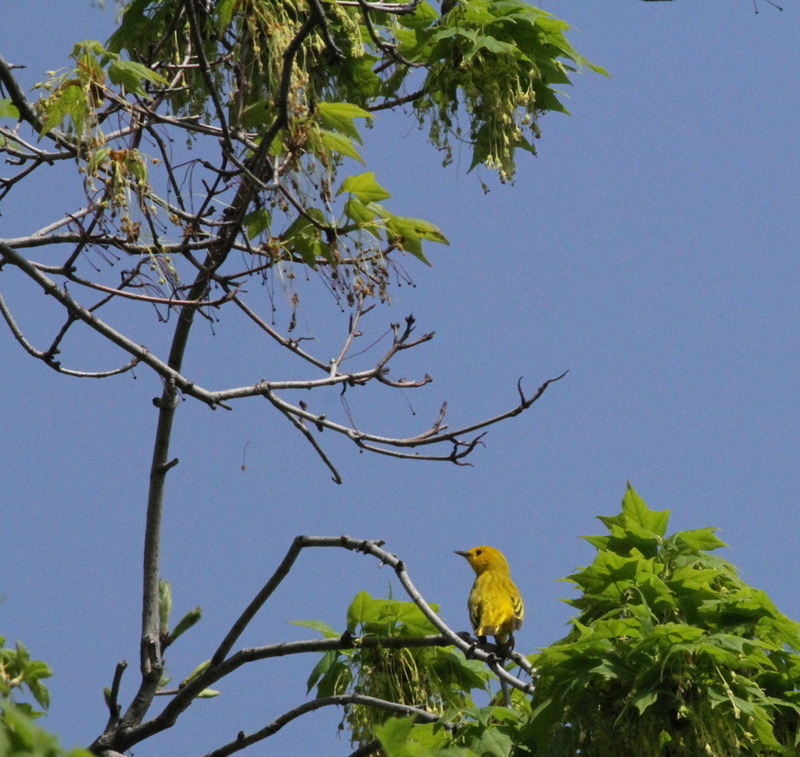 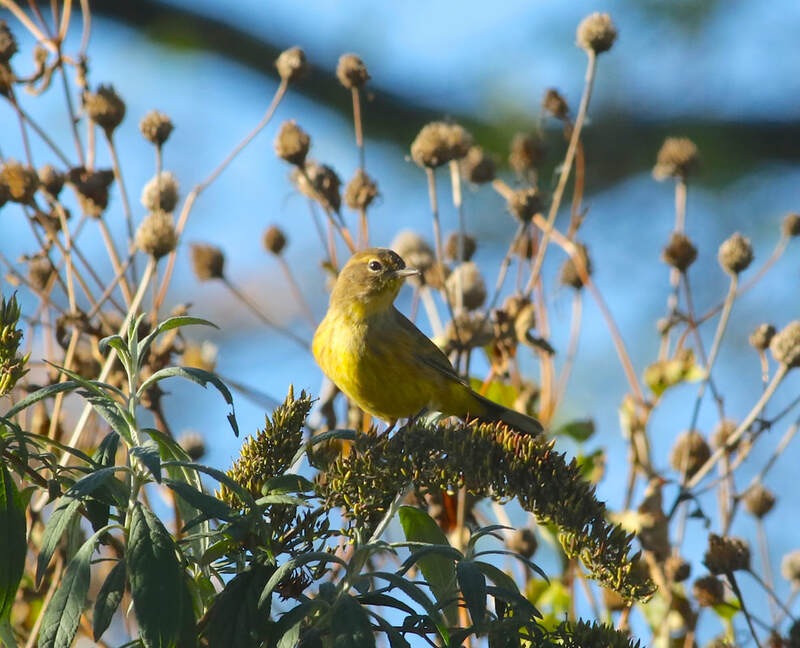 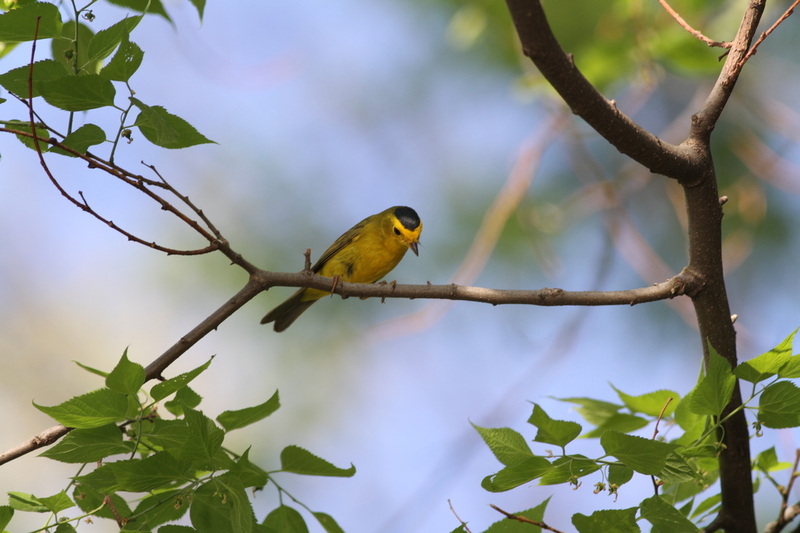 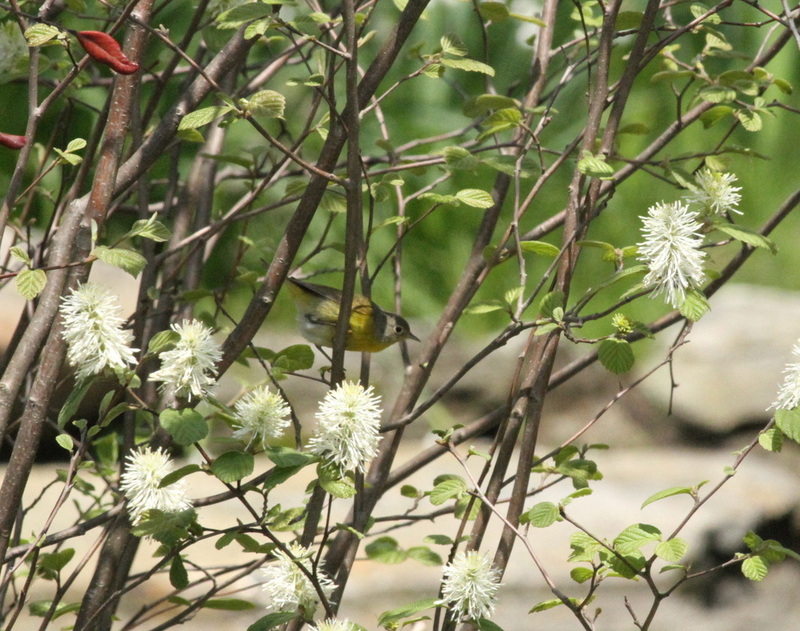 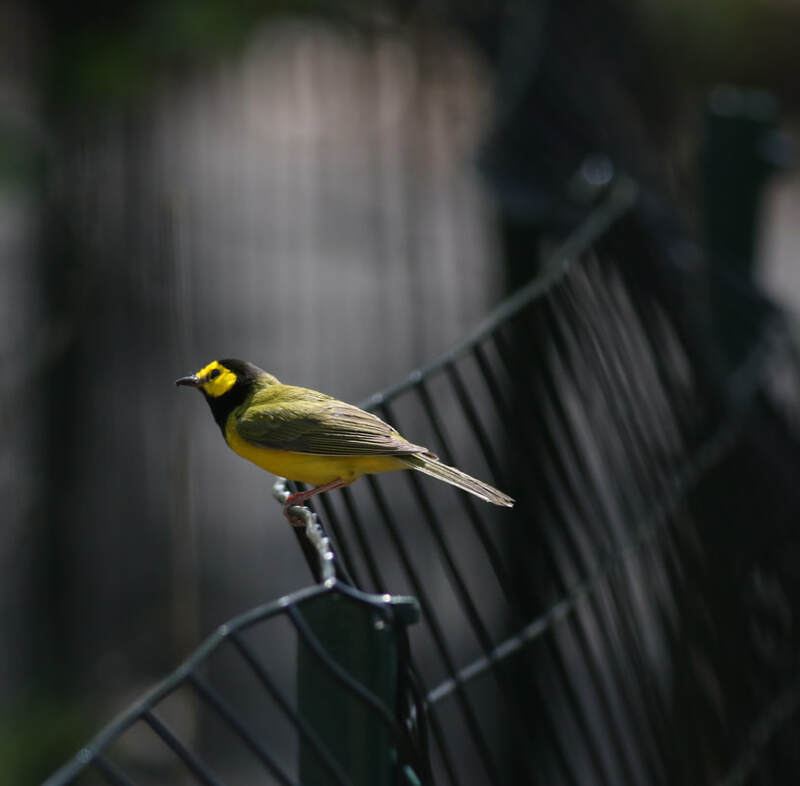 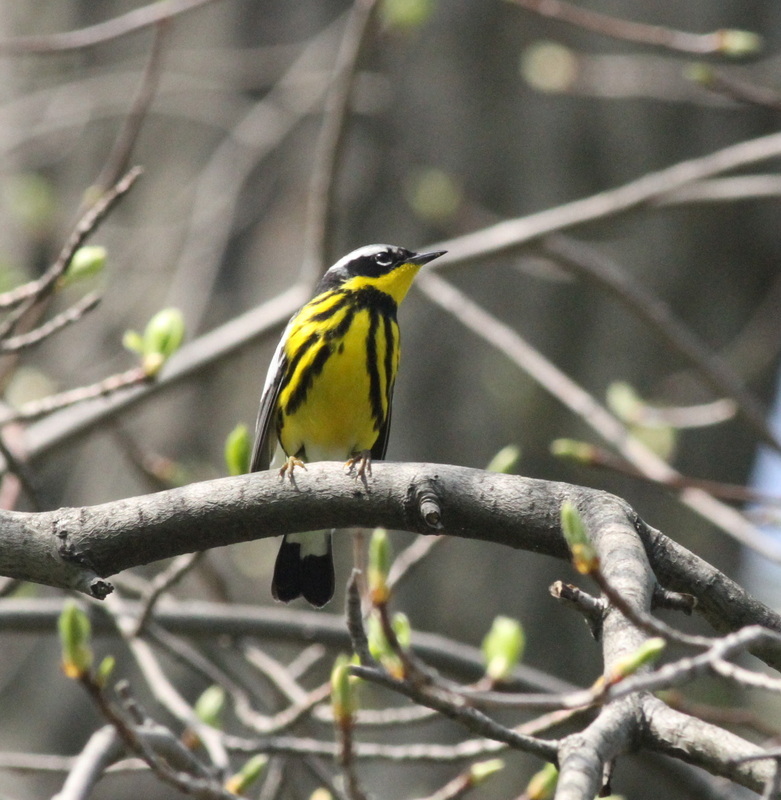 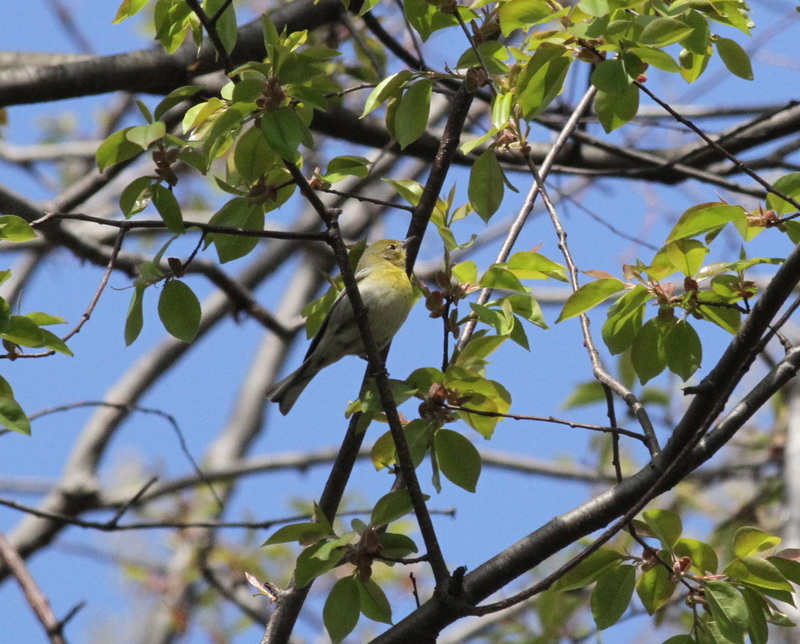 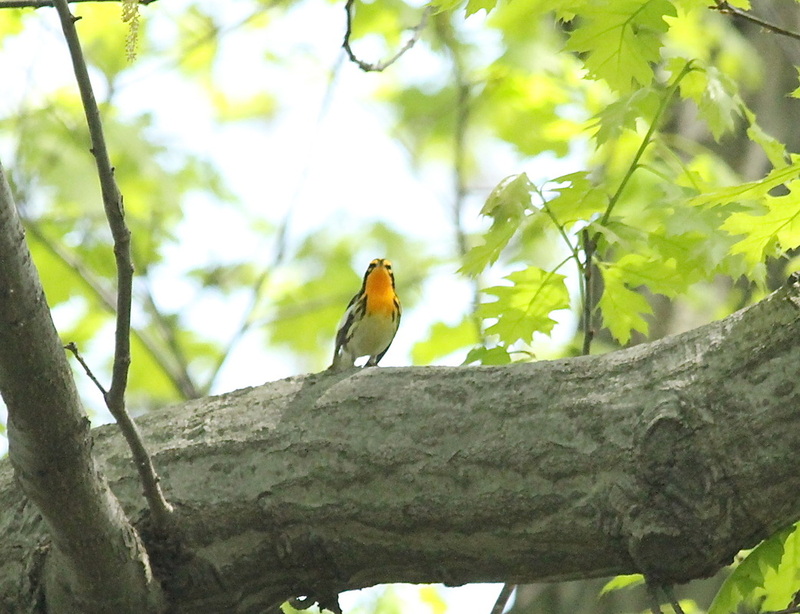 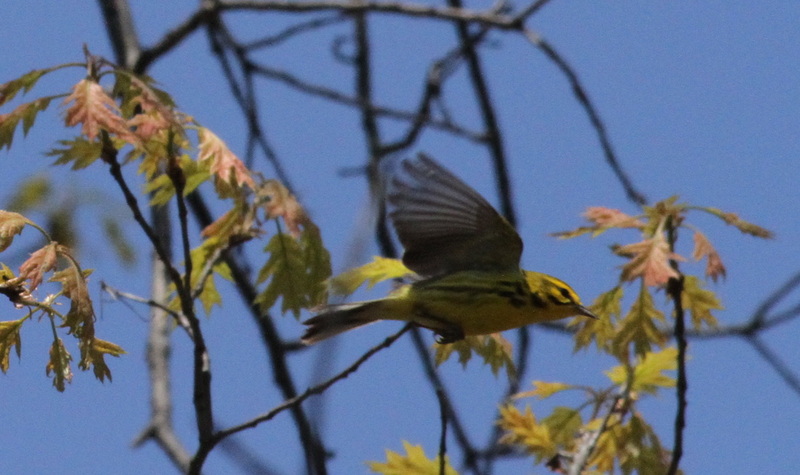 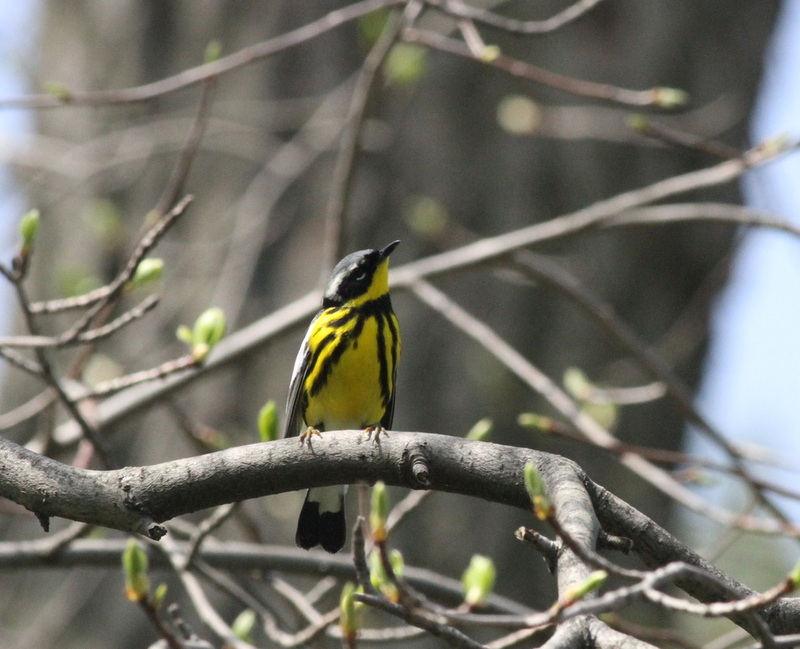 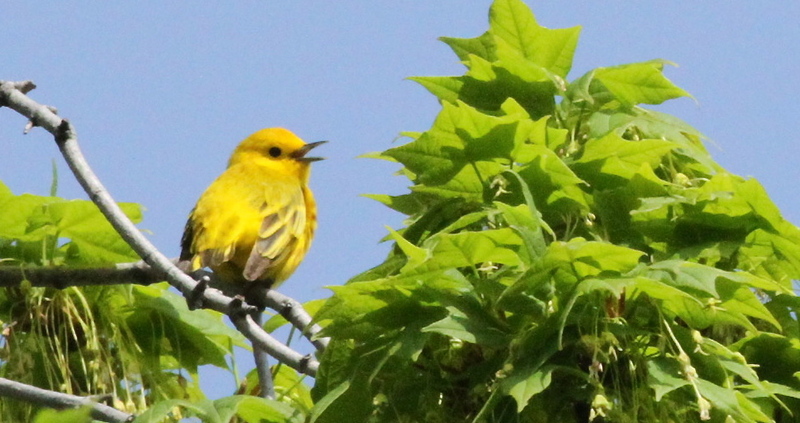 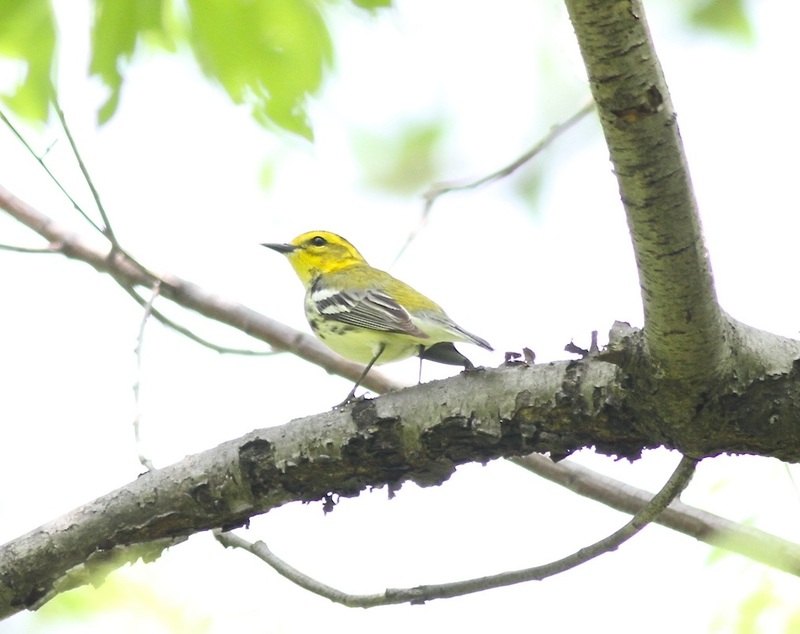 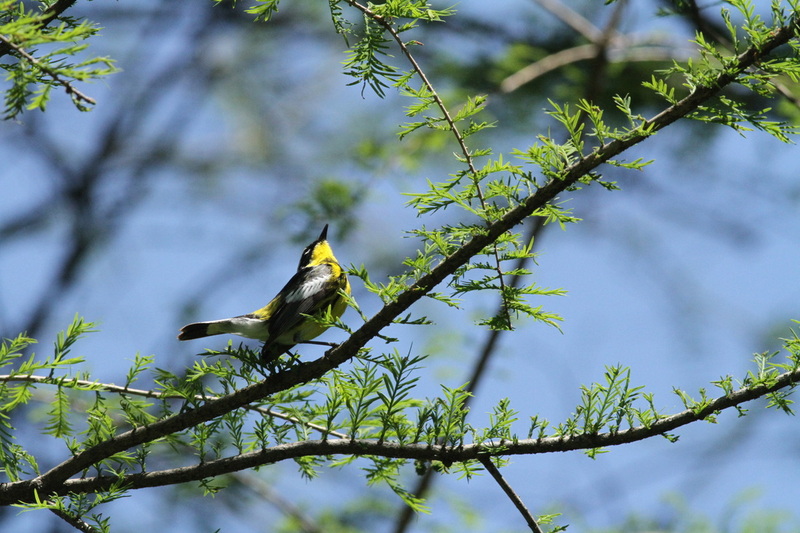 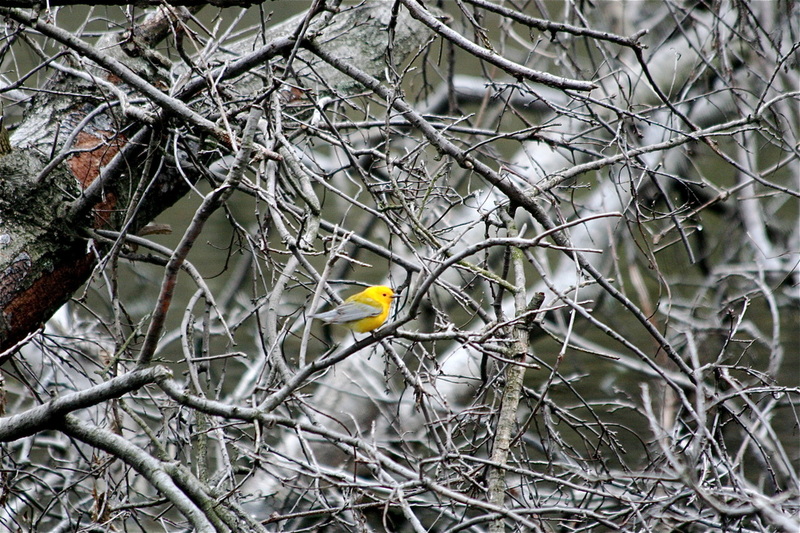 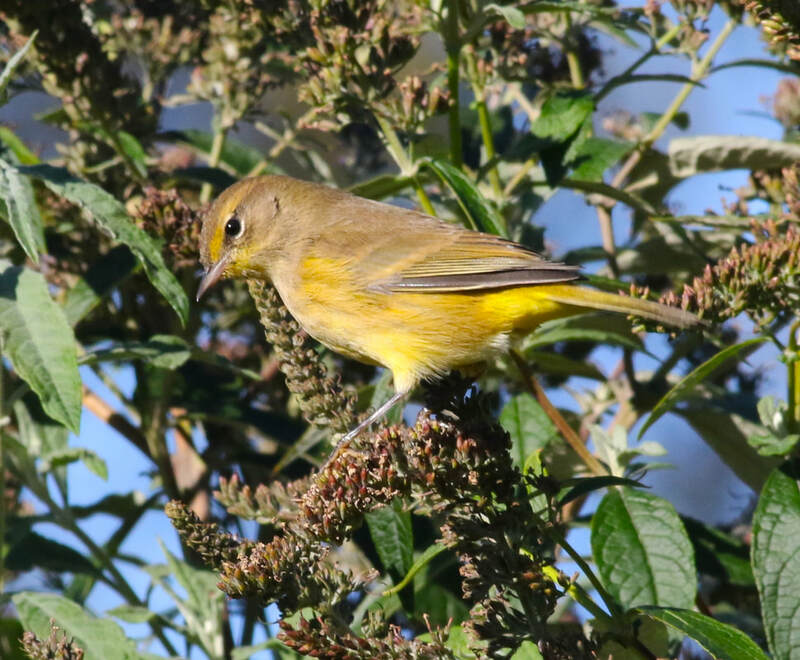 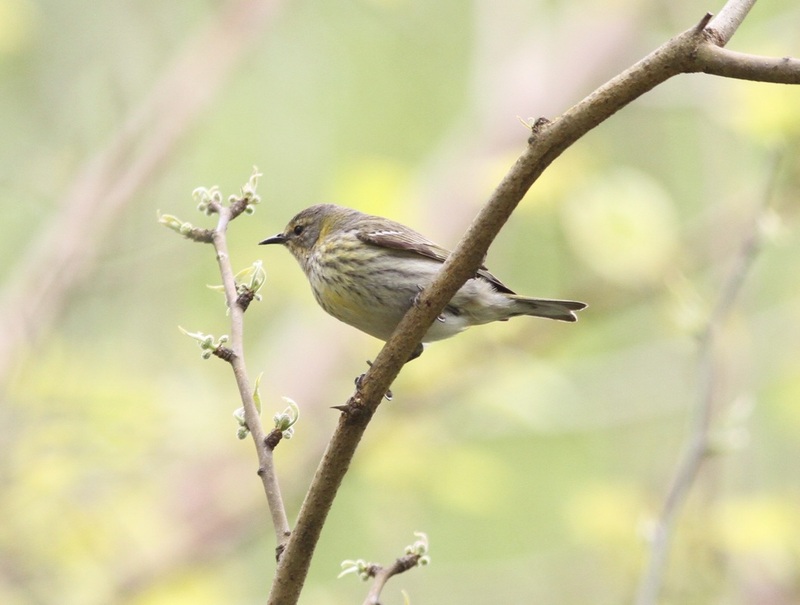 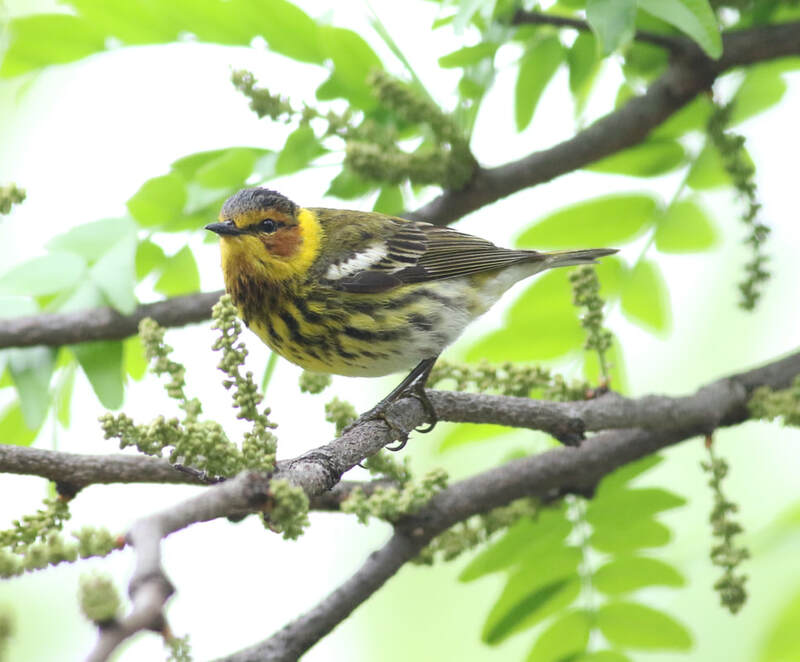 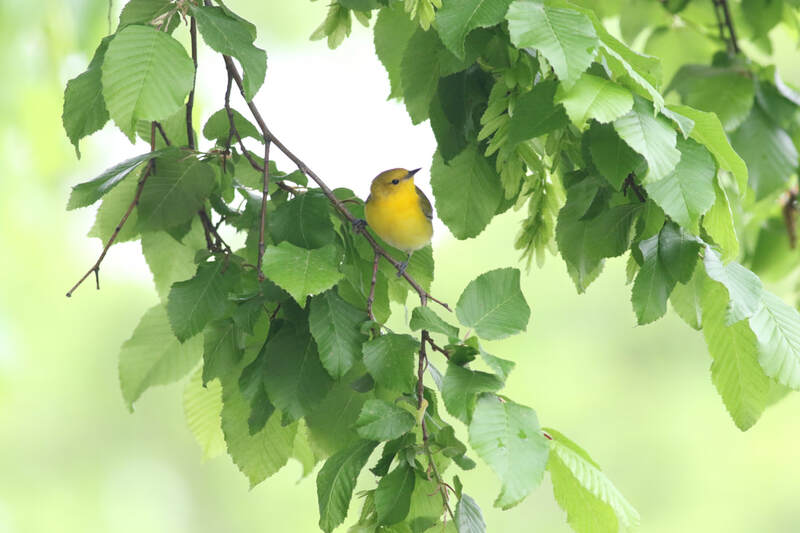 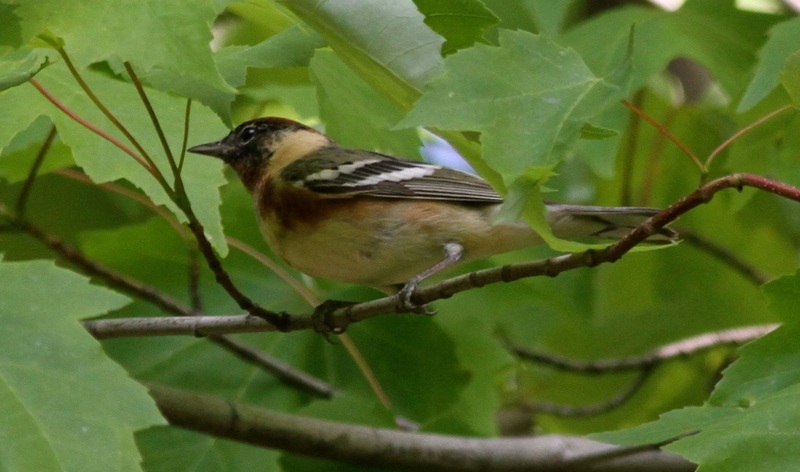 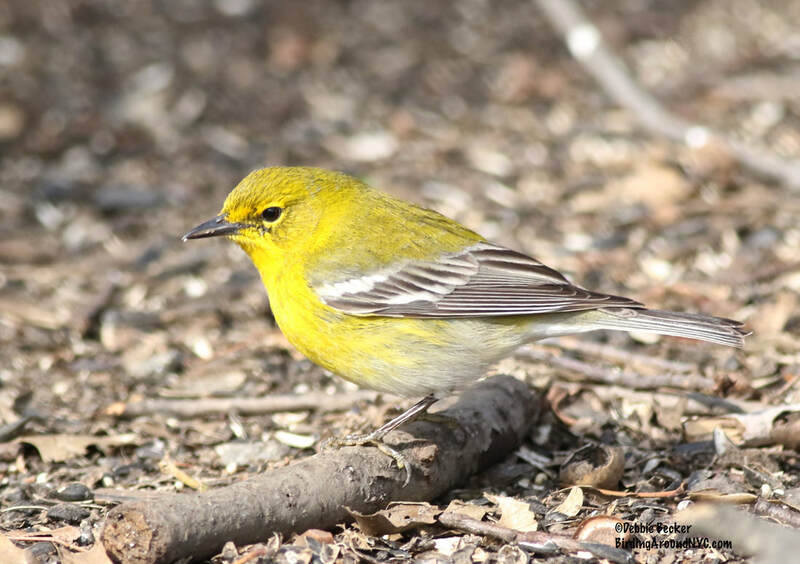 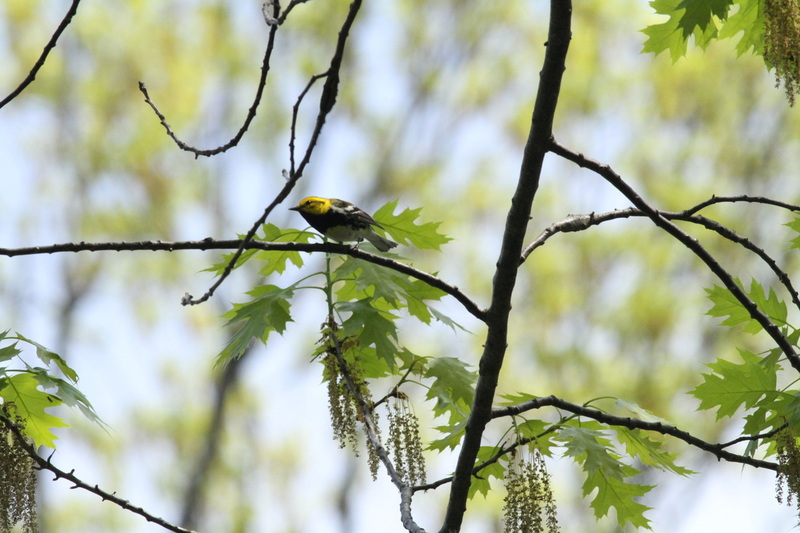 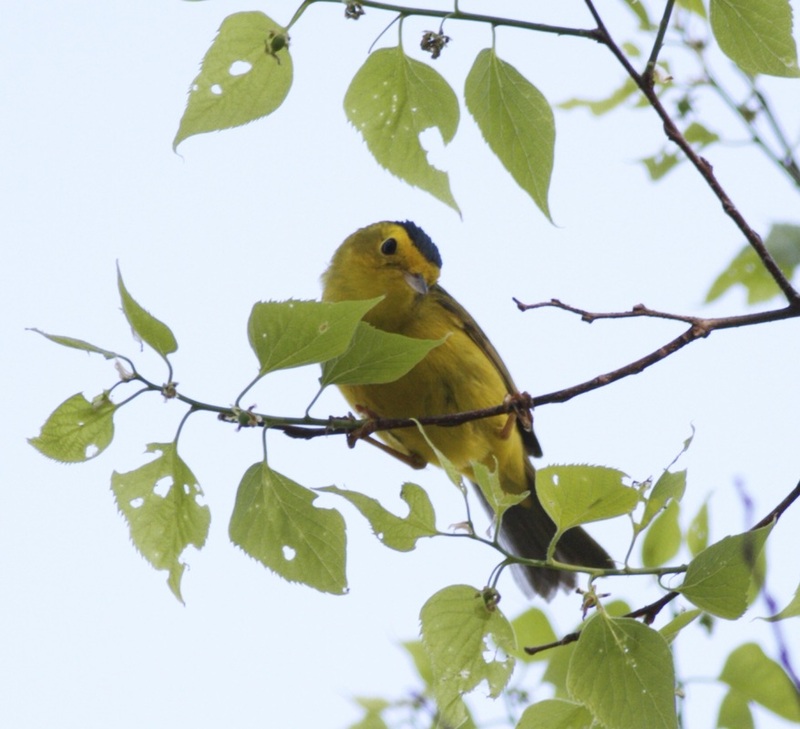 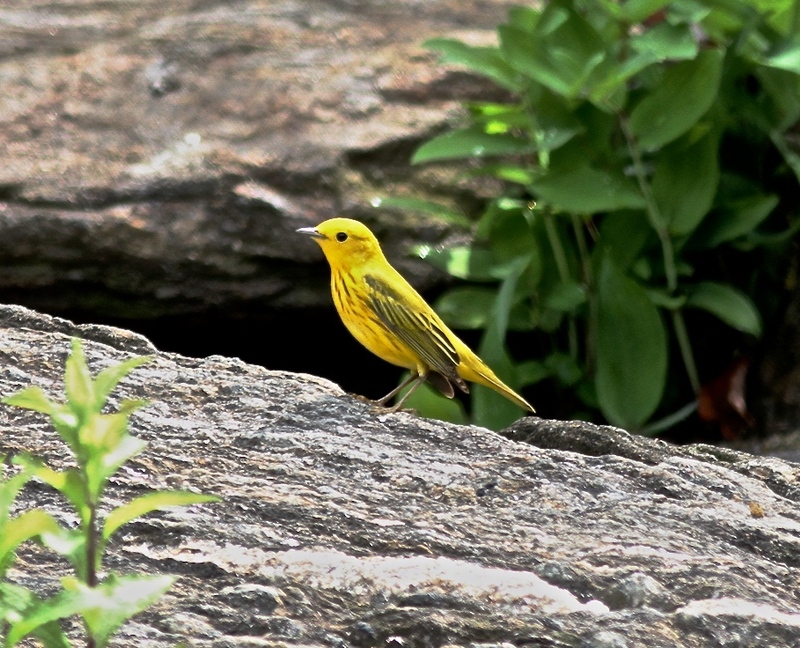 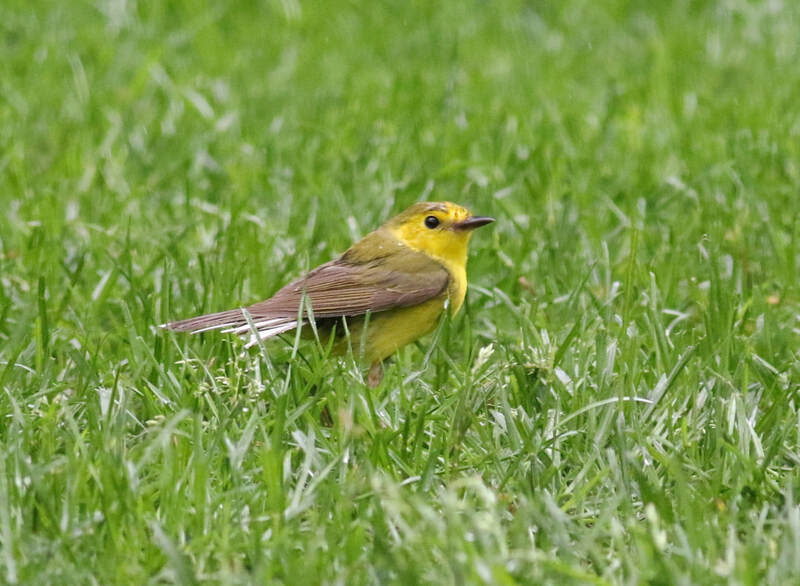 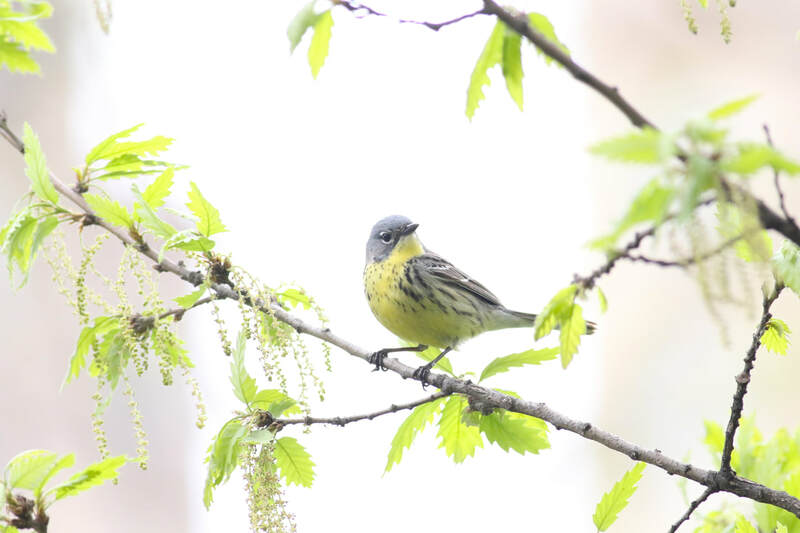 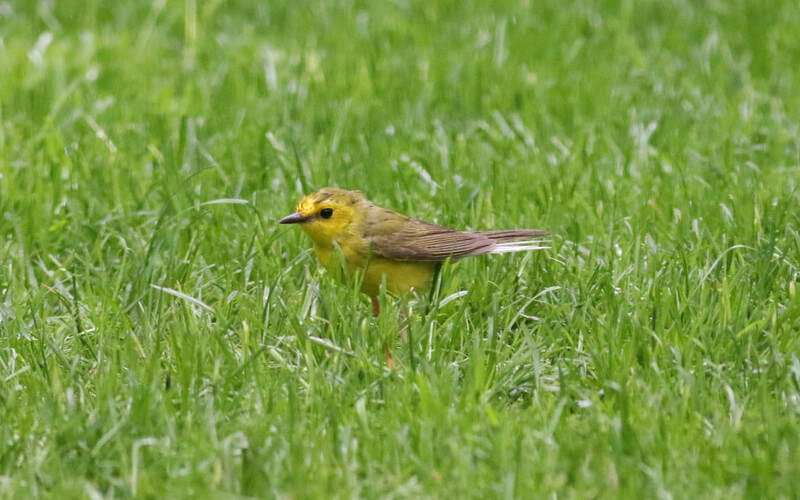 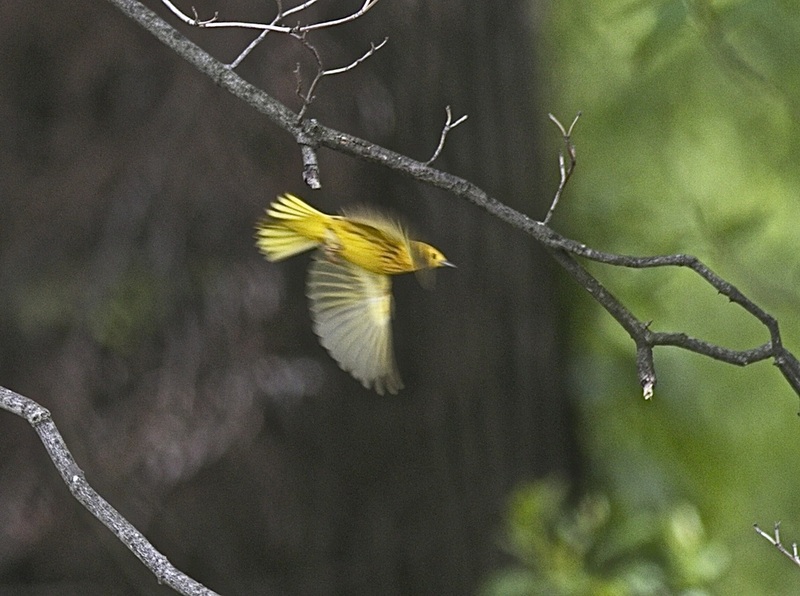 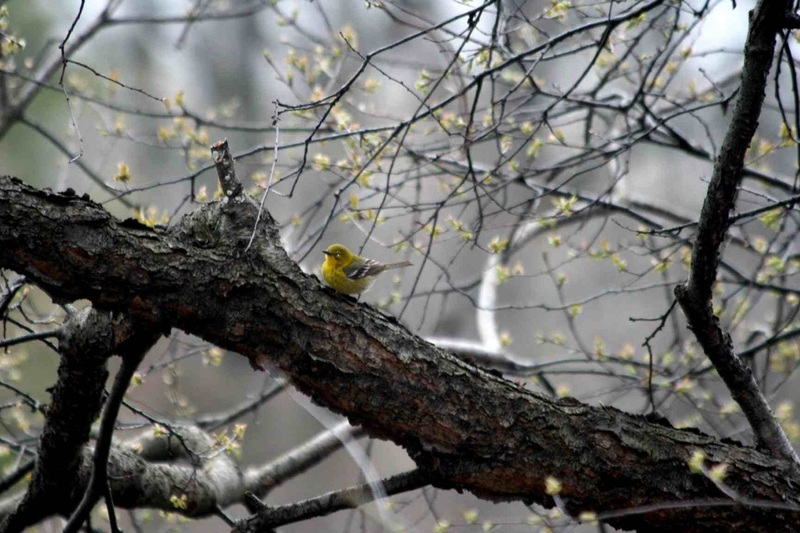 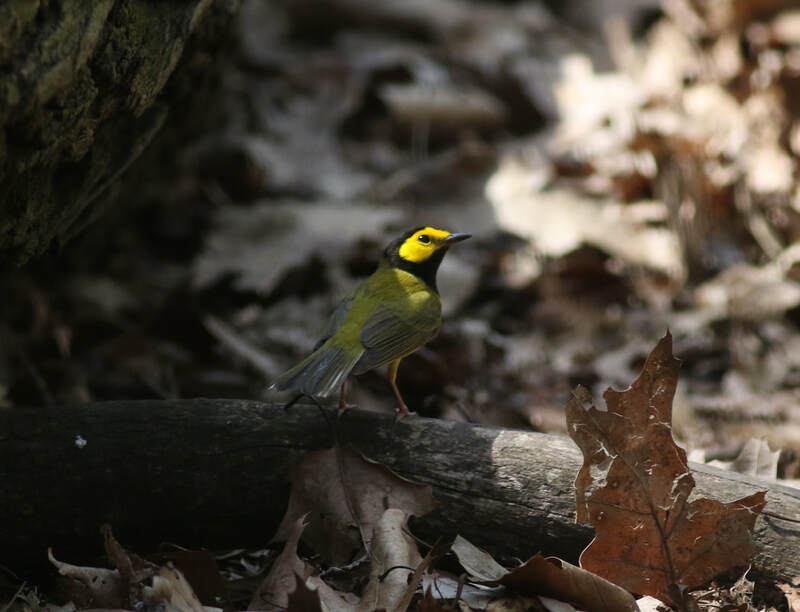 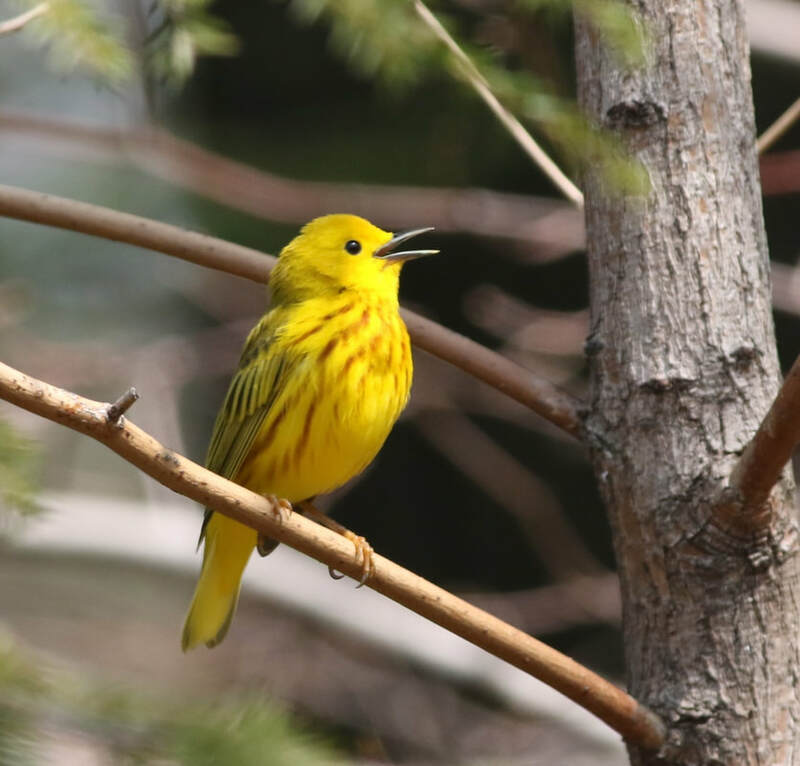 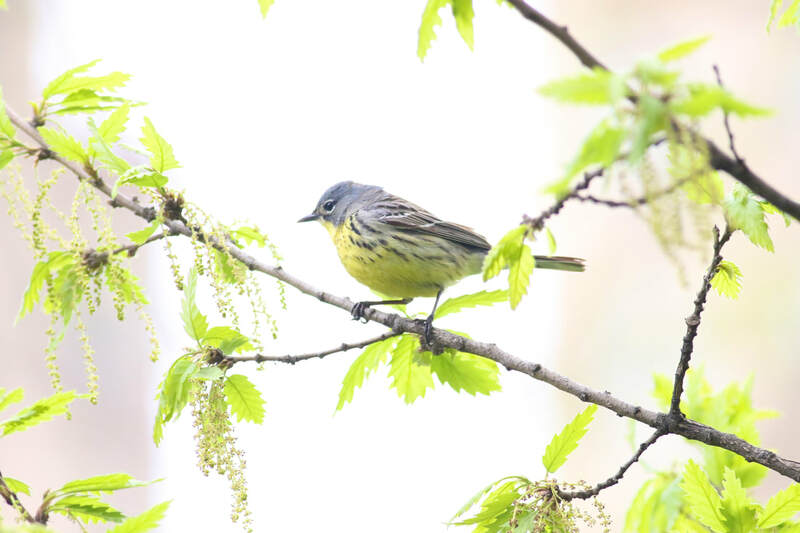 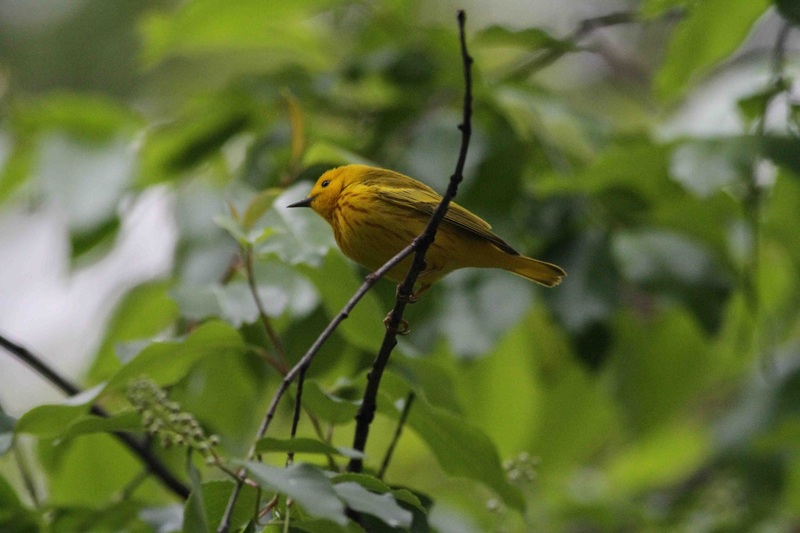 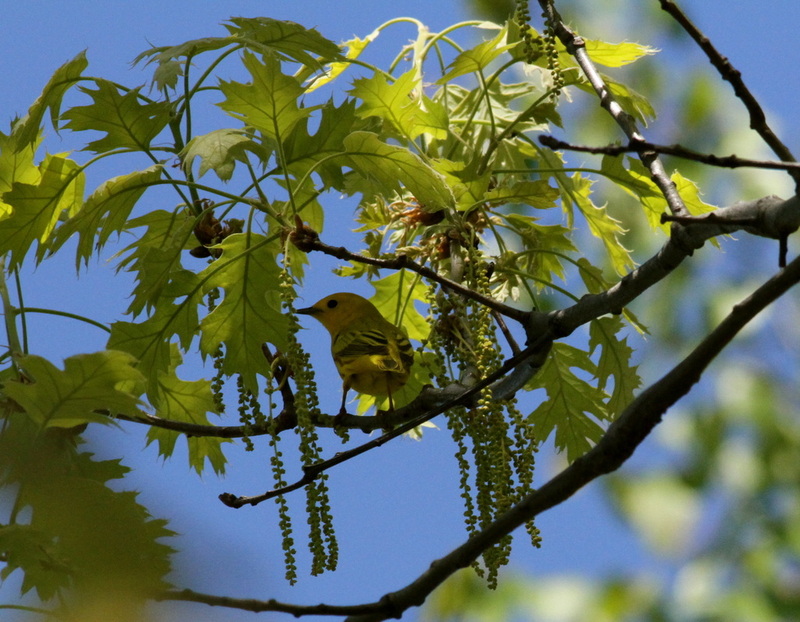 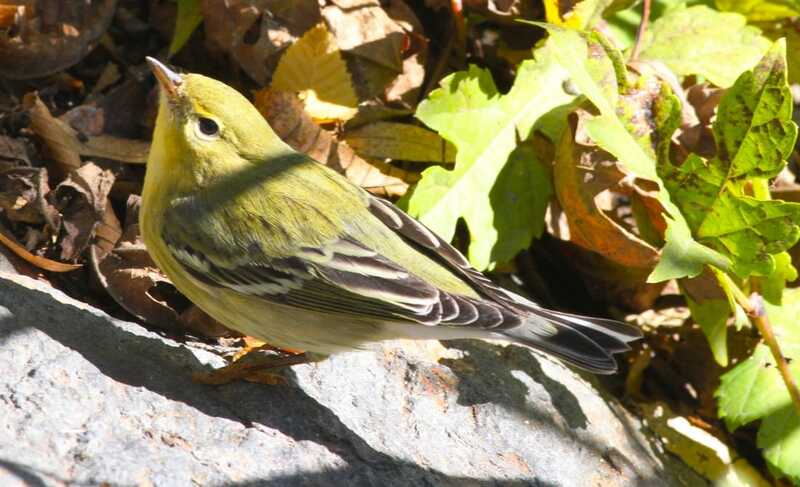 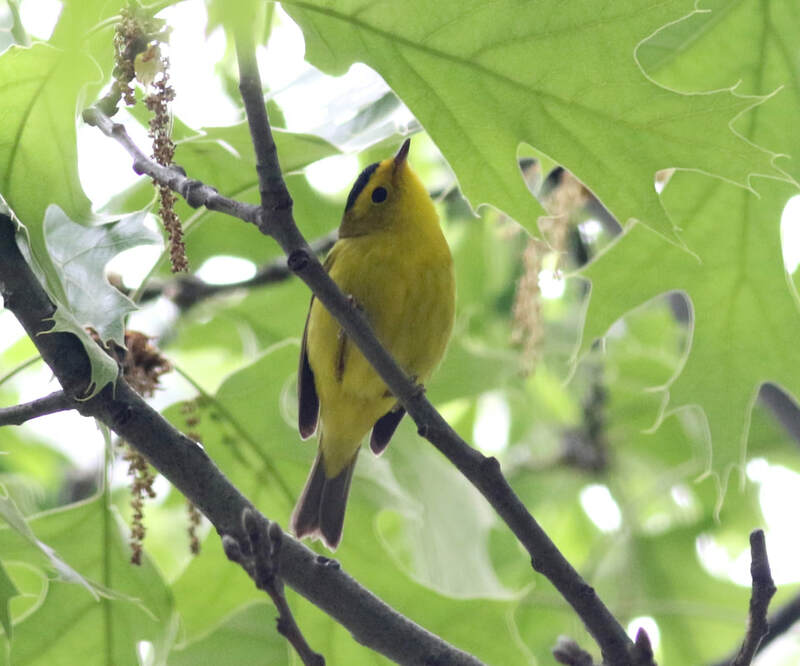 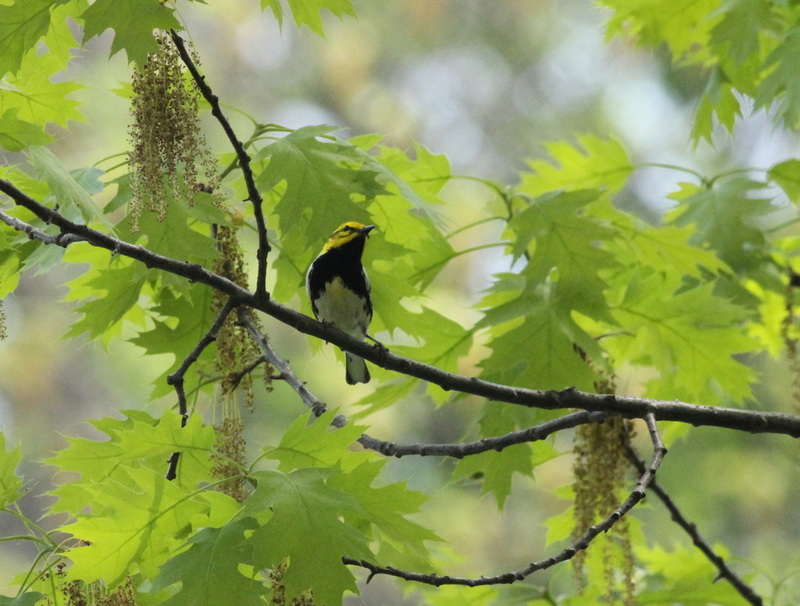 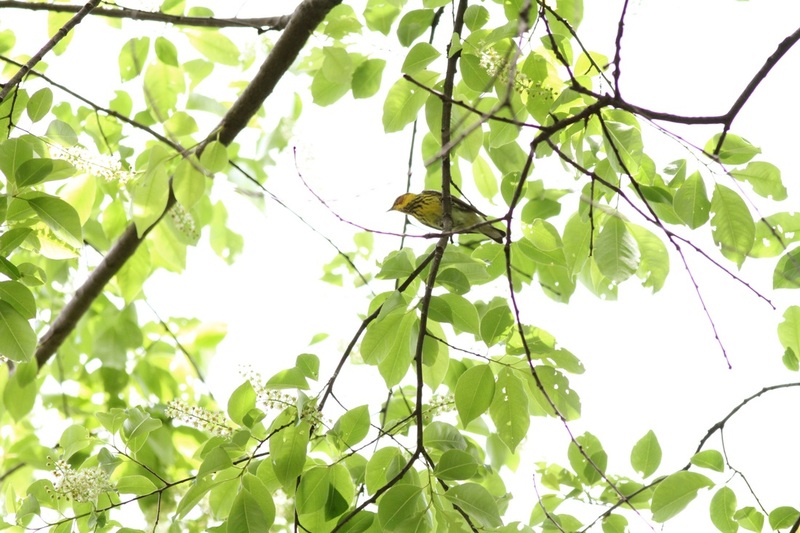 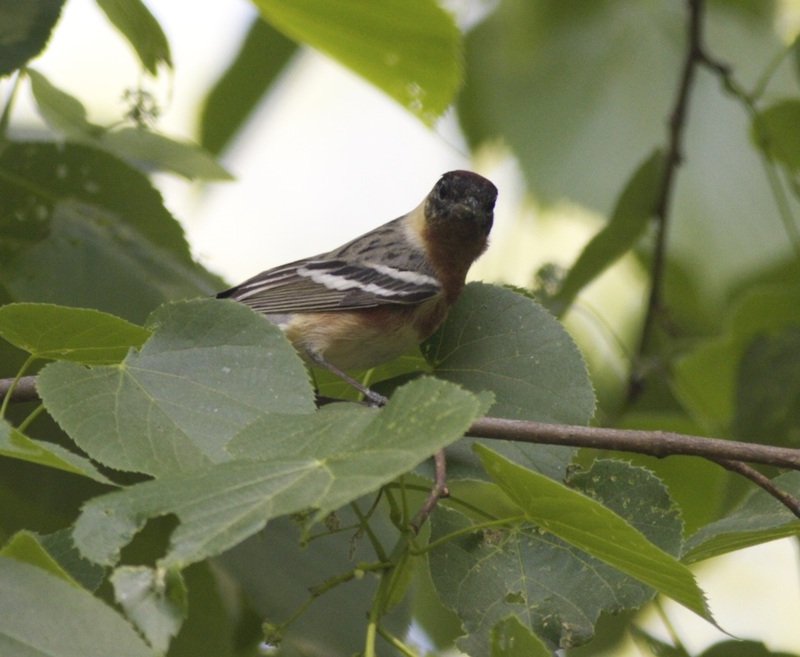 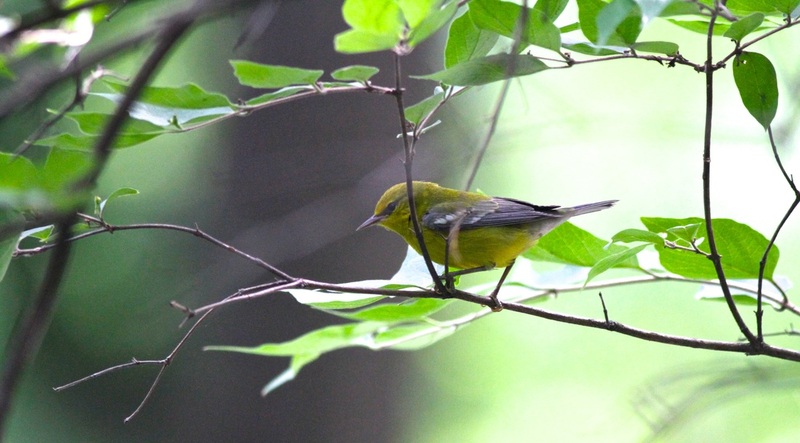 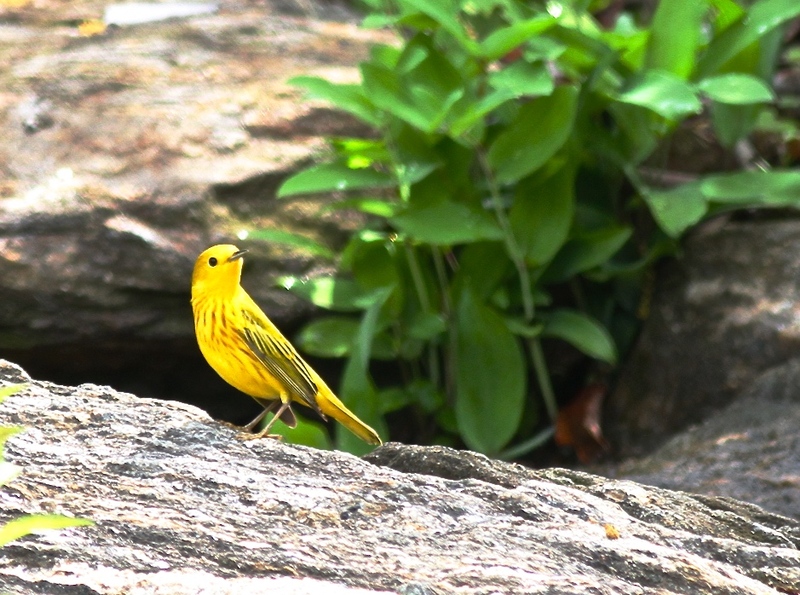 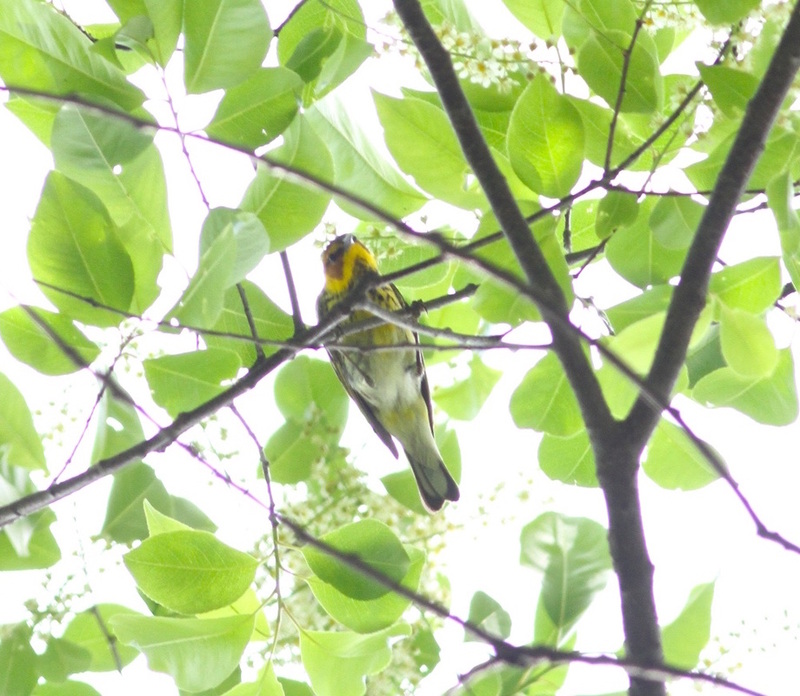 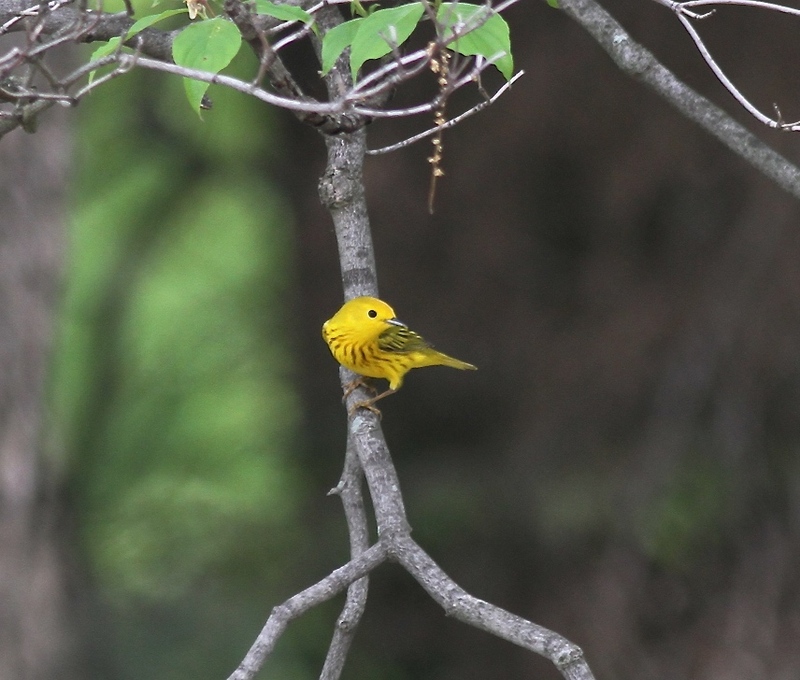 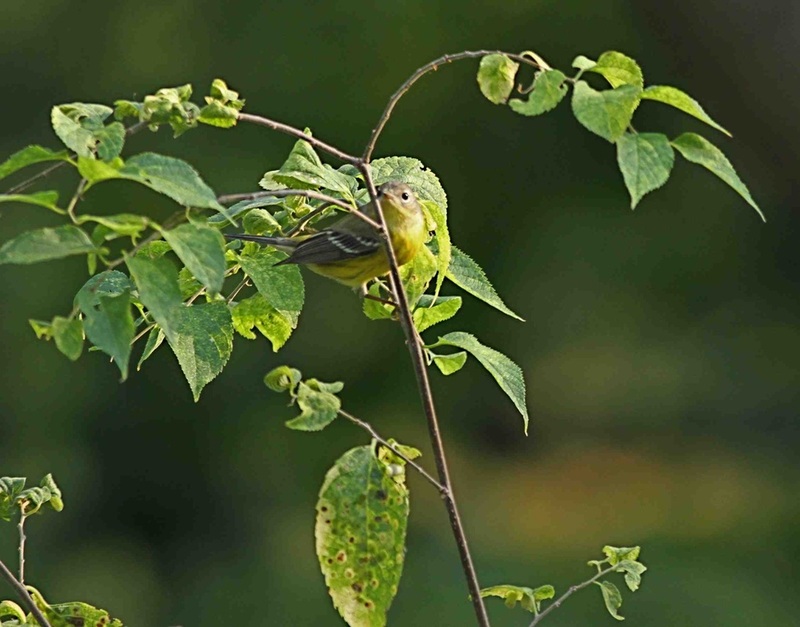 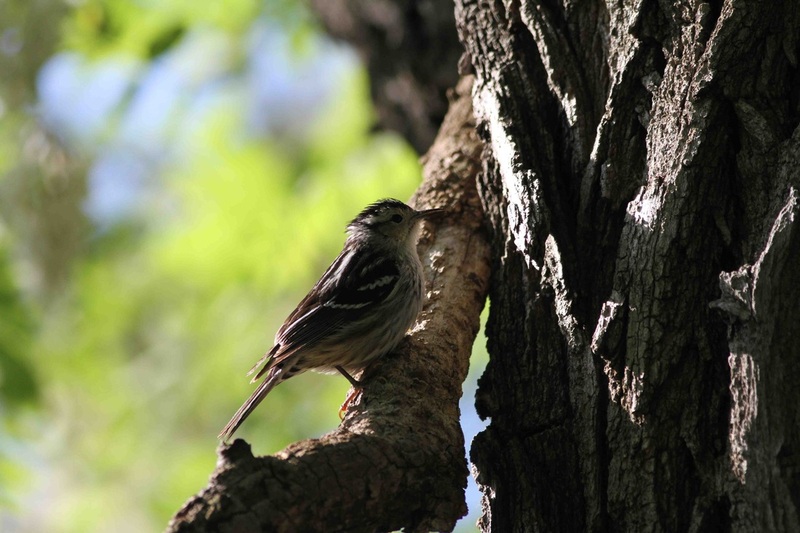 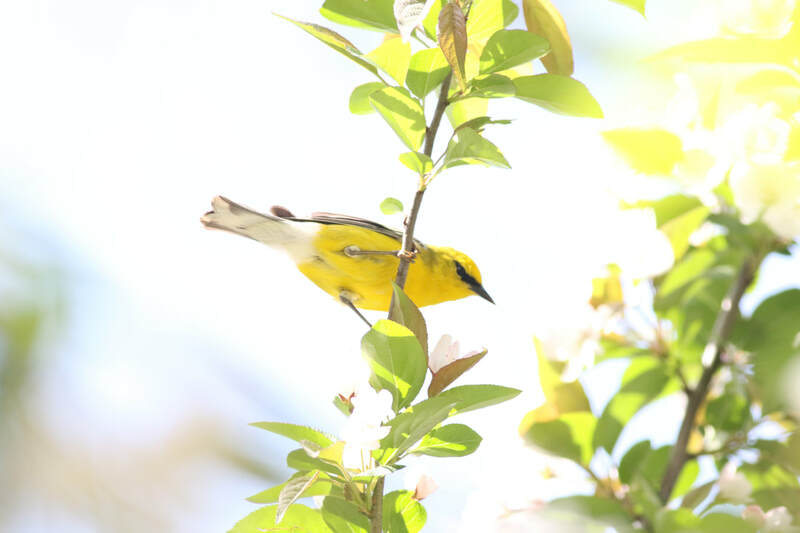 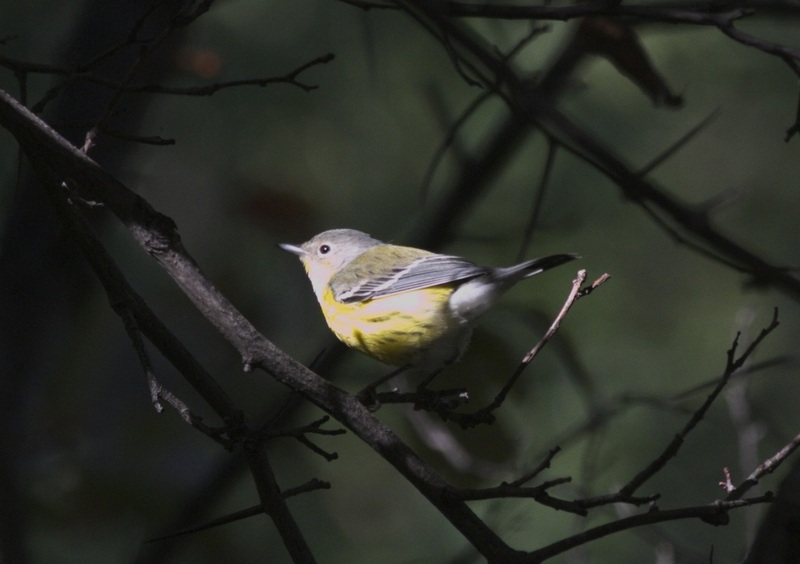 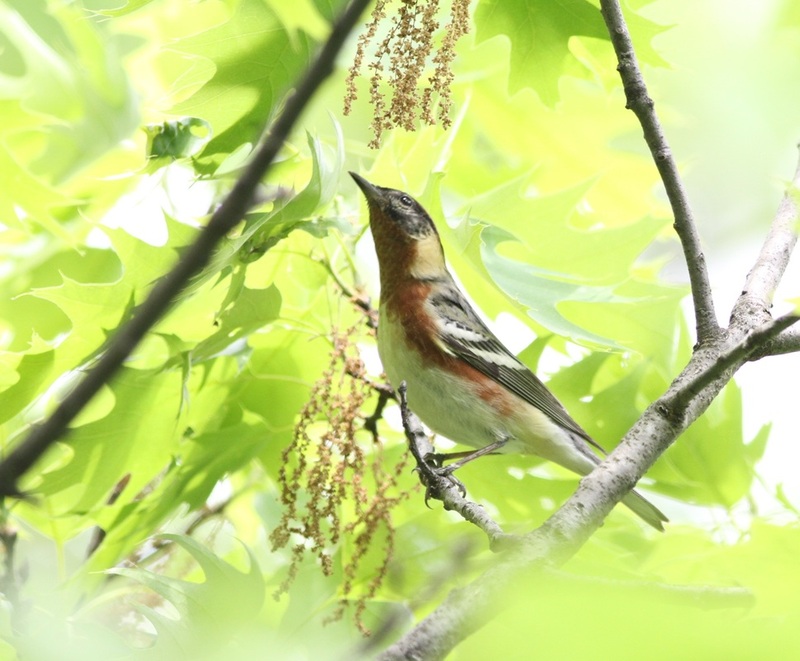 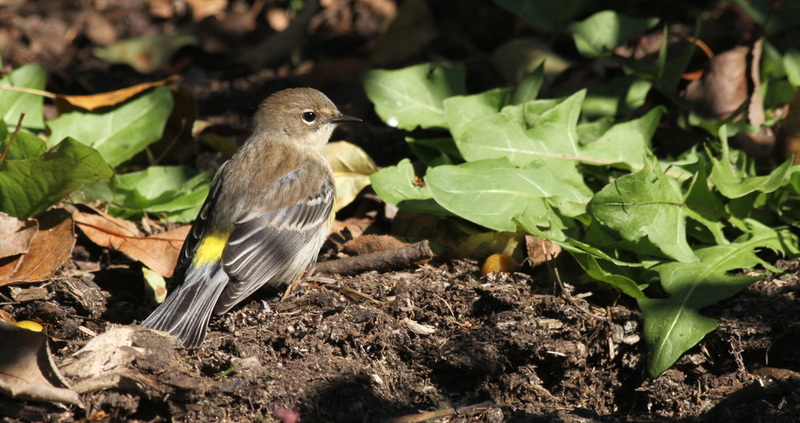 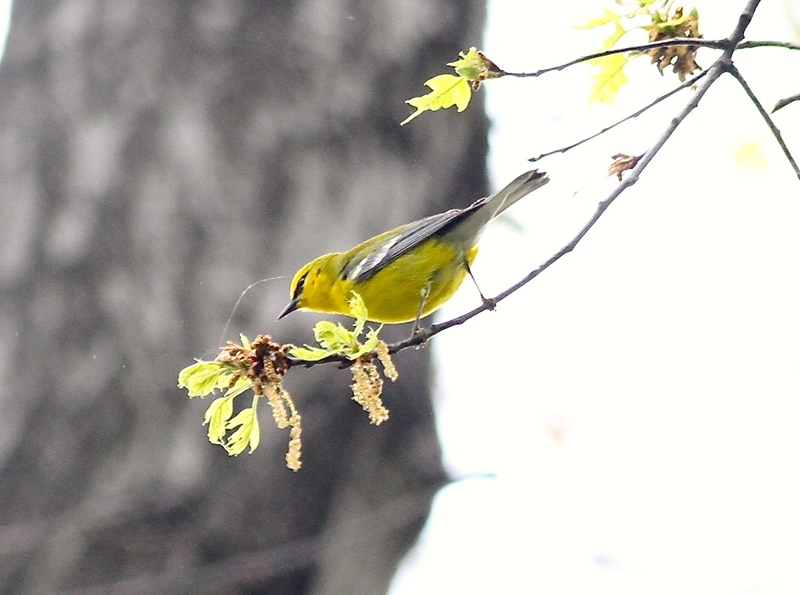 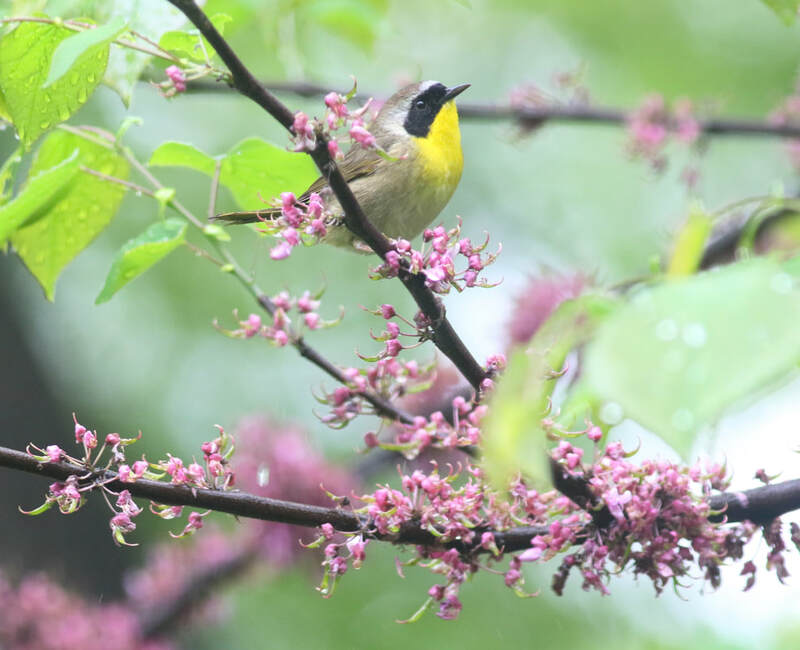 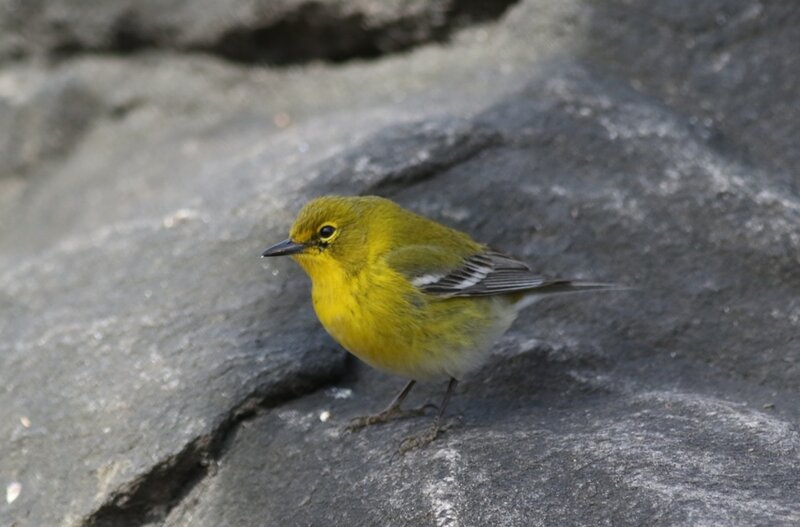 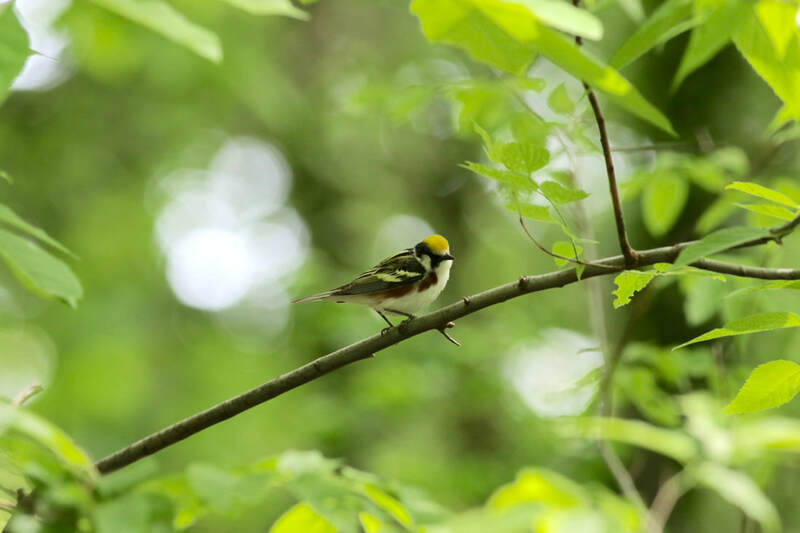 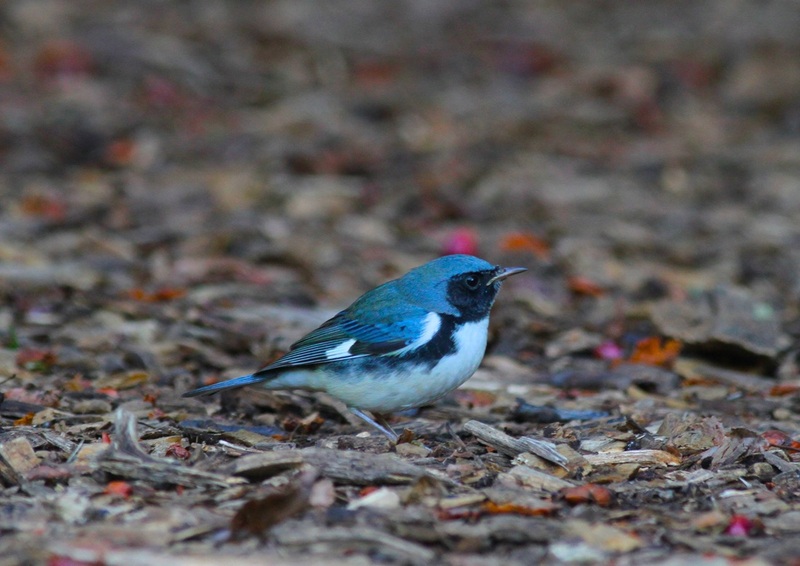 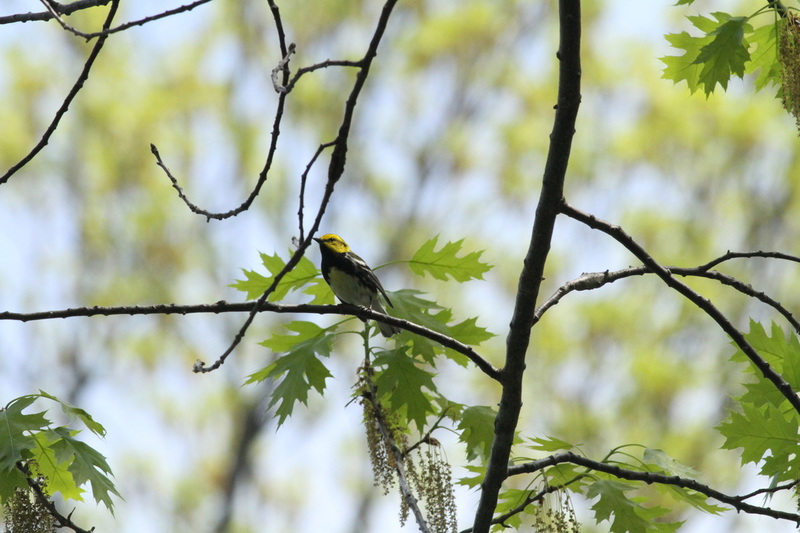 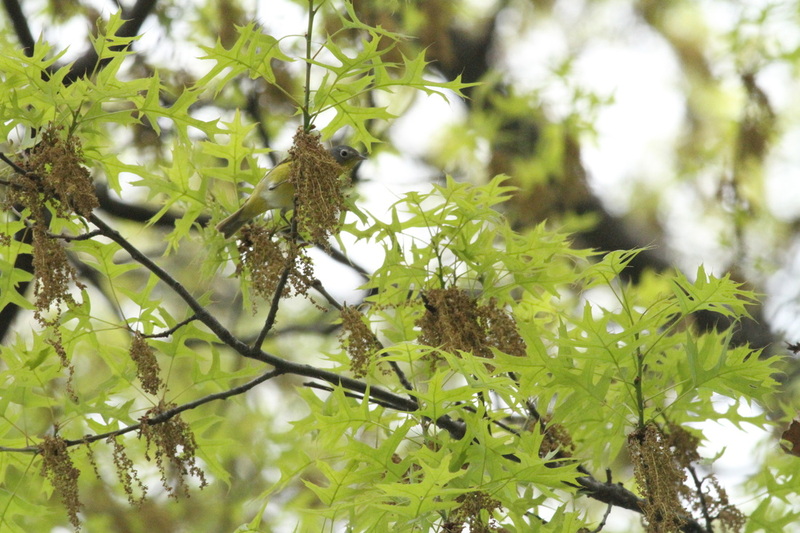 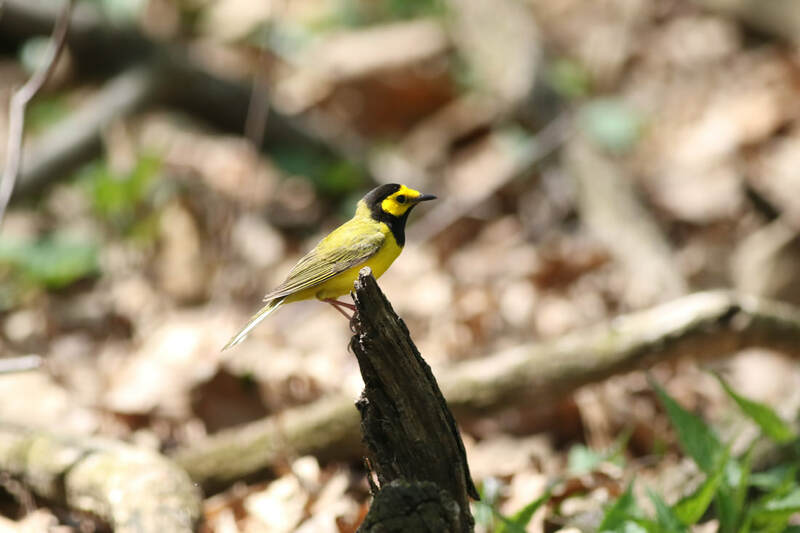 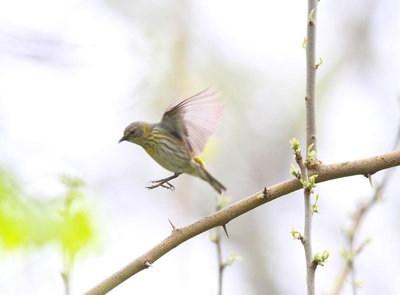 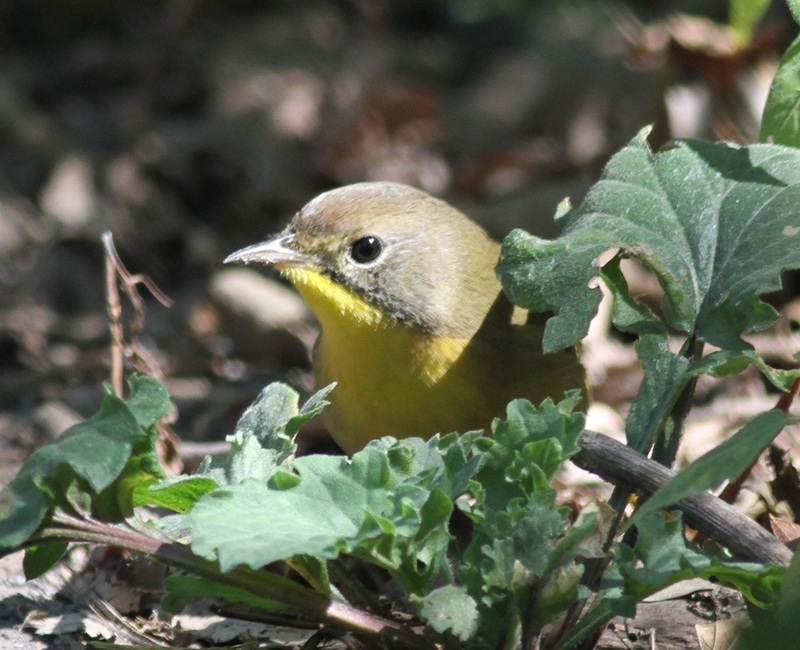 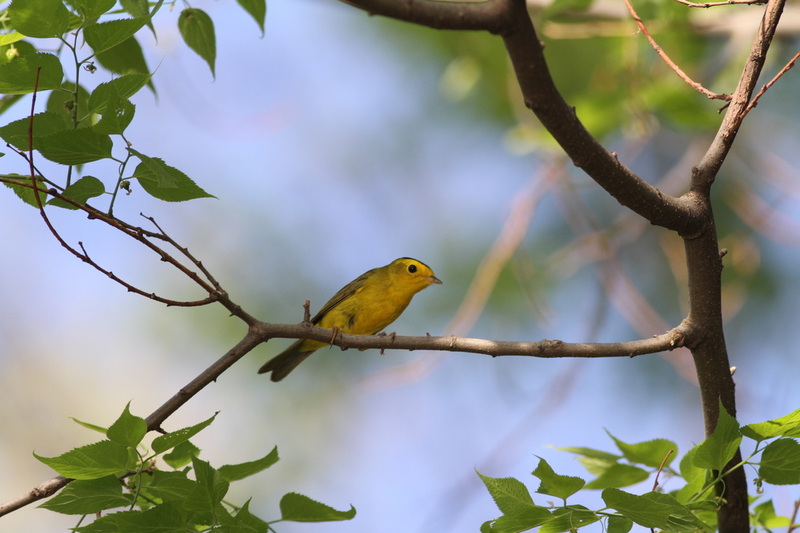 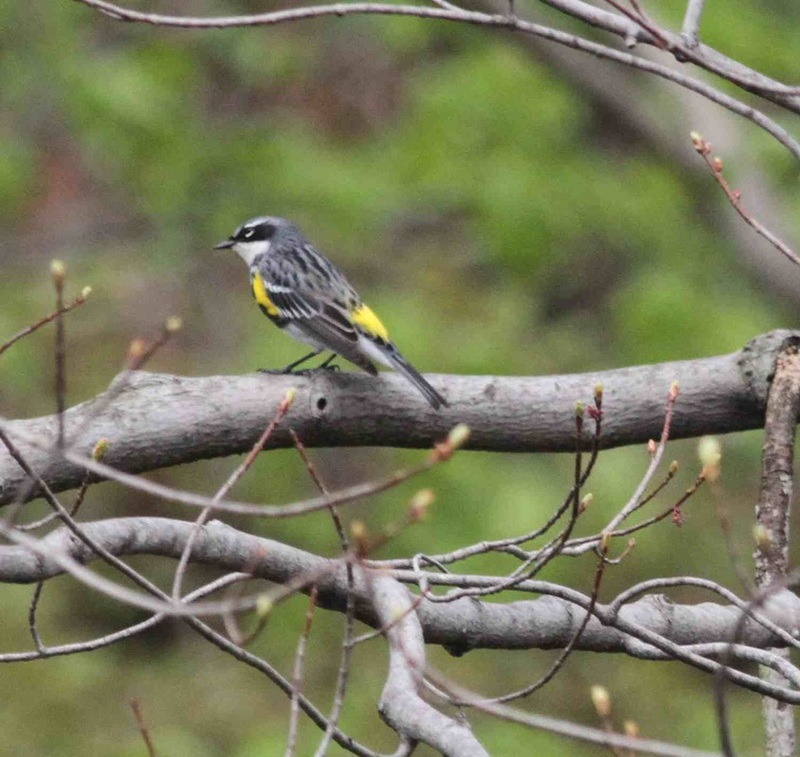 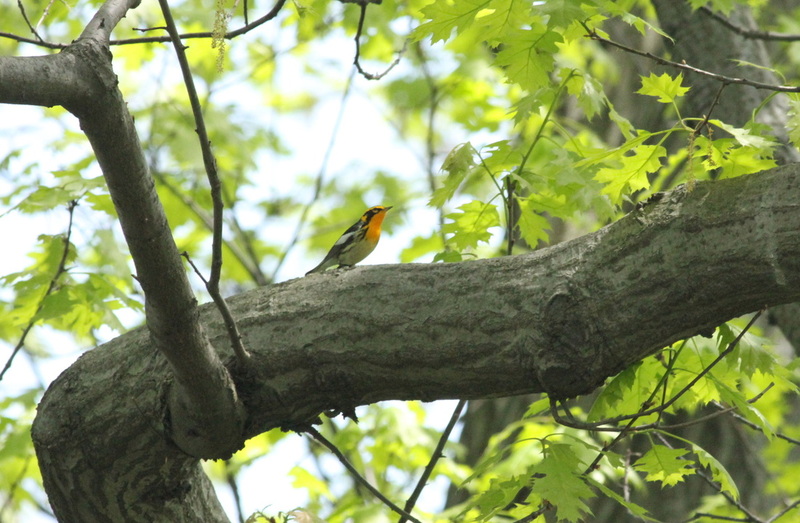 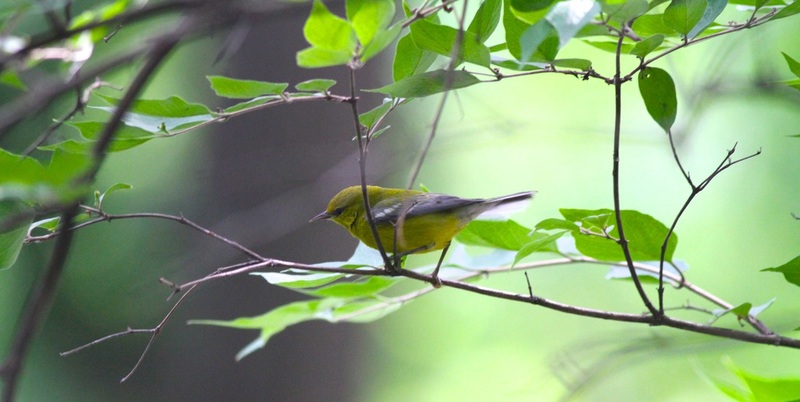 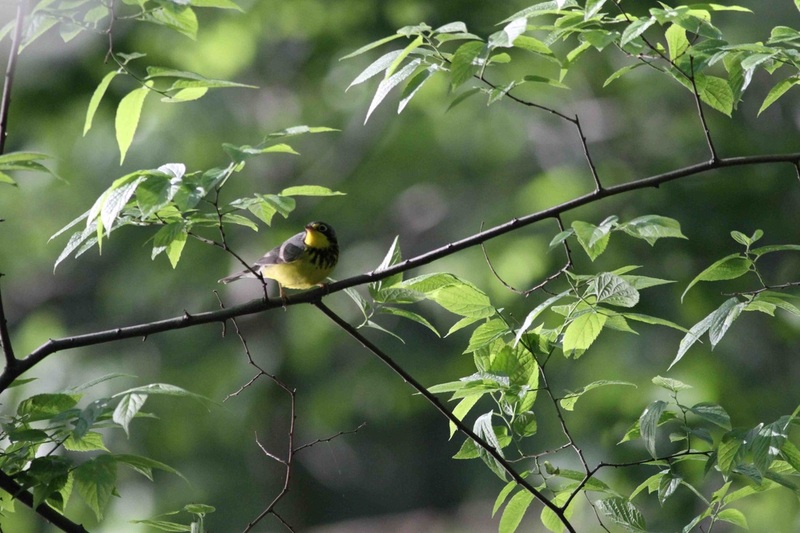 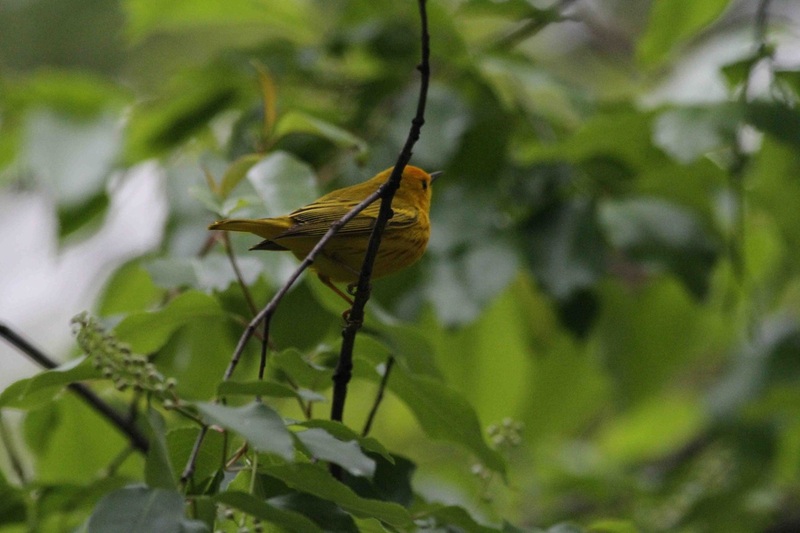 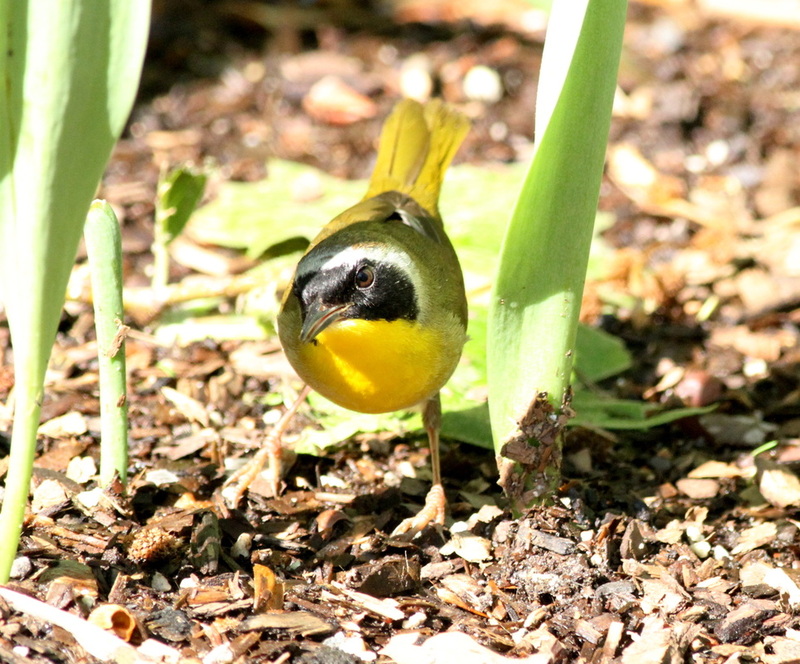 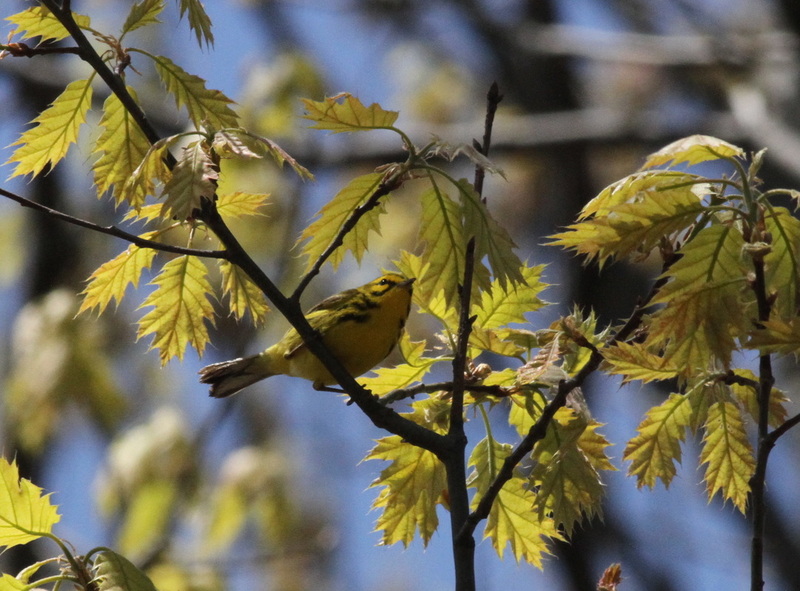 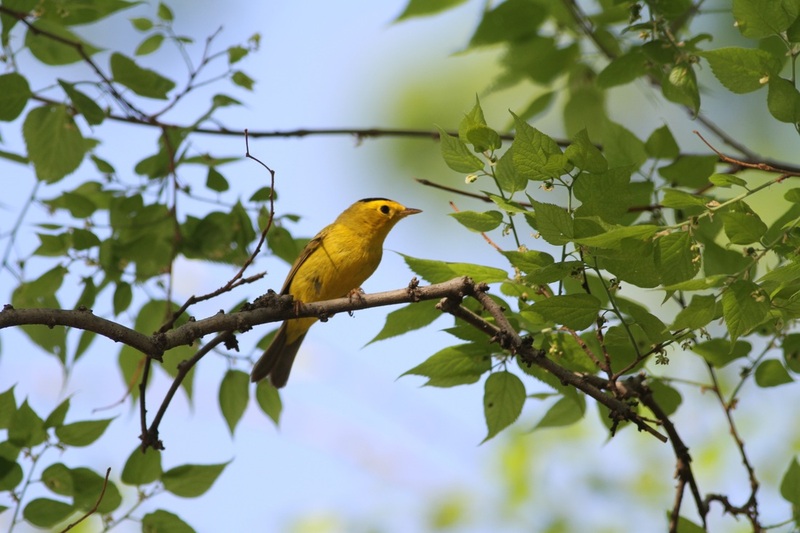 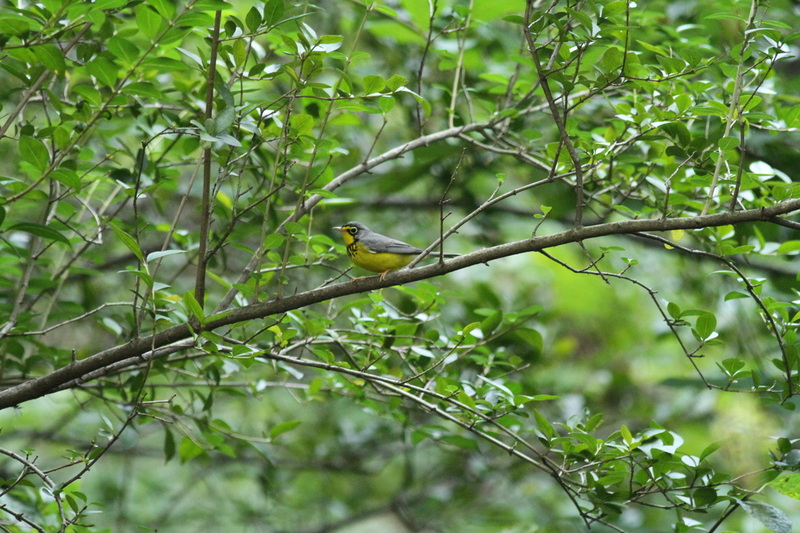 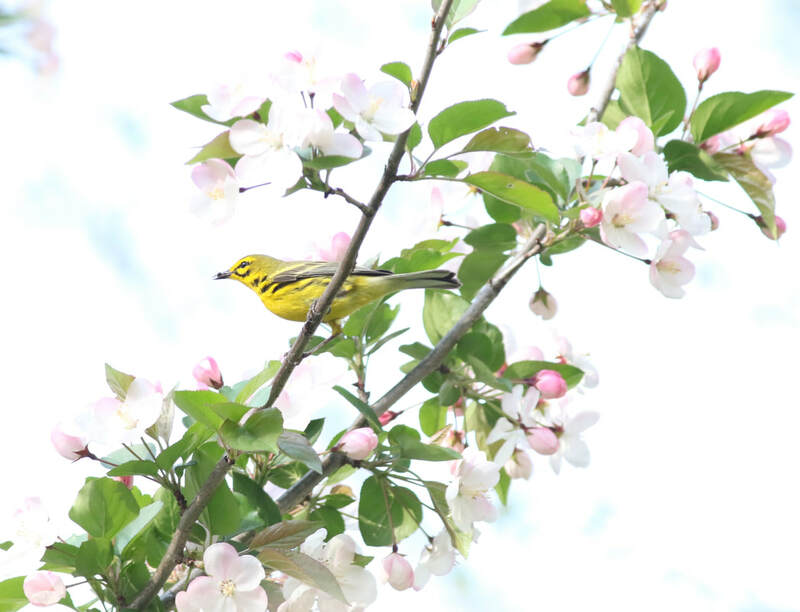 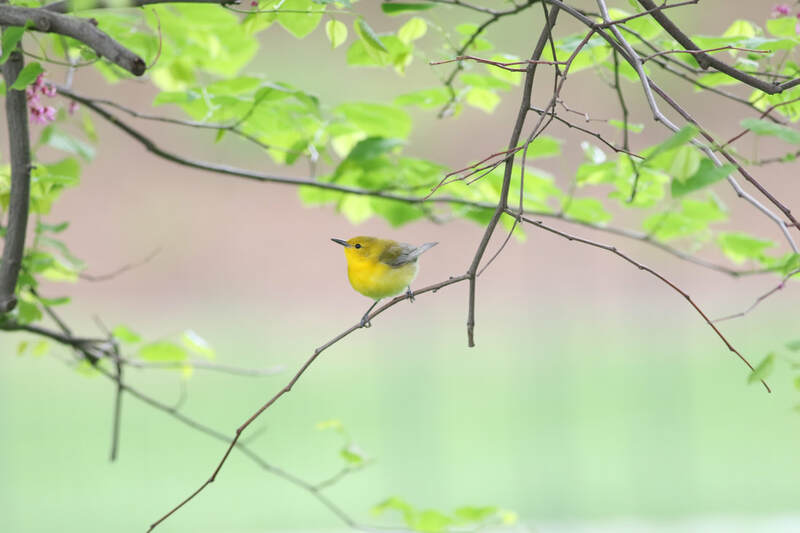 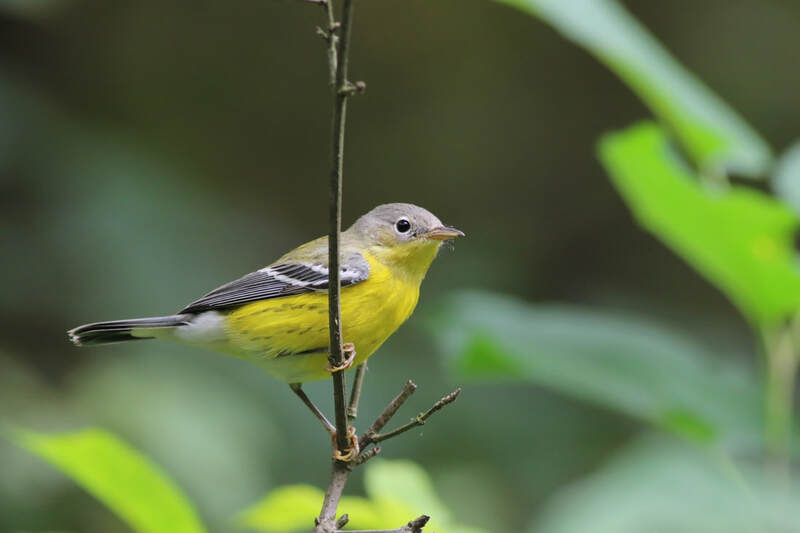 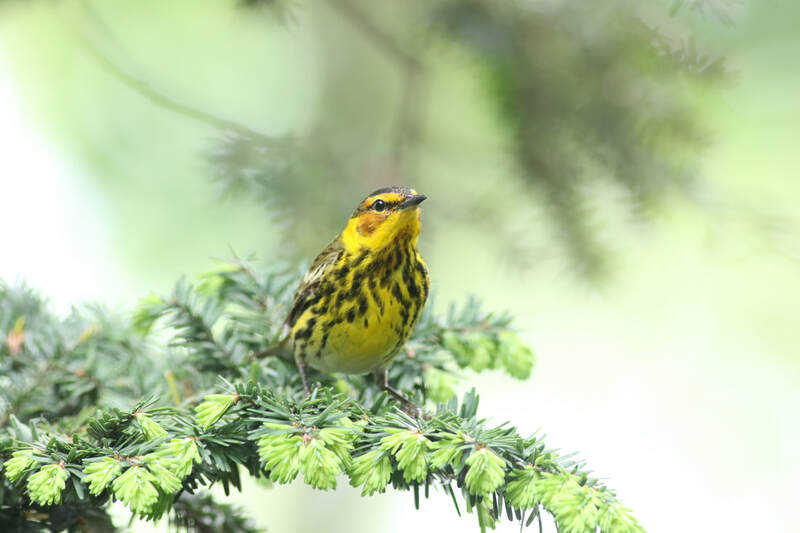 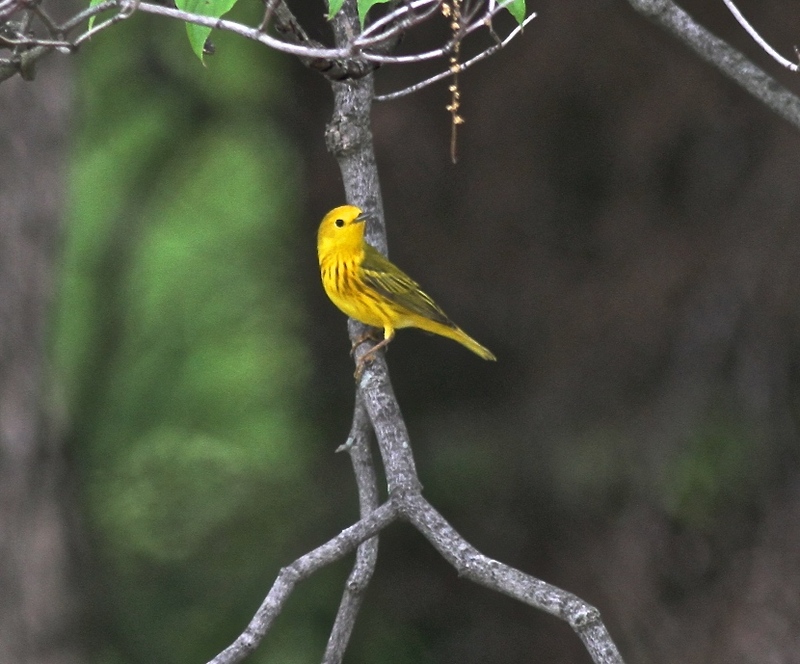 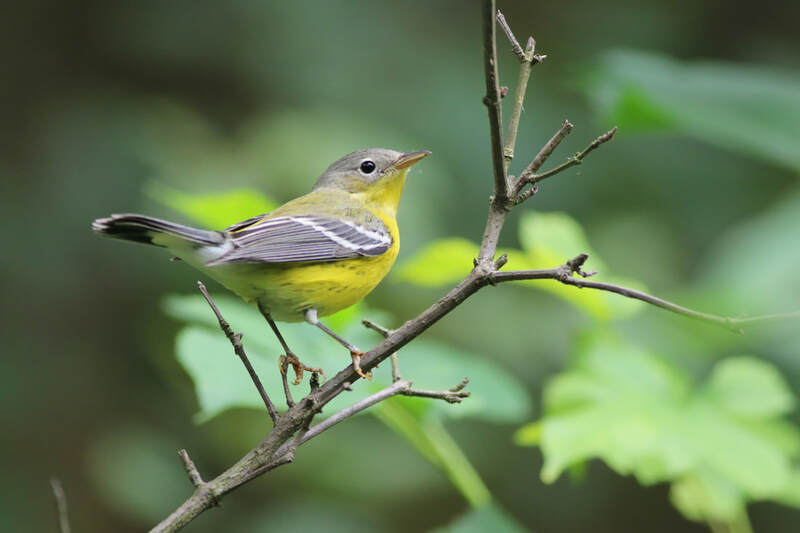 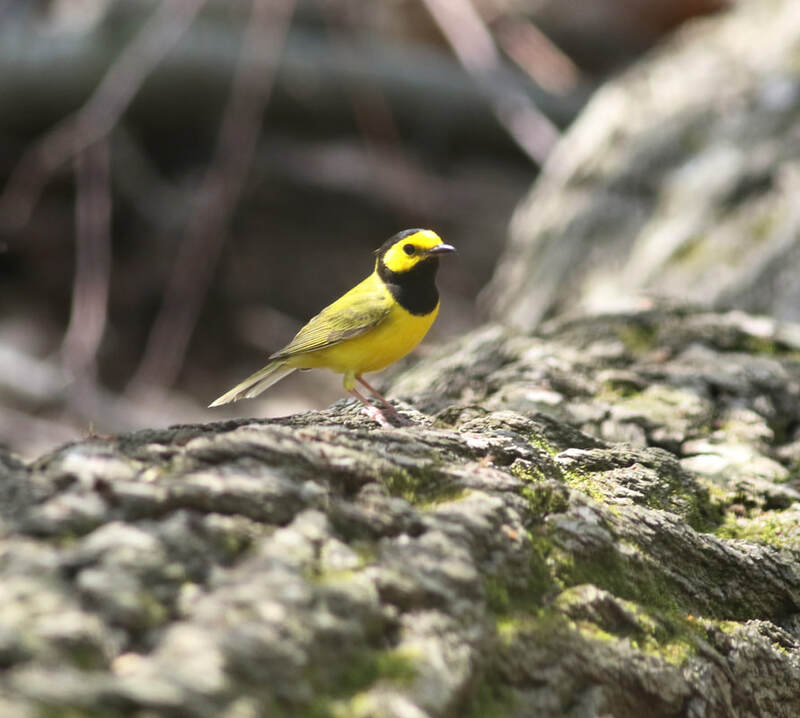 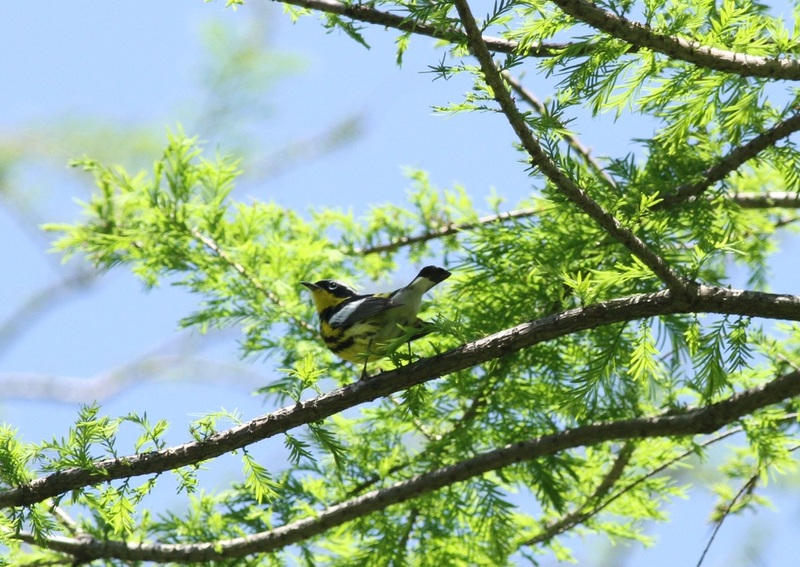 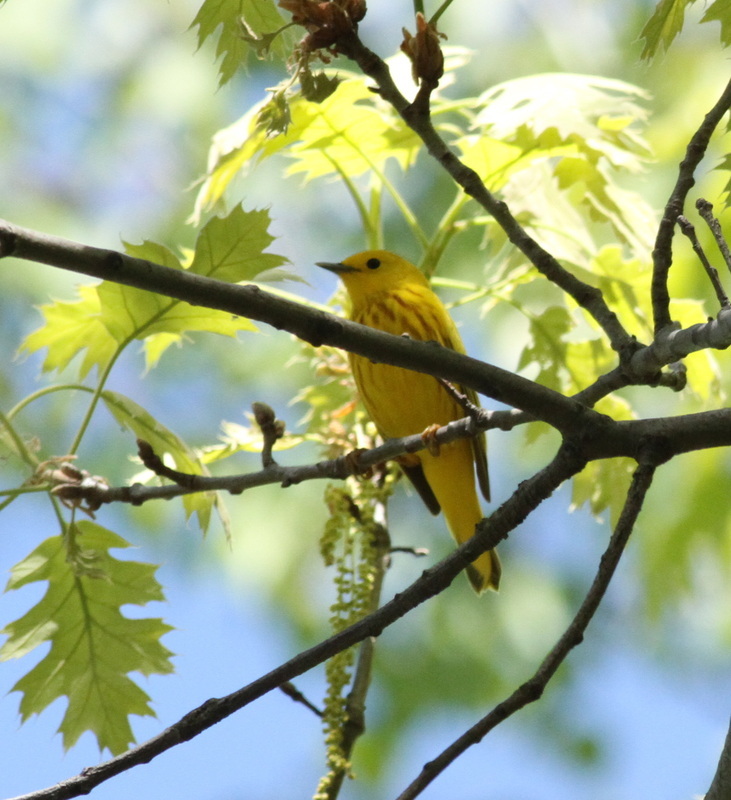 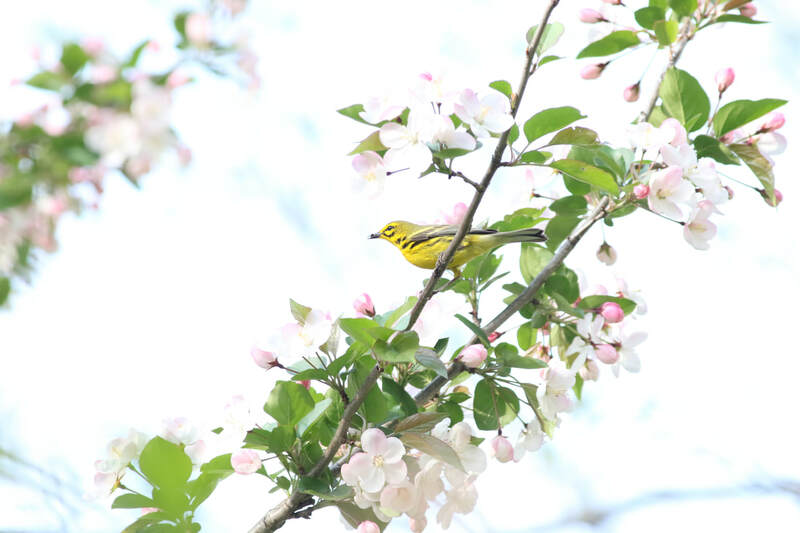 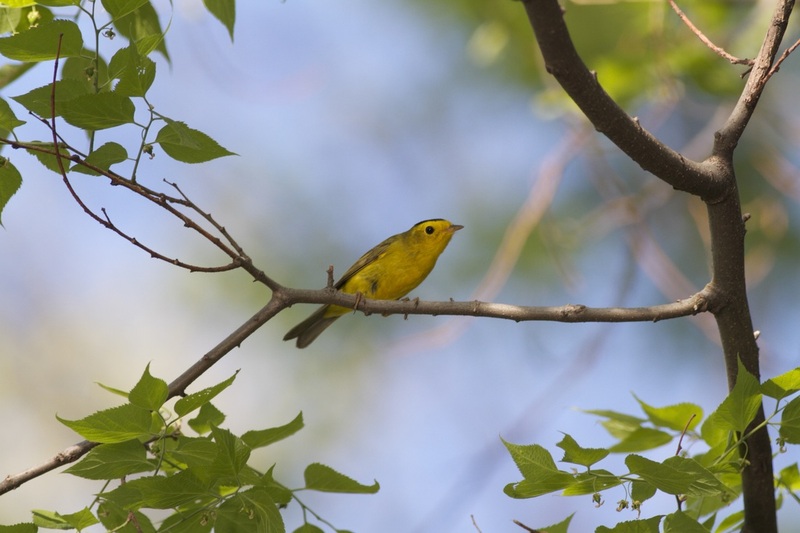 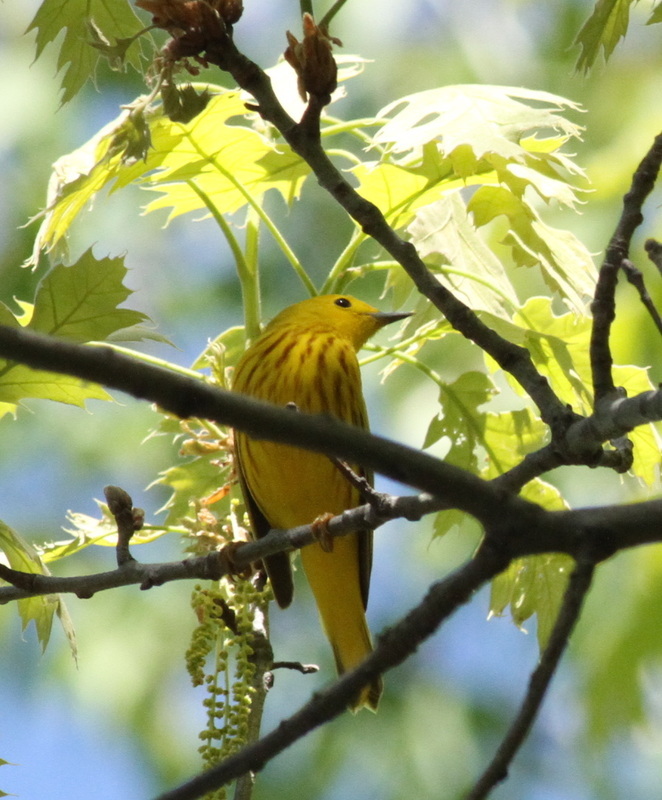 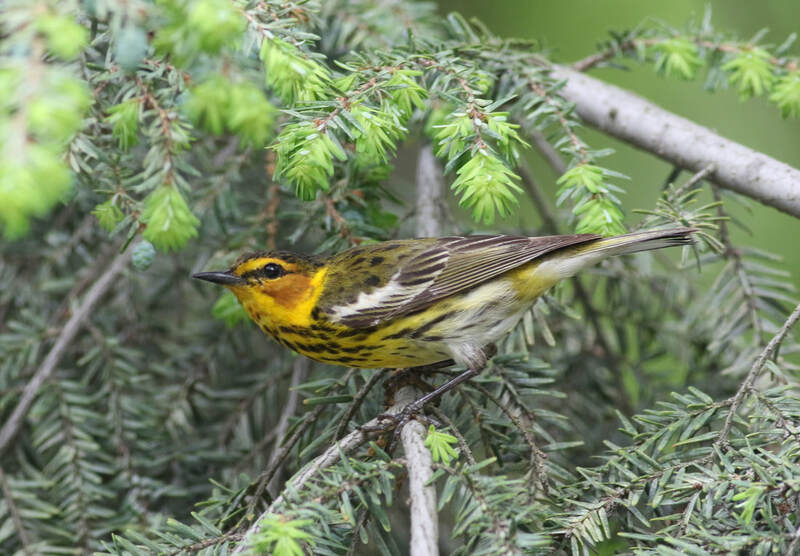 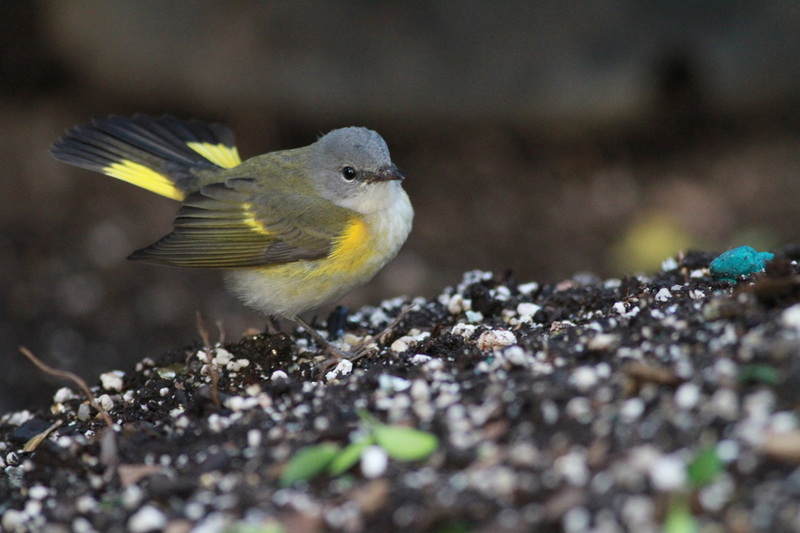 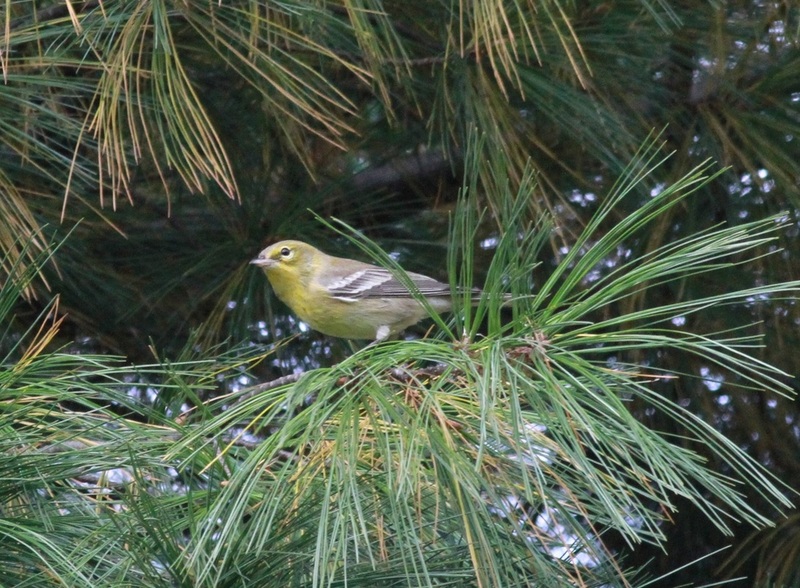 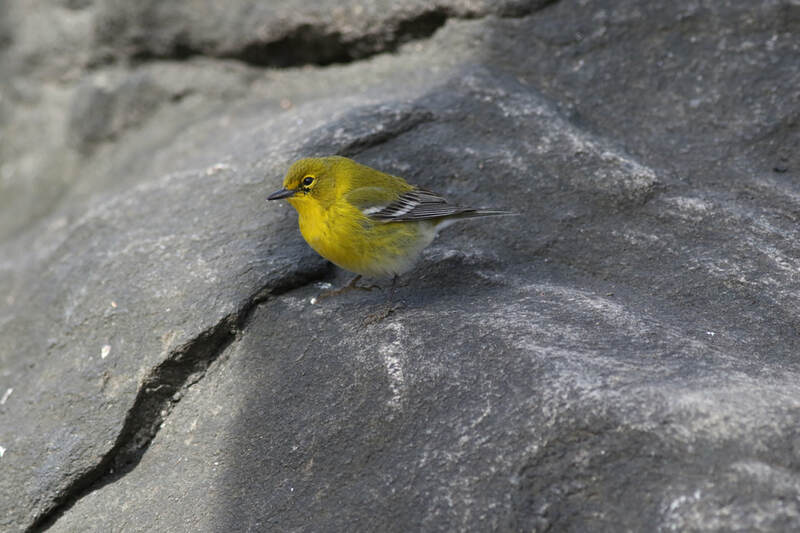 You can find Yellow Warblers nesting in The New York Botanical Garden and Pelham Bay Park.